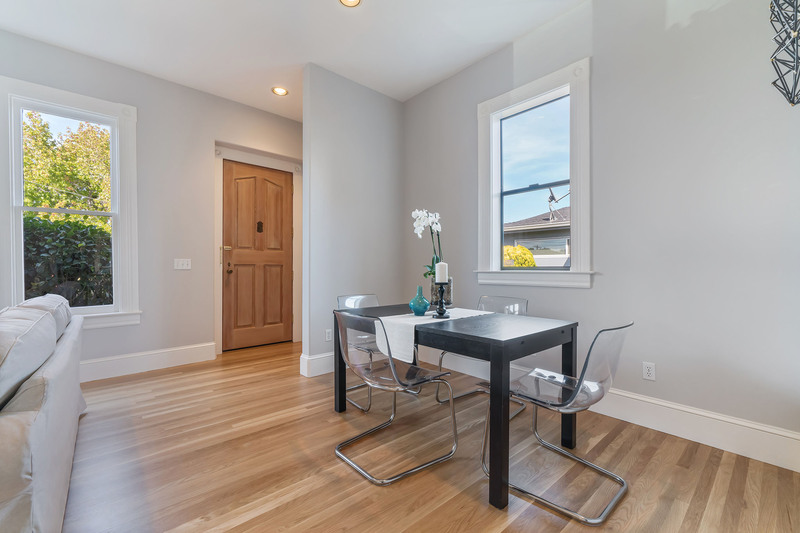 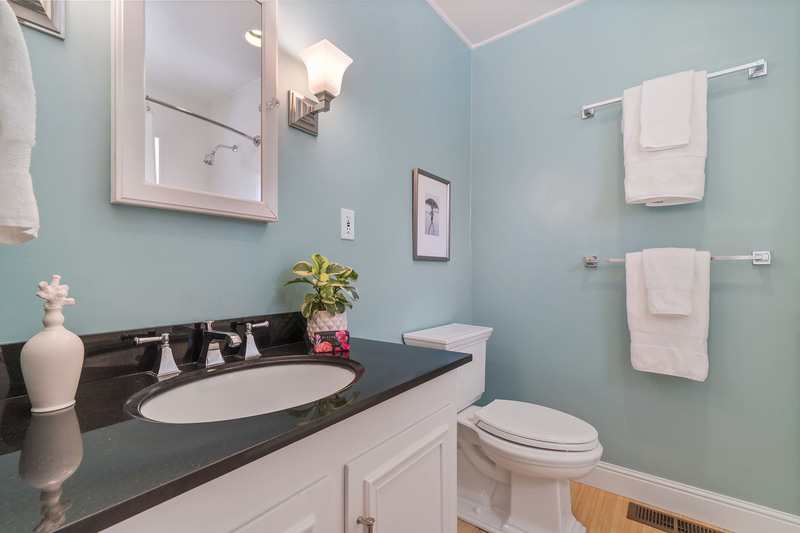 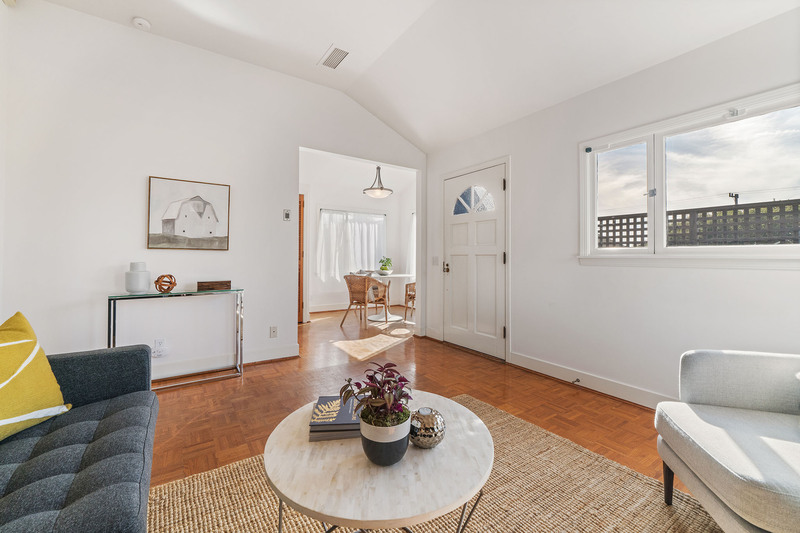 Originally built in the 1880s, 1208 Virginia St welcomed extensive, tasteful remodeling and the addition of two bedrooms, one full bath in1992. 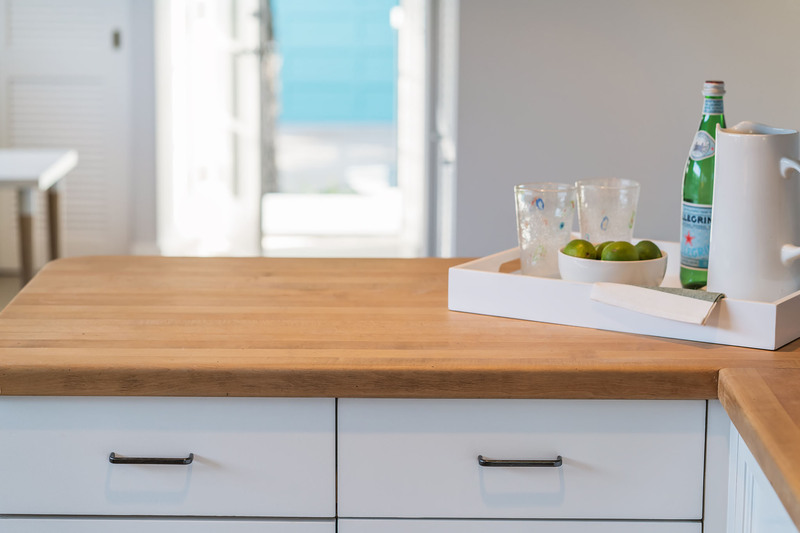 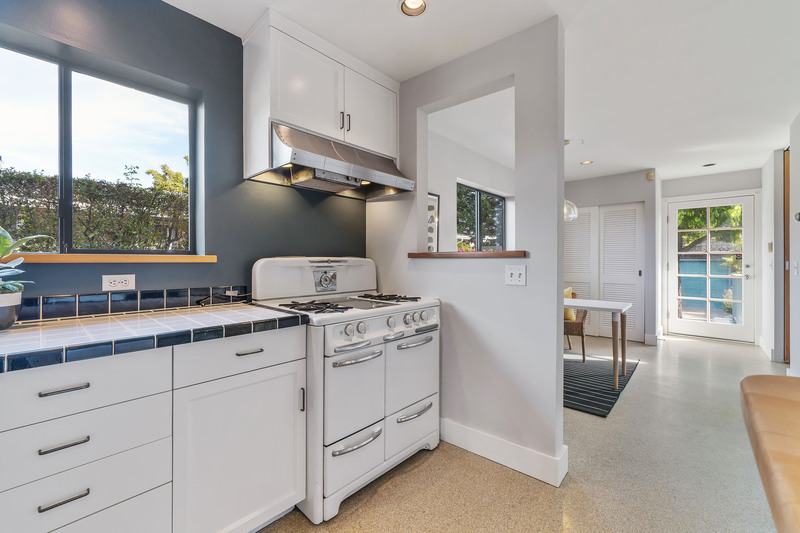 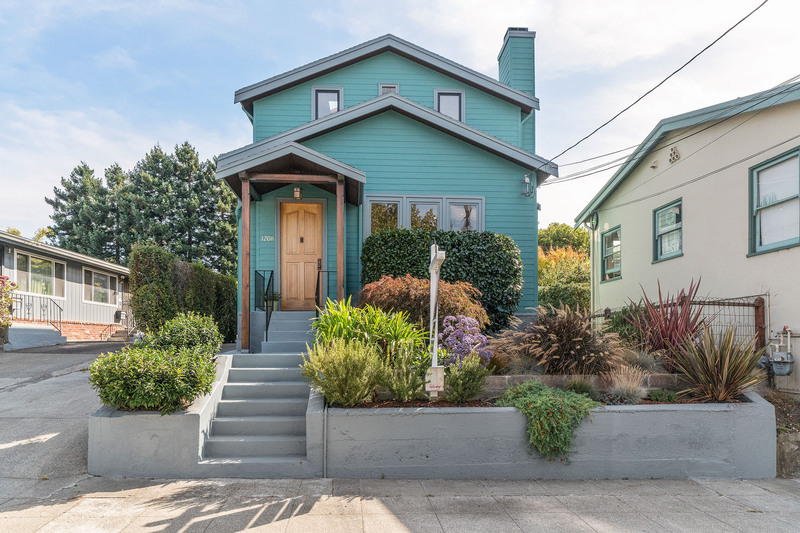 The refreshing new layout covered both floors of this Berkeley Bungalow. 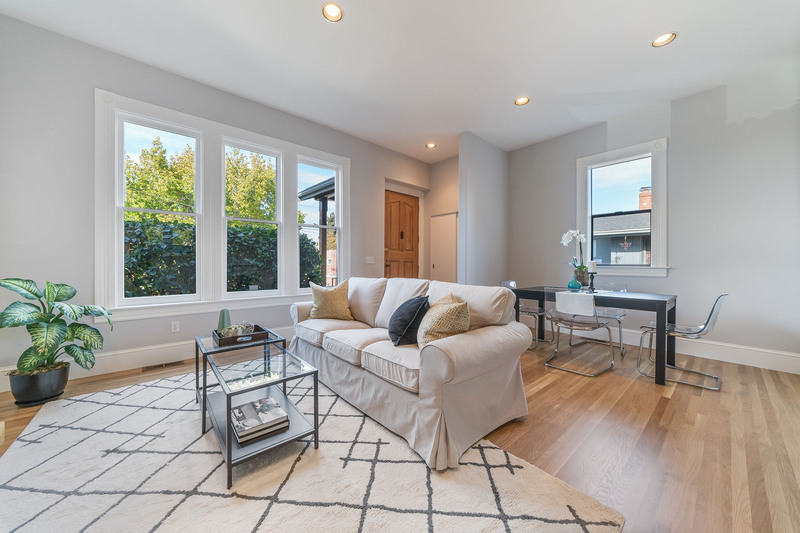 Big windows, gleaming hardwood floors and tall ceilings make the living room and dining area ideal for holiday gatherings with friends and family. 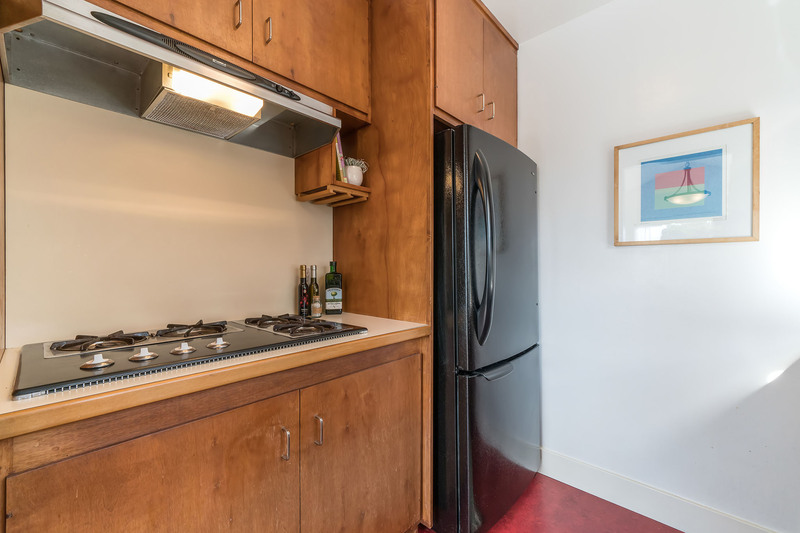 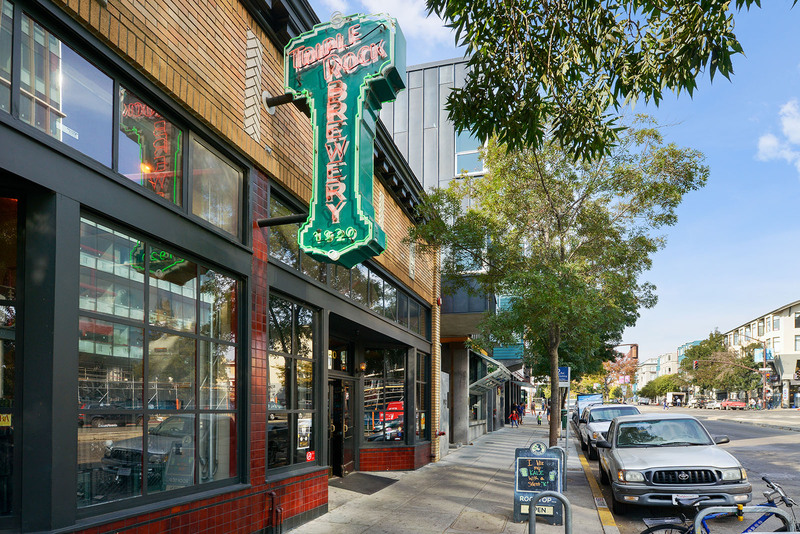 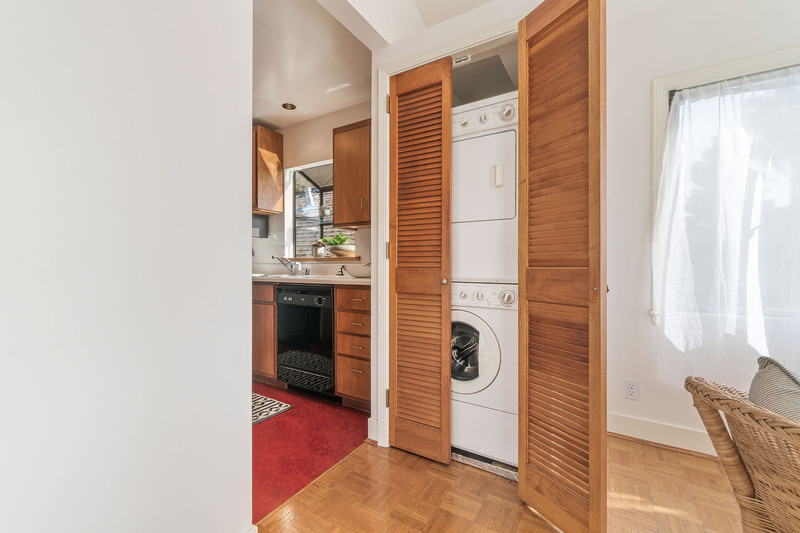 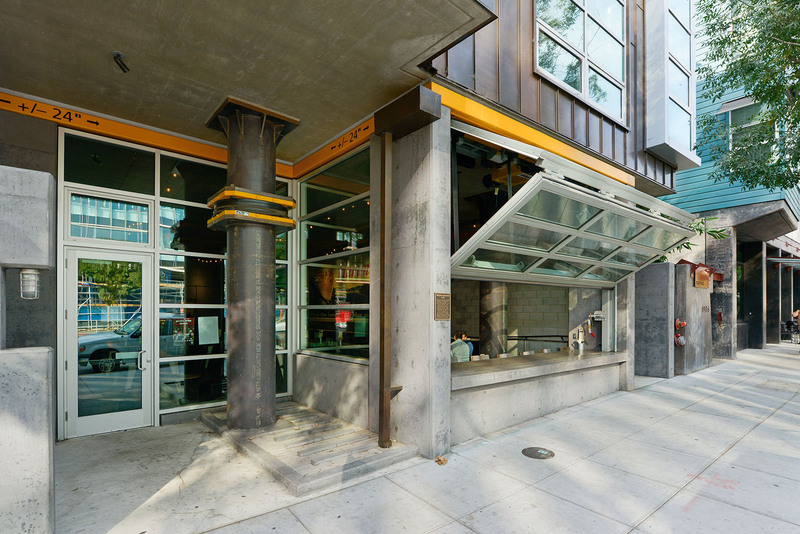 There’s a bar and large breakfast area in the bright kitchen, and laundry hookups in a convenient closet close by. 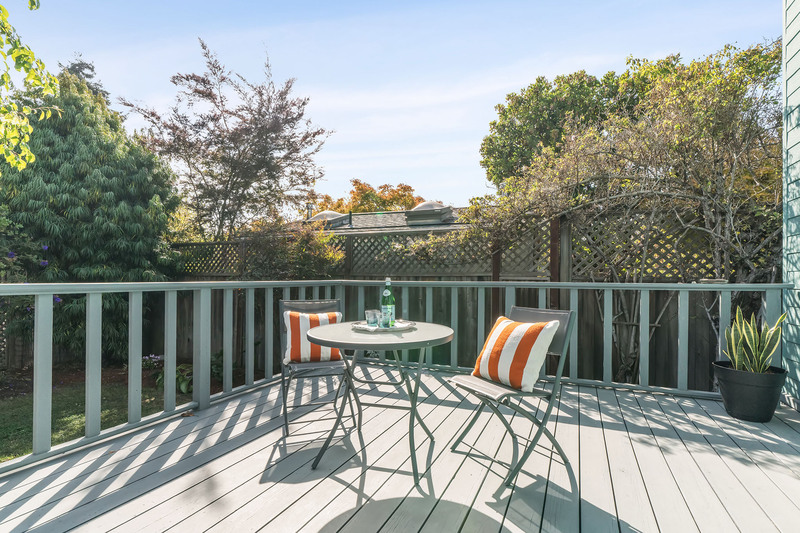 The deck off the kitchen makes for perfect al fresco dining. 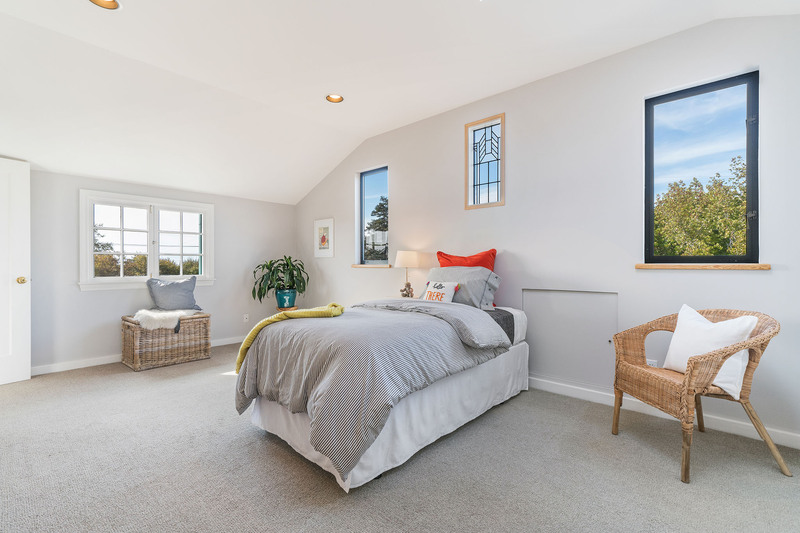 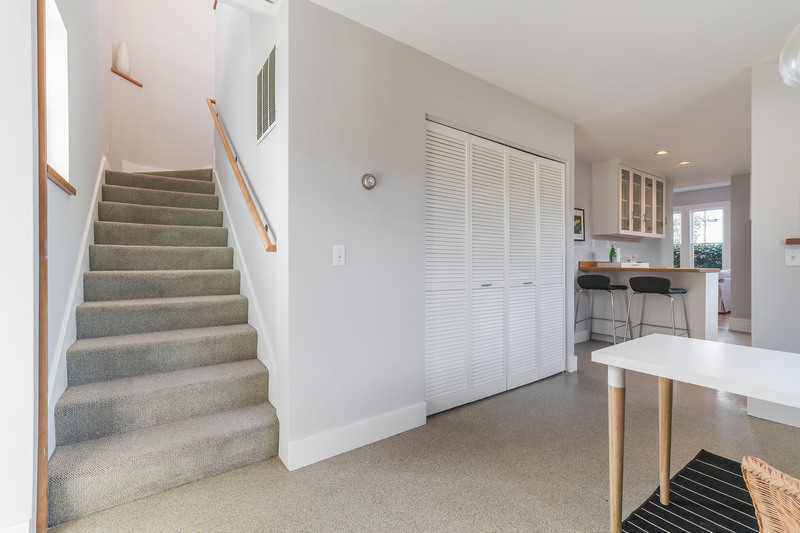 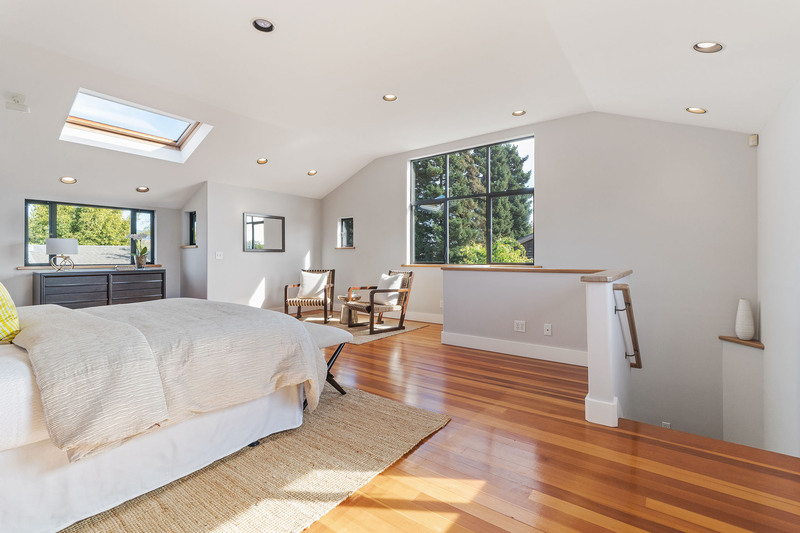 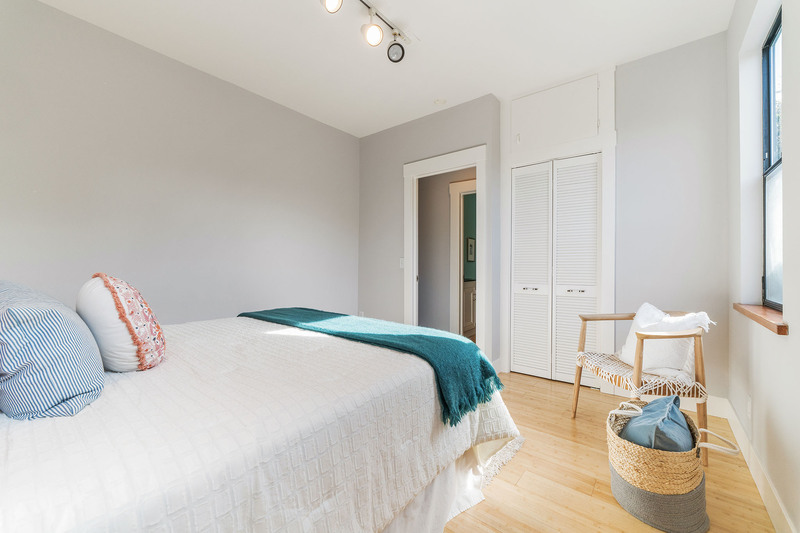 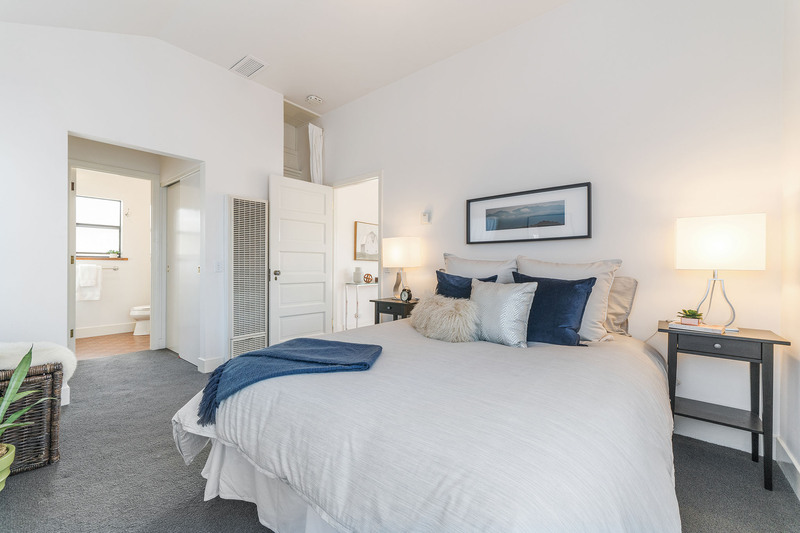 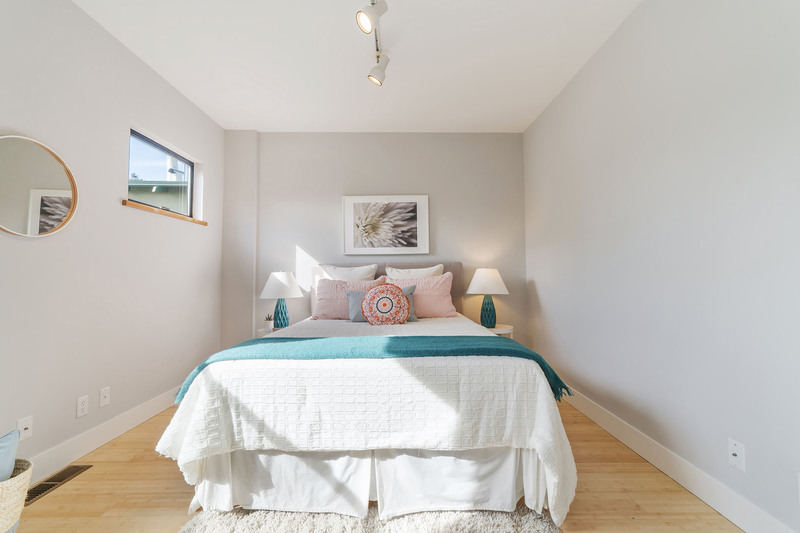 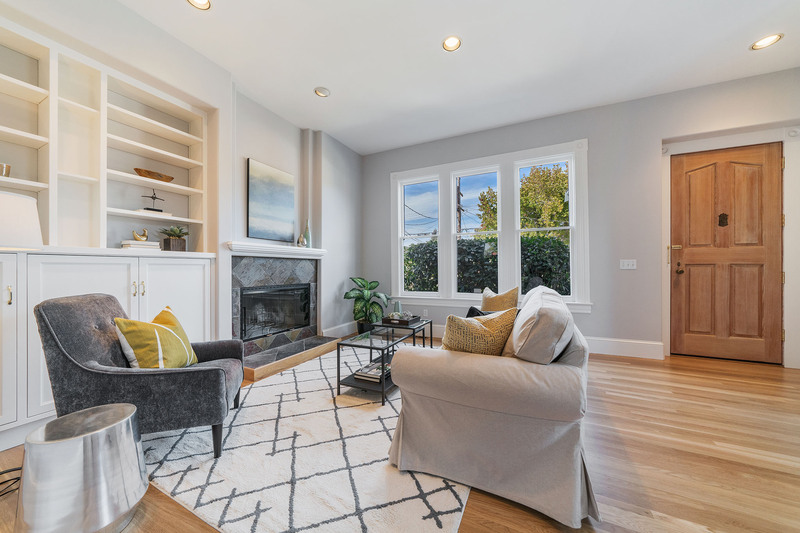 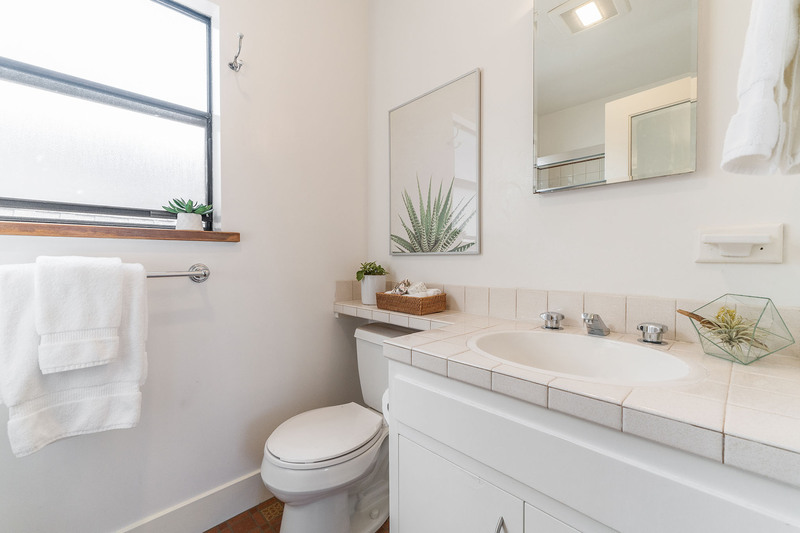 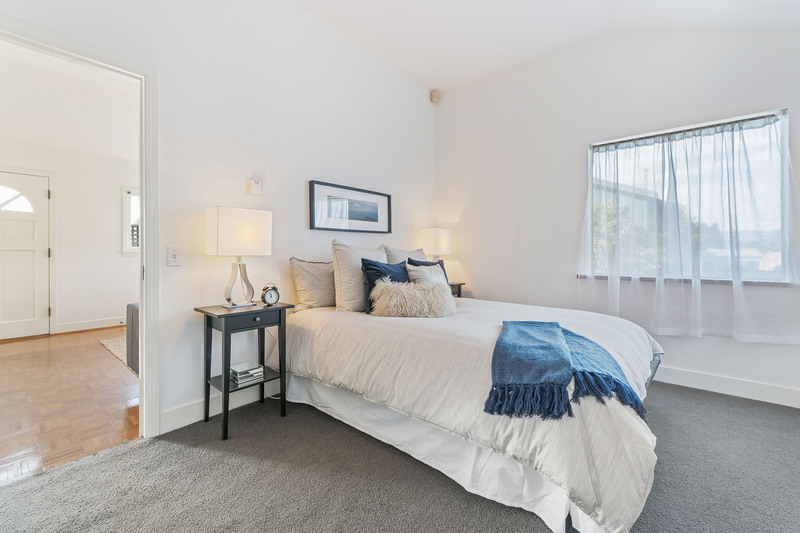 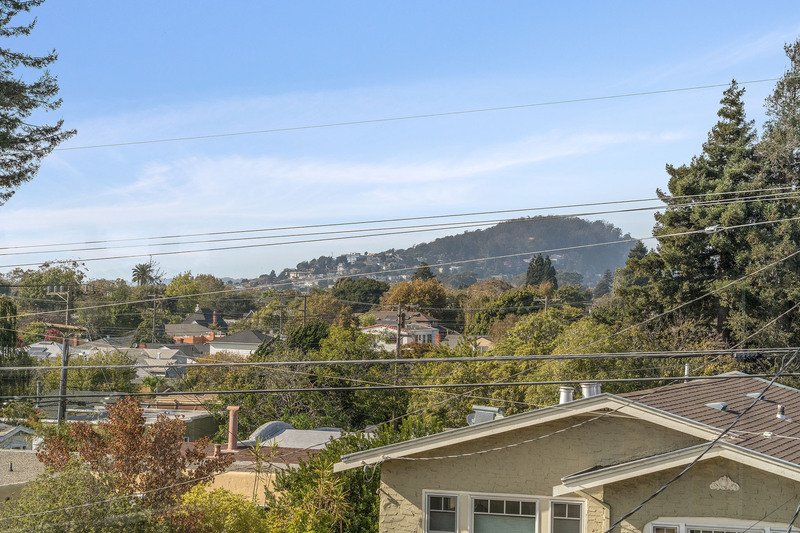 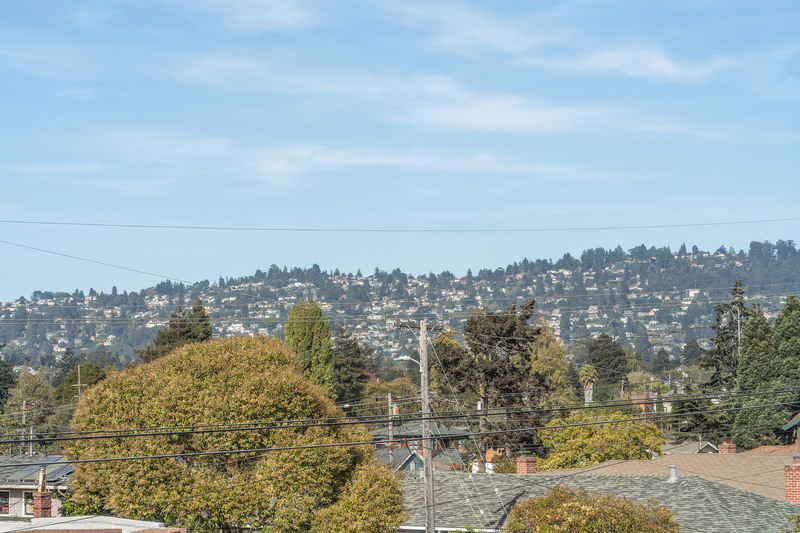 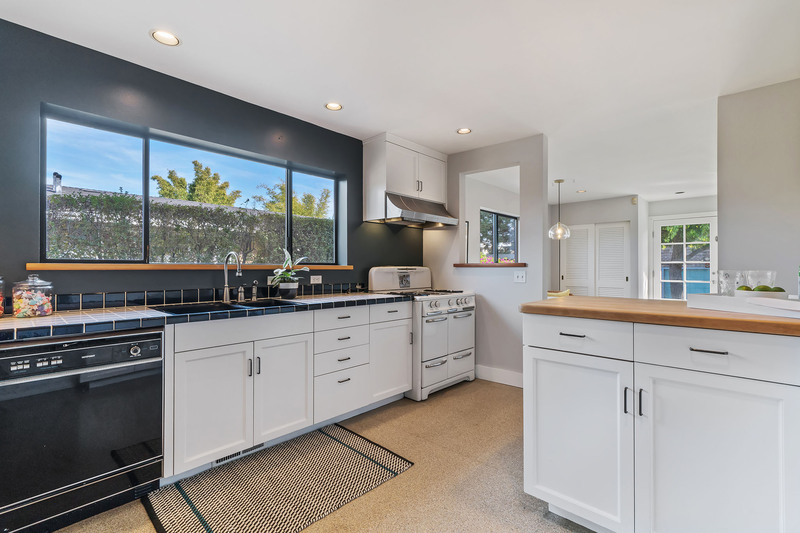 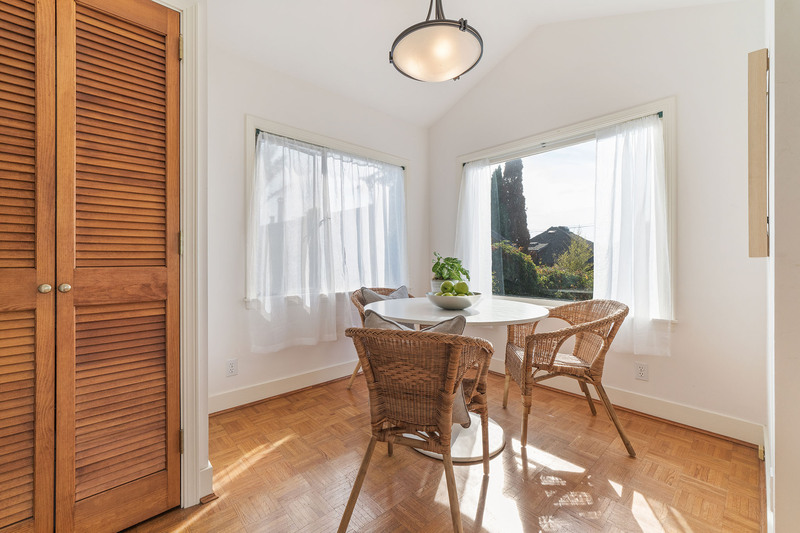 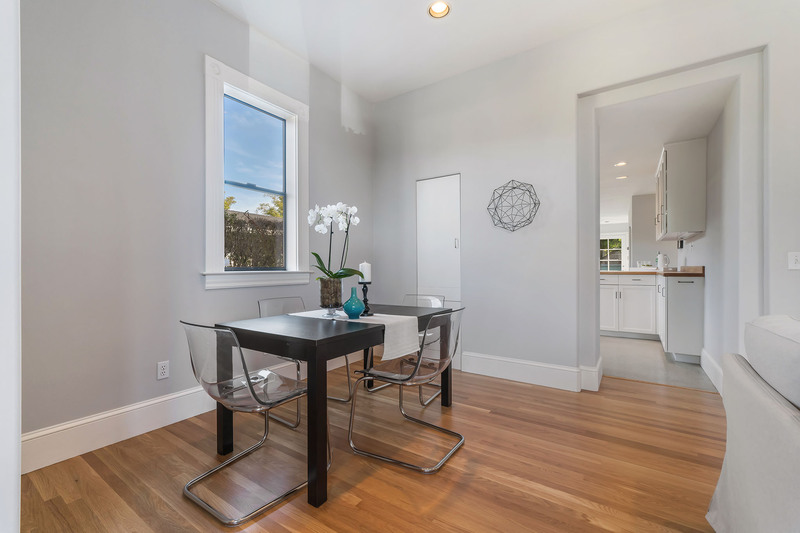 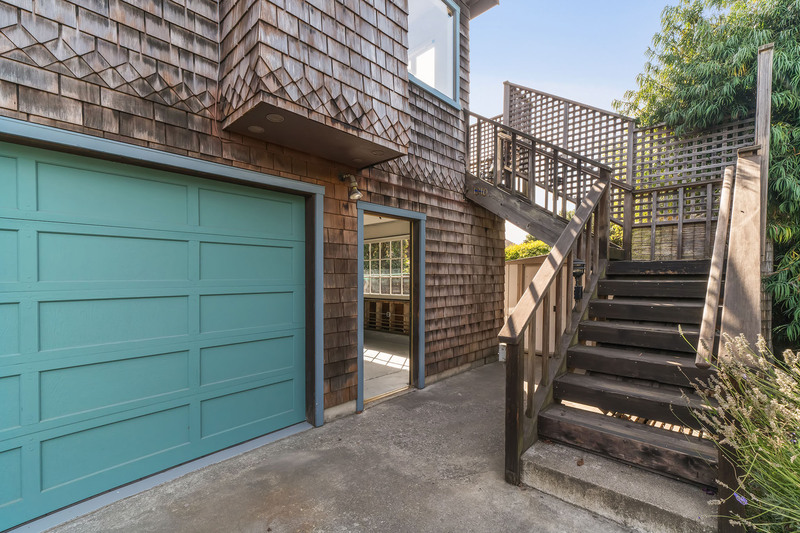 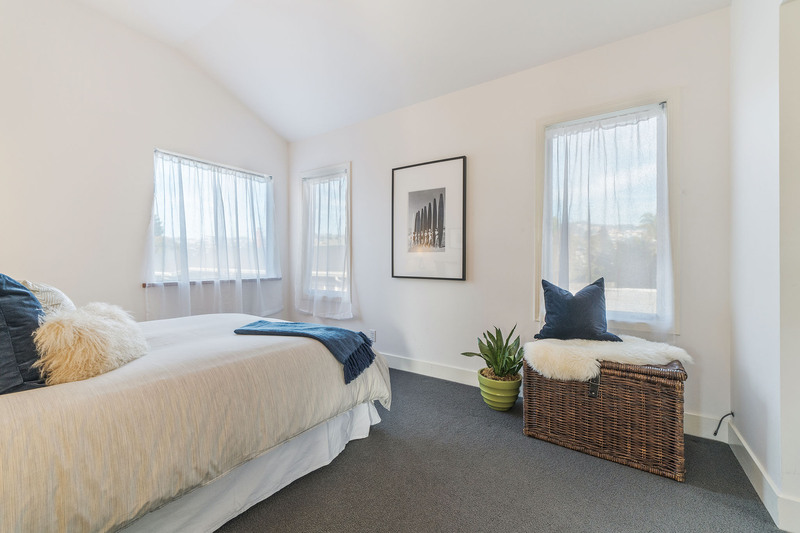 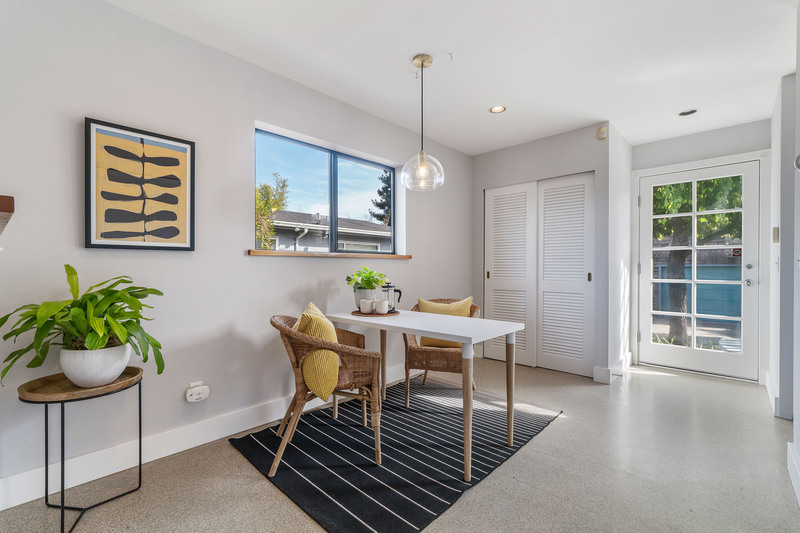 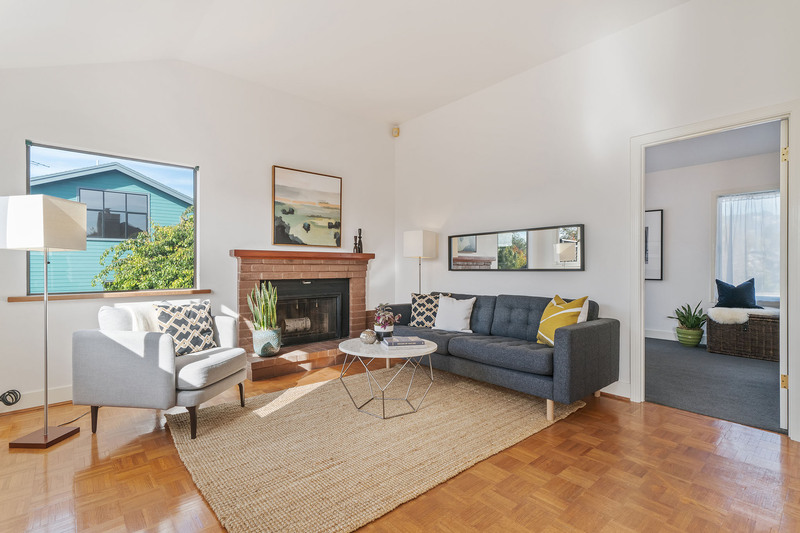 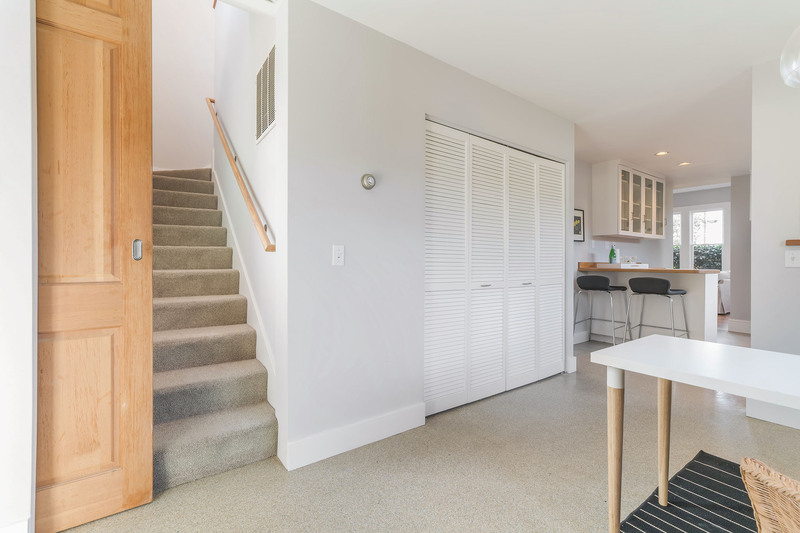 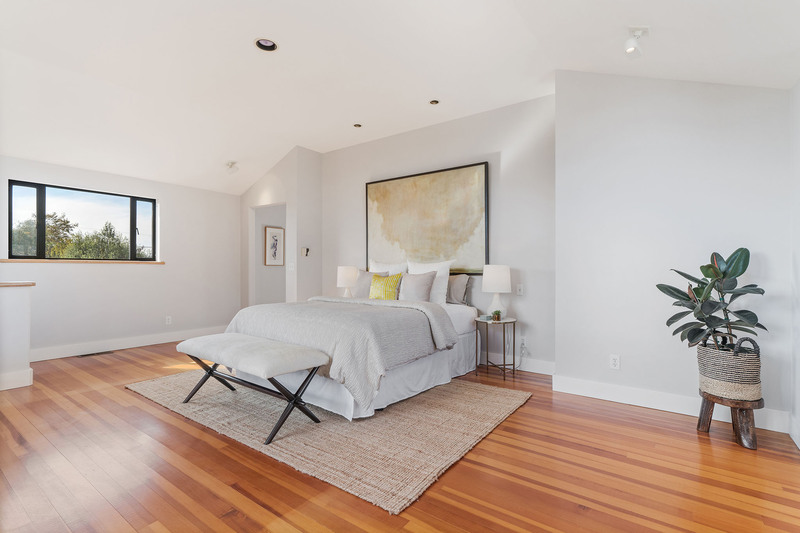 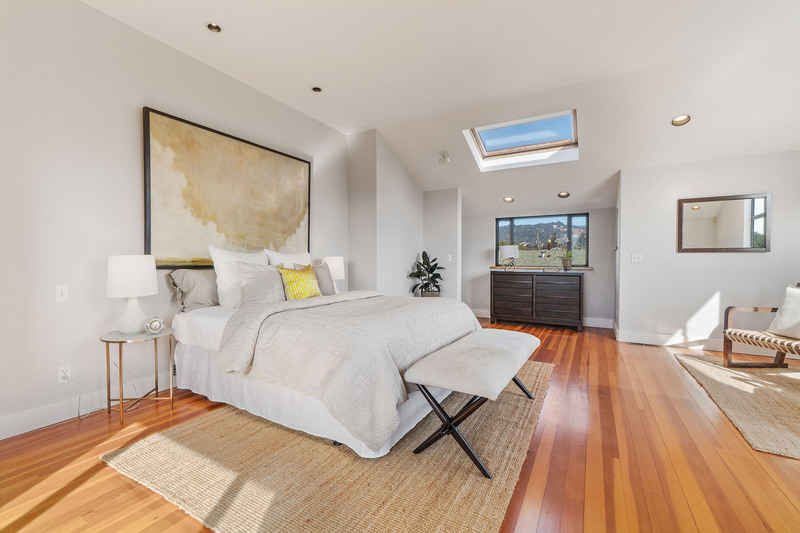 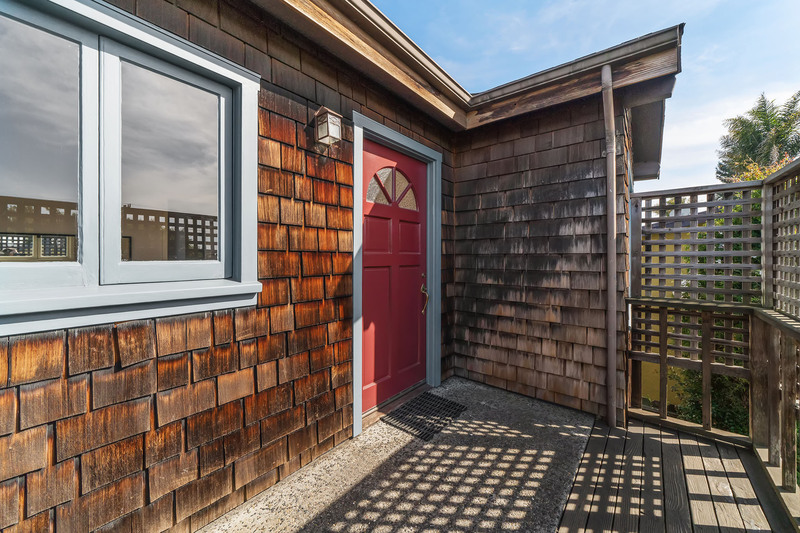 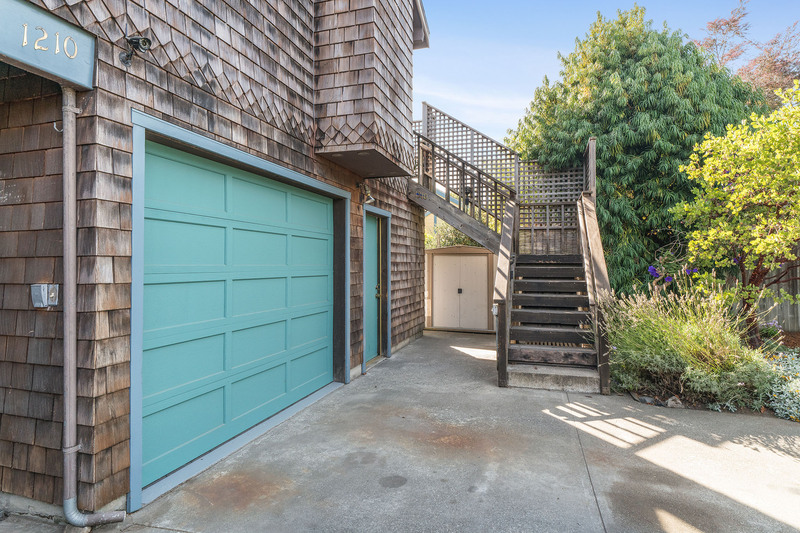 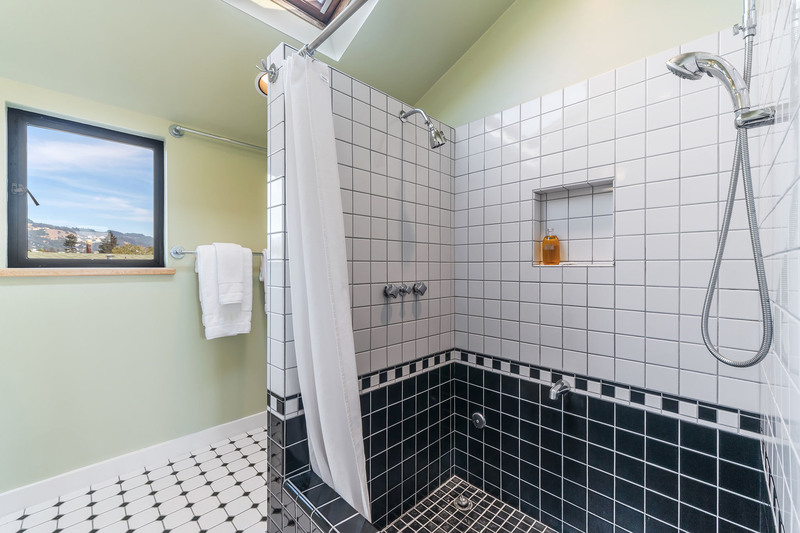 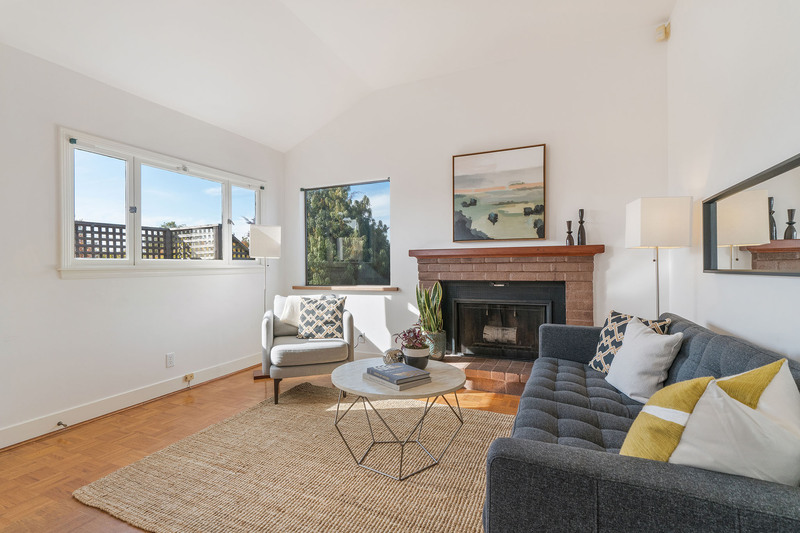 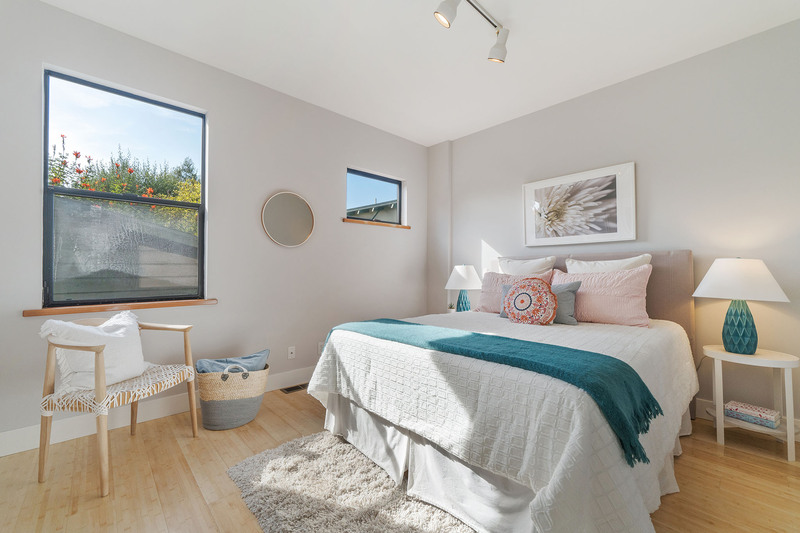 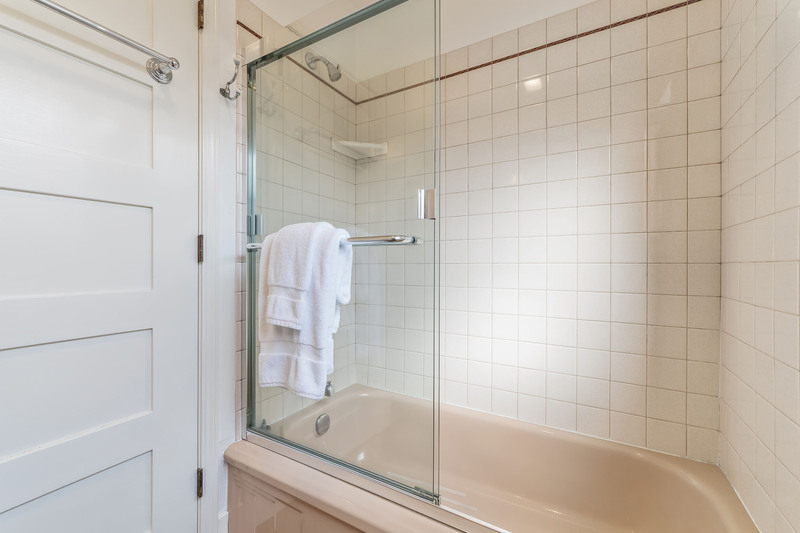 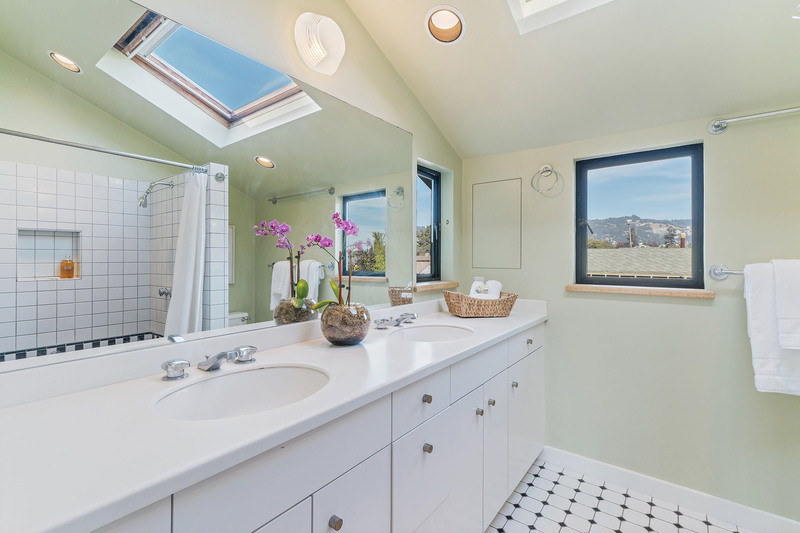 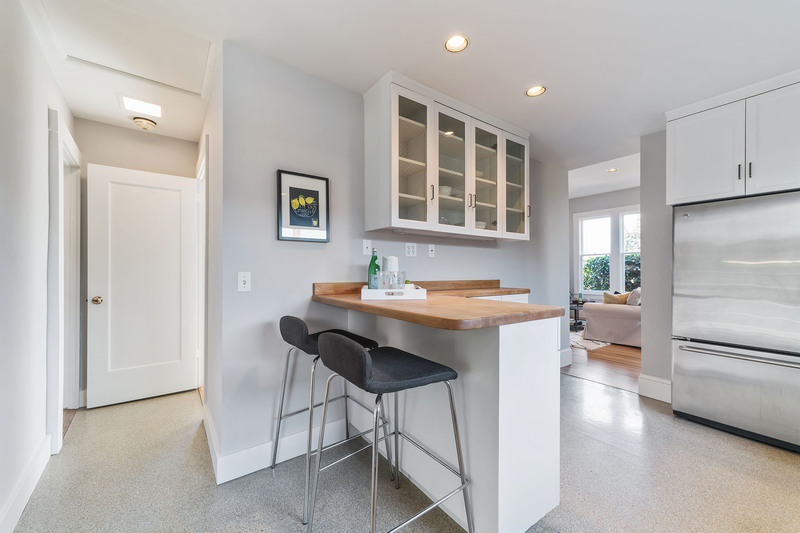 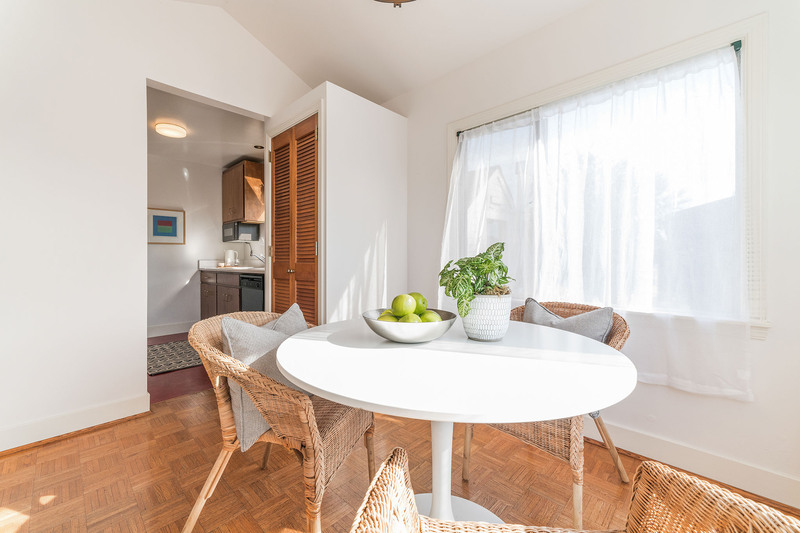 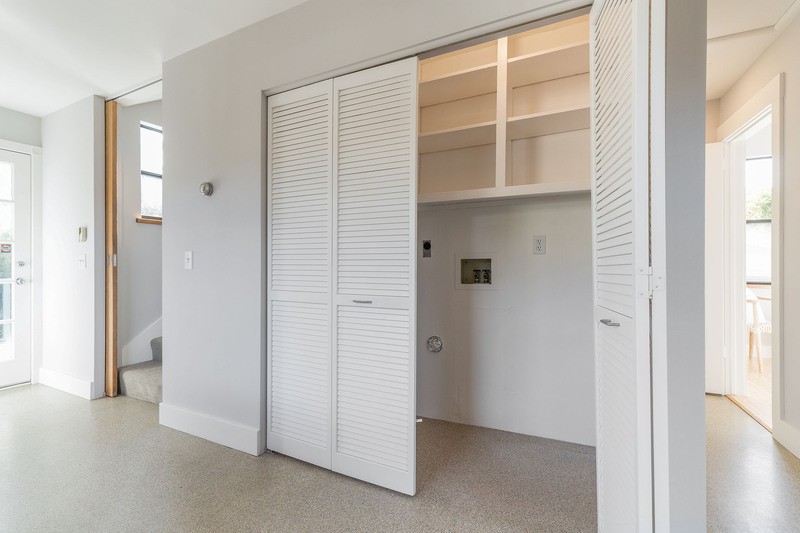 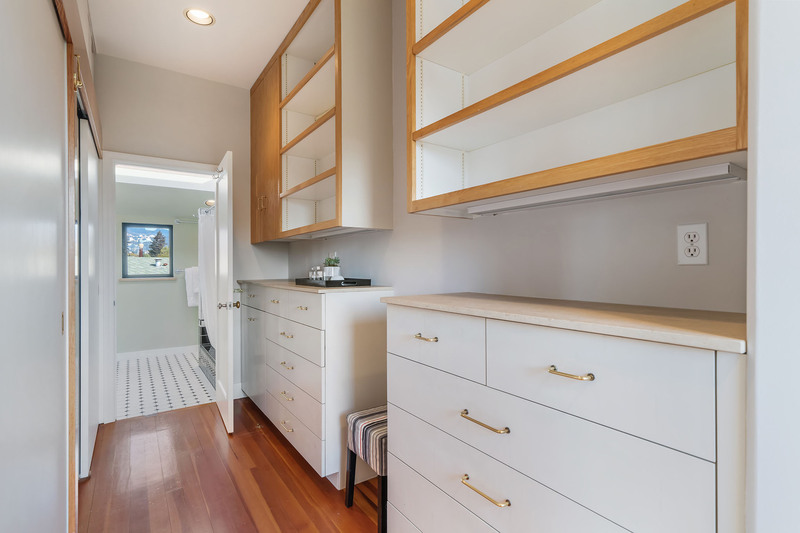 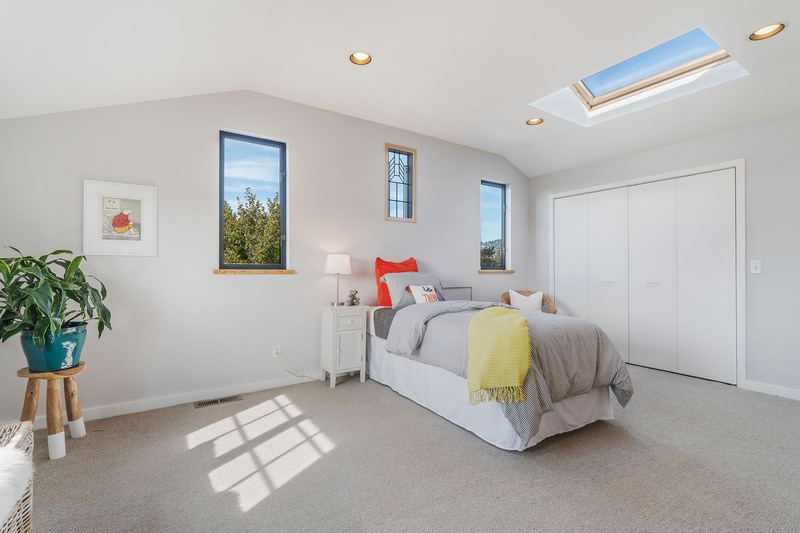 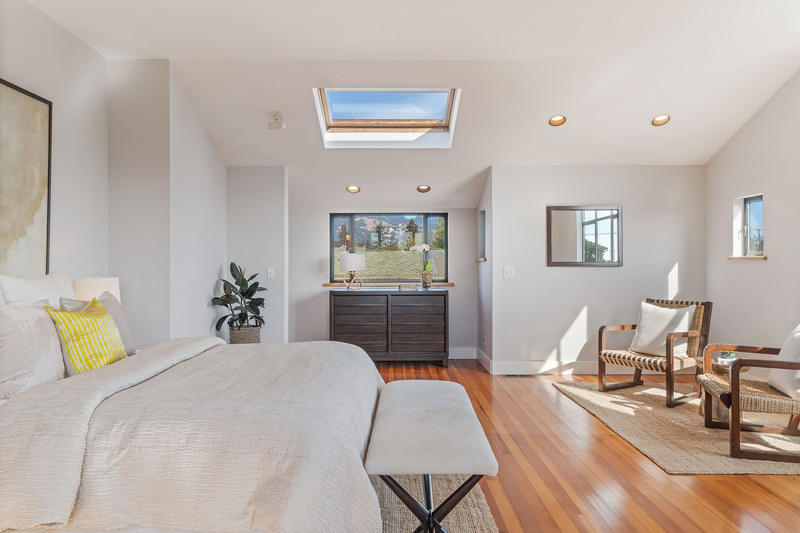 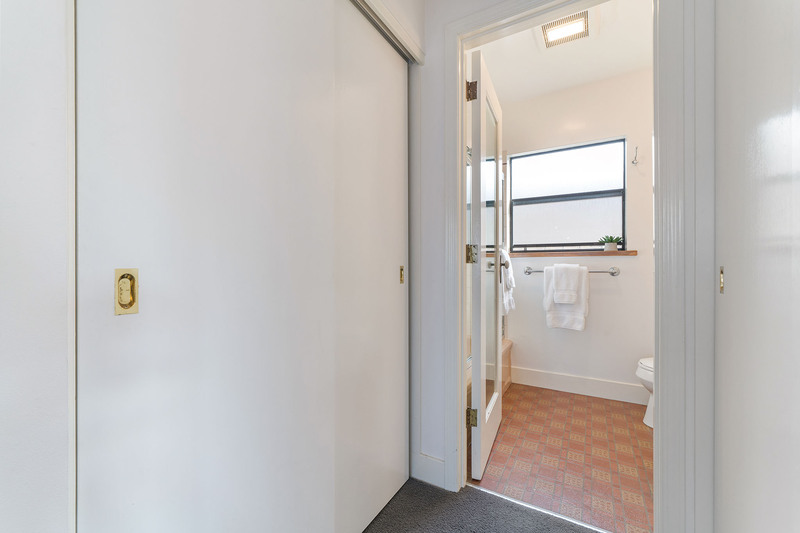 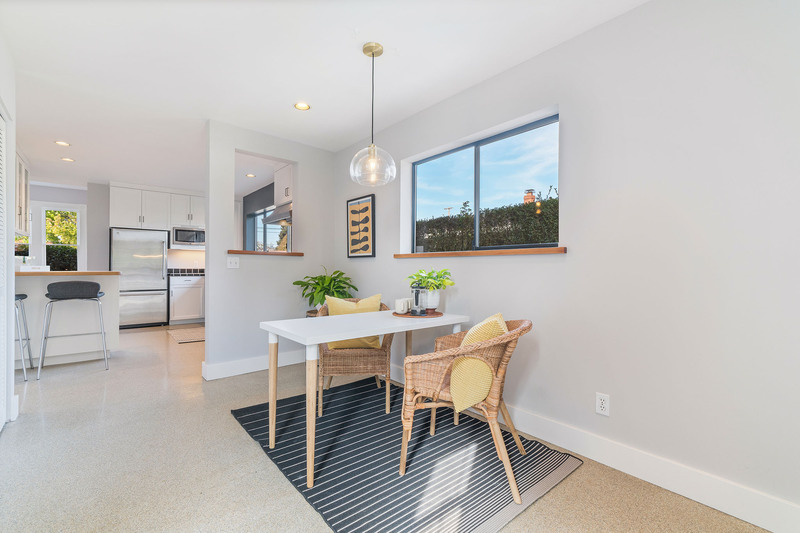 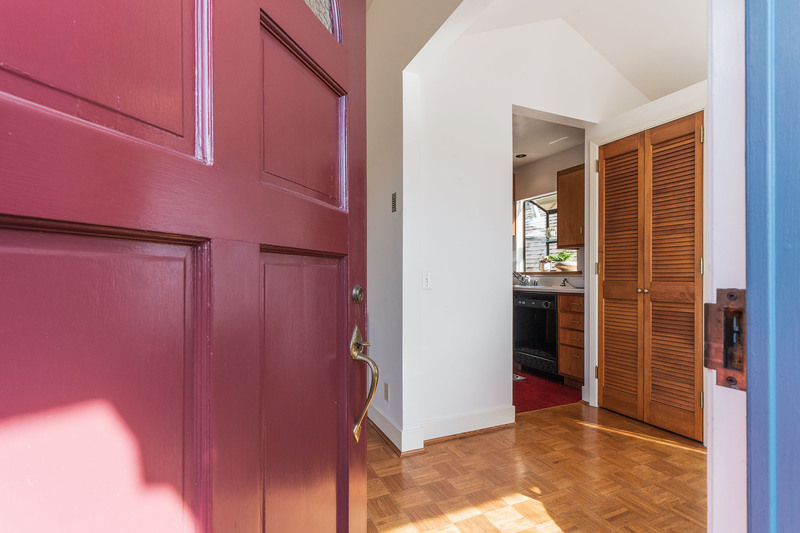 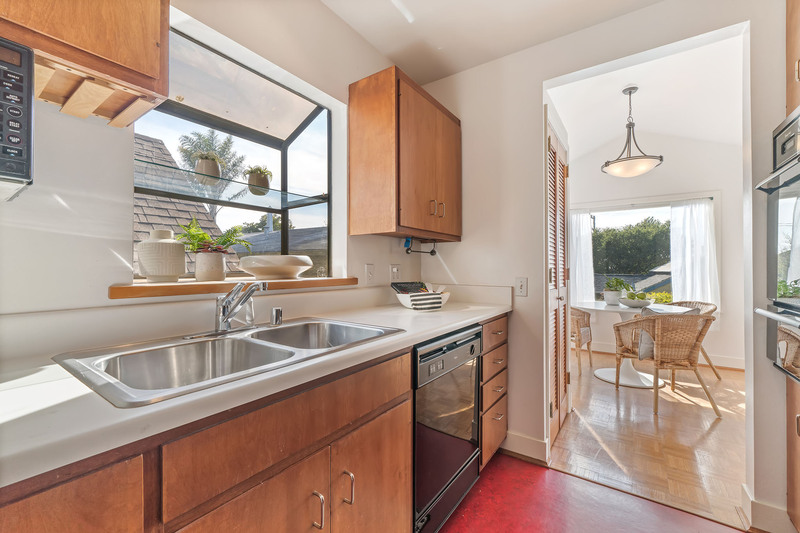 The main floor offers one bedroom and one bath while the upstairs offers one large open master bedroom with a large closet space, skylights and views of the Berkeley Hills; the third bedroom has a stained glass window and some views of the hillside. 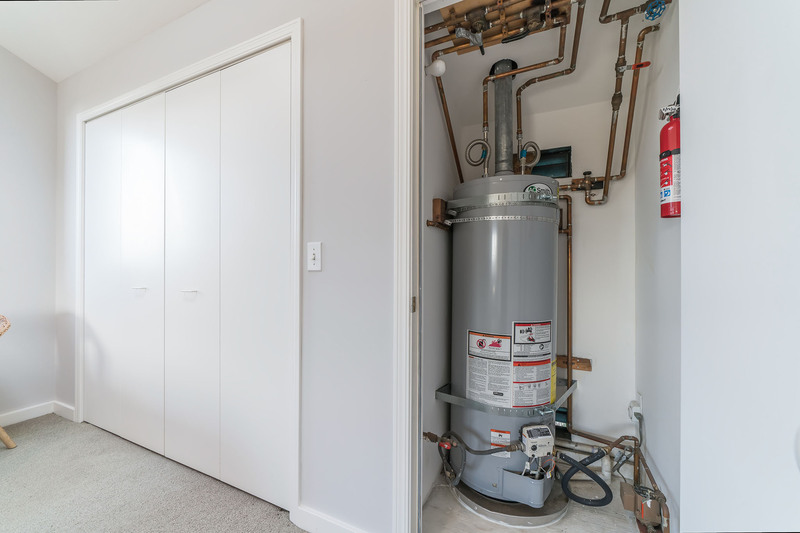 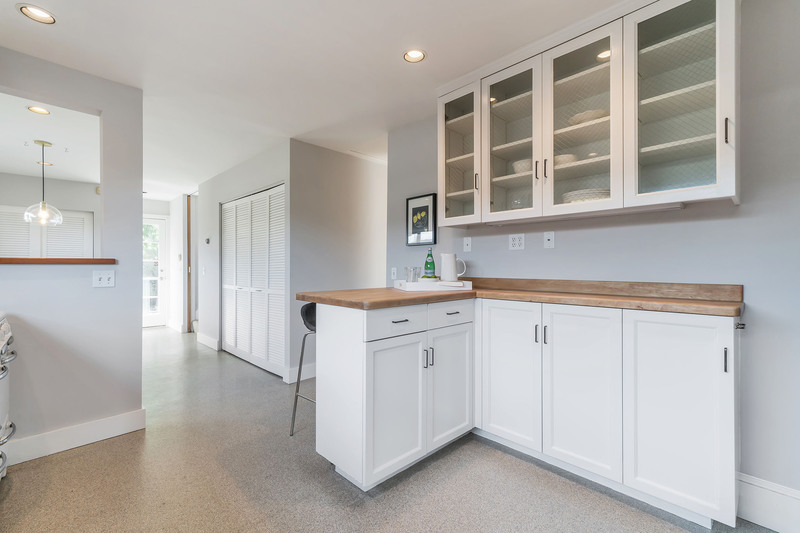 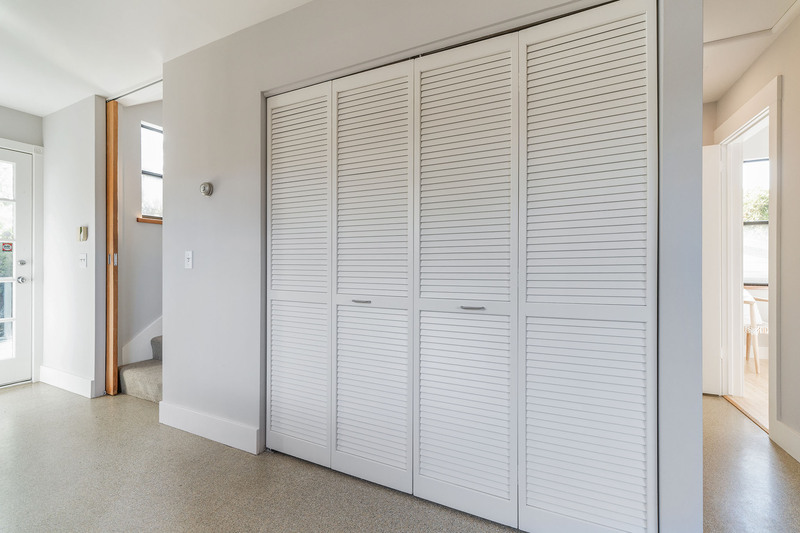 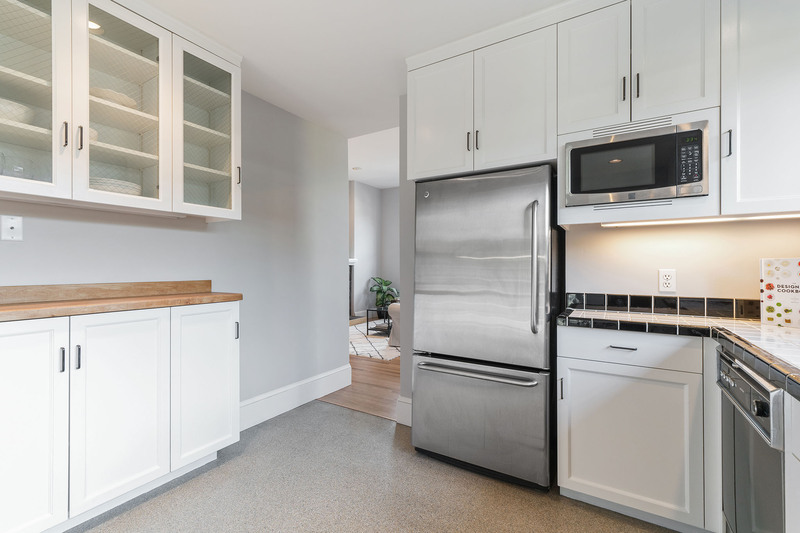 These updates also included an improved new foundation, higher ceilings, updated systems and plumbing, insulation and extra storage space and large garage. 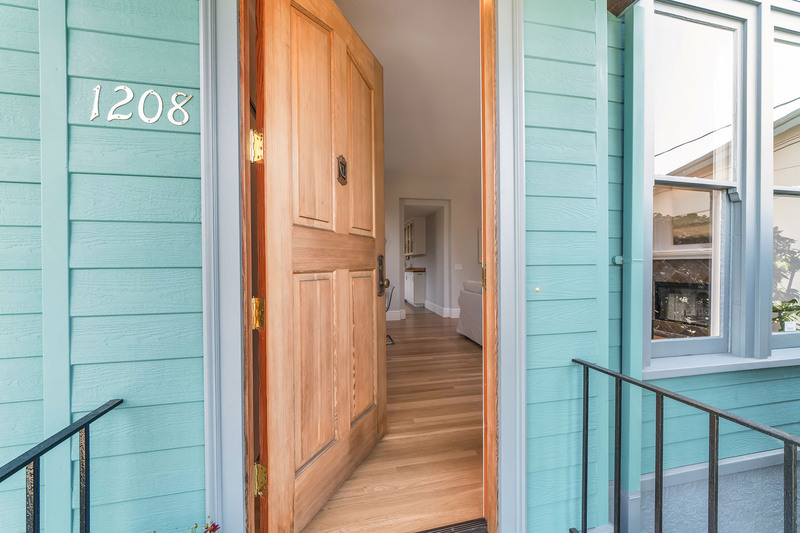 The result is a beautiful blending of old-world charm with the sophistication of the new. 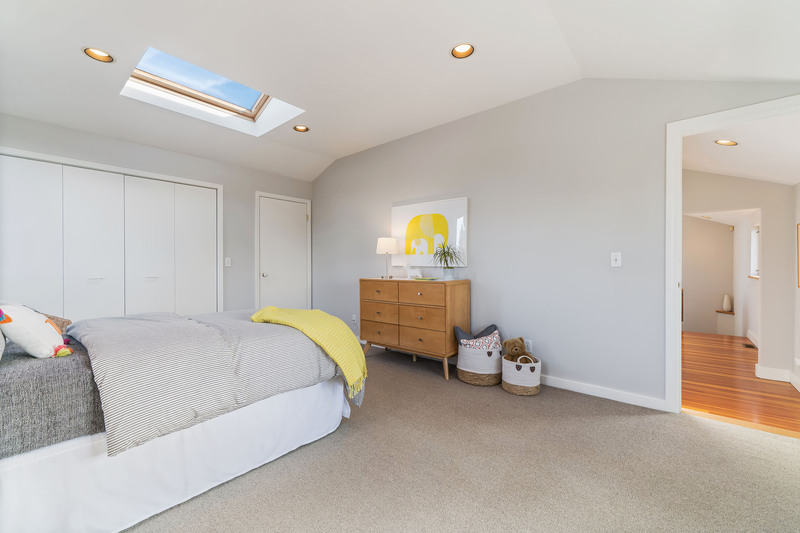 There are also plans available to build another bedroom if needed. 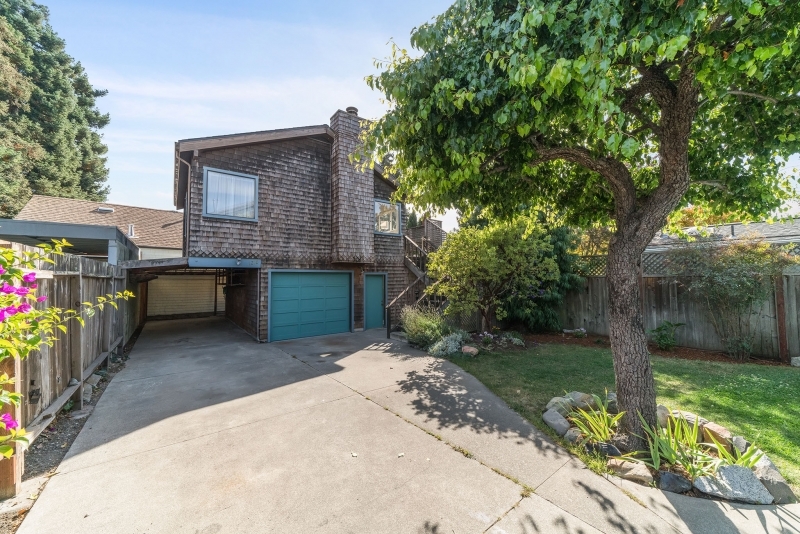 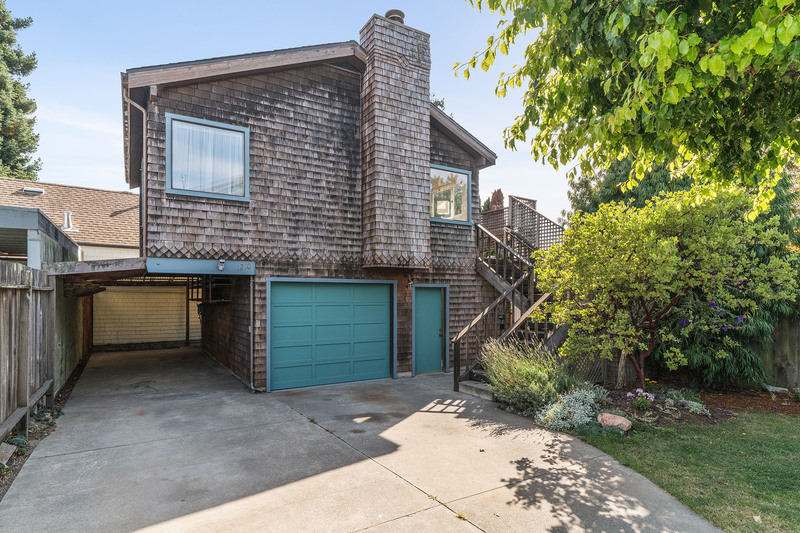 Other improvements that came in the 1990s: Across a very pretty yard an adorable 1 bedroom/1 bath wood shingle home was built with a two-car garage. 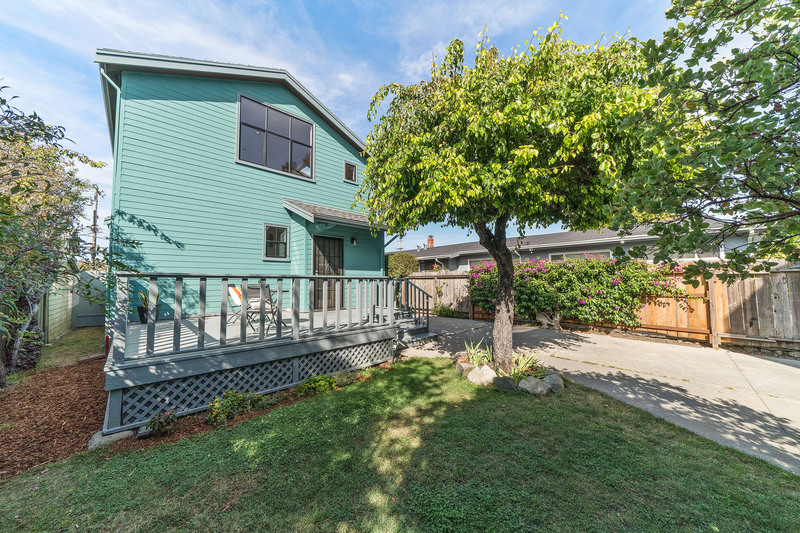 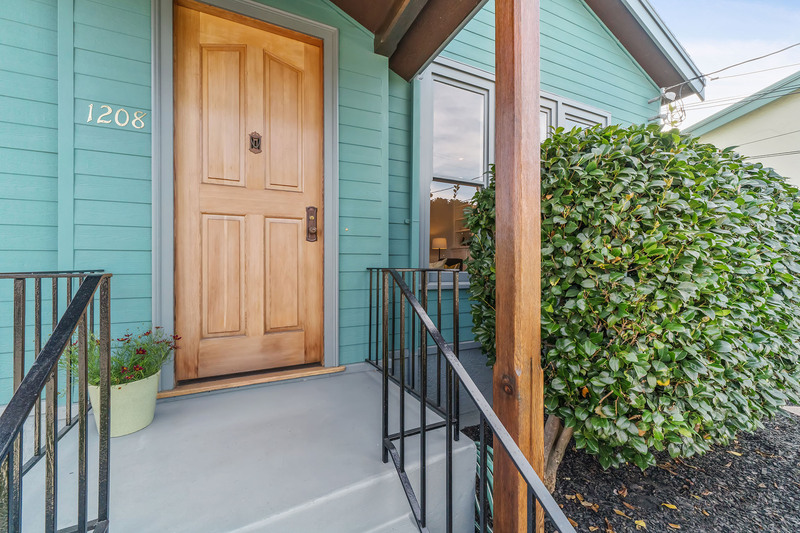 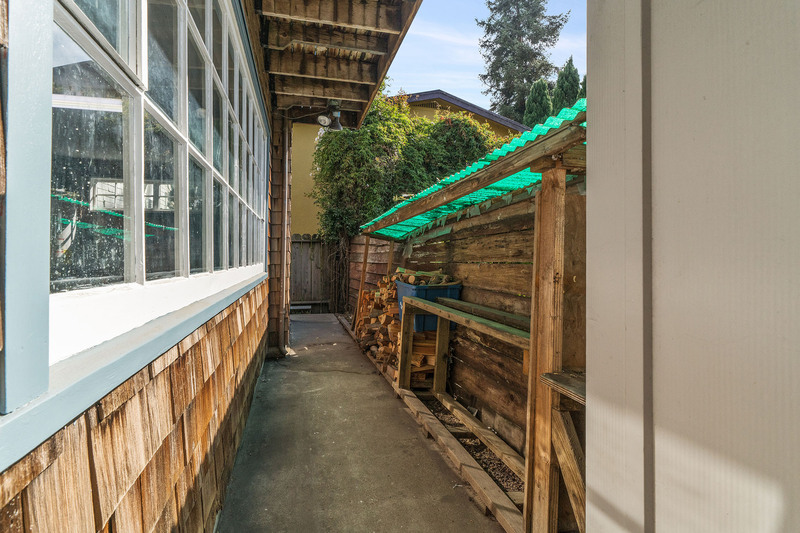 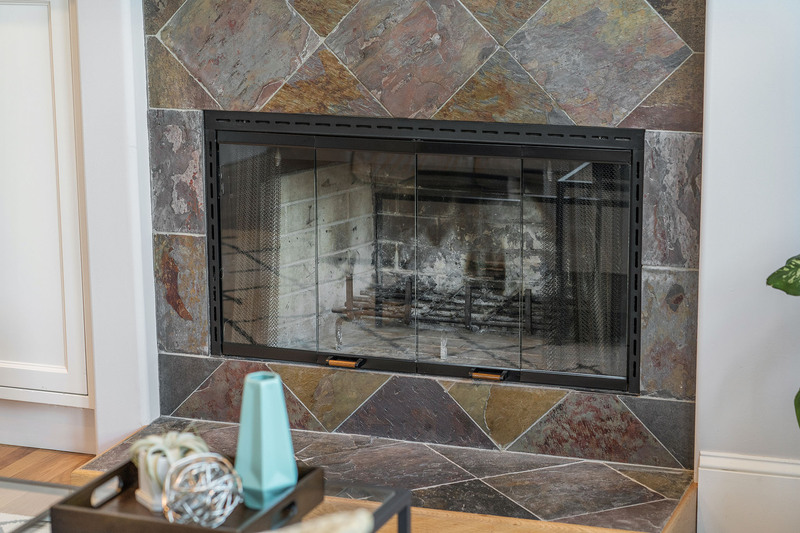 This comfortable home boasts a fireplace, wrap-around windows and entry deck. 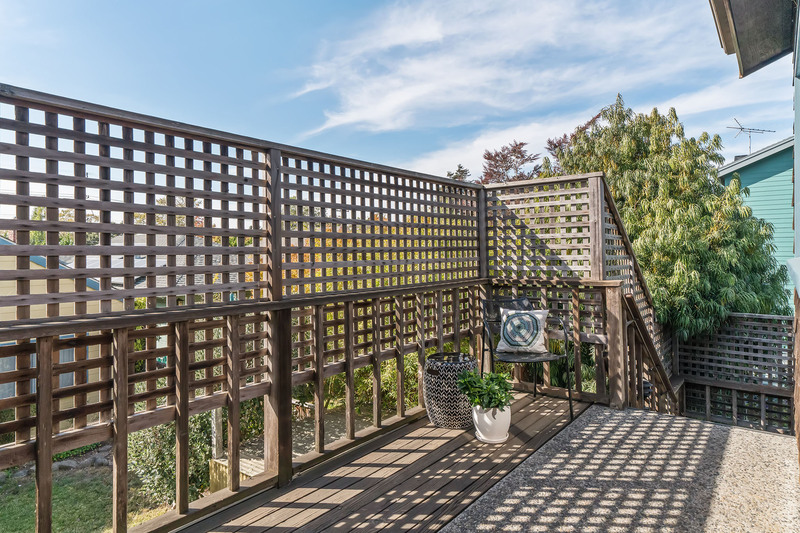 Both structures enjoy lovely tree-top views. 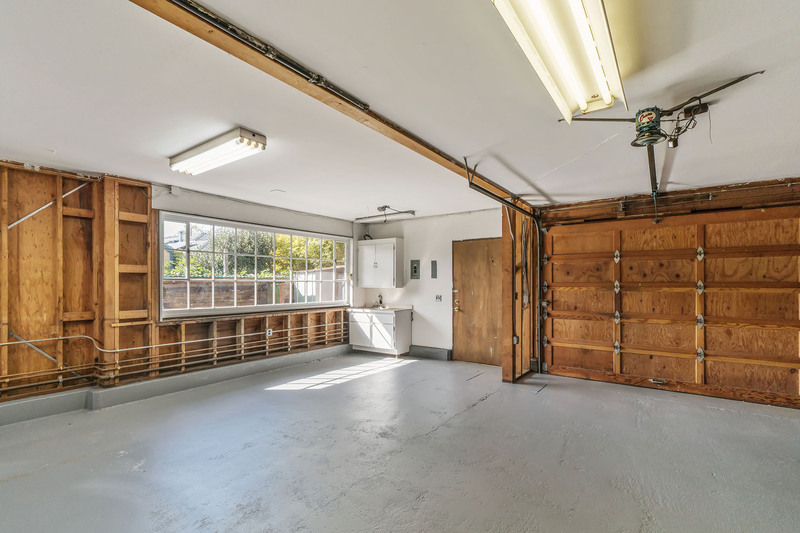 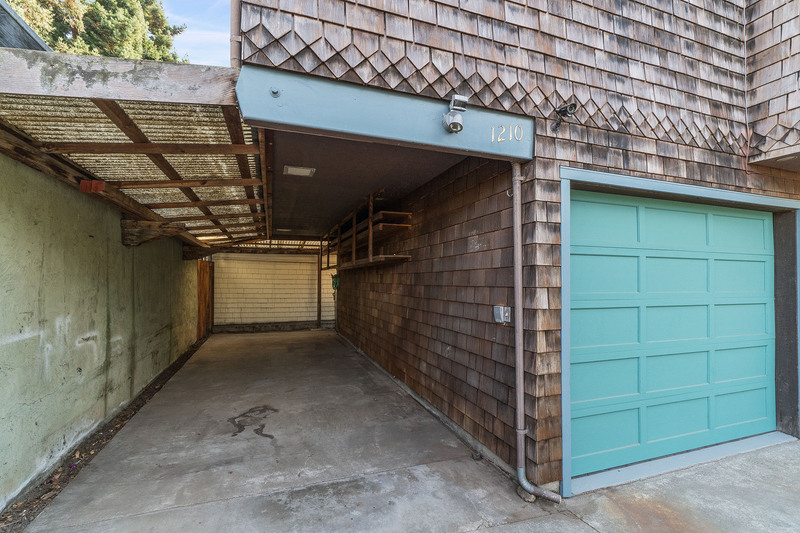 A long driveway, car port, and garage provide ample storage and parking space, newer roof installed in 2016. 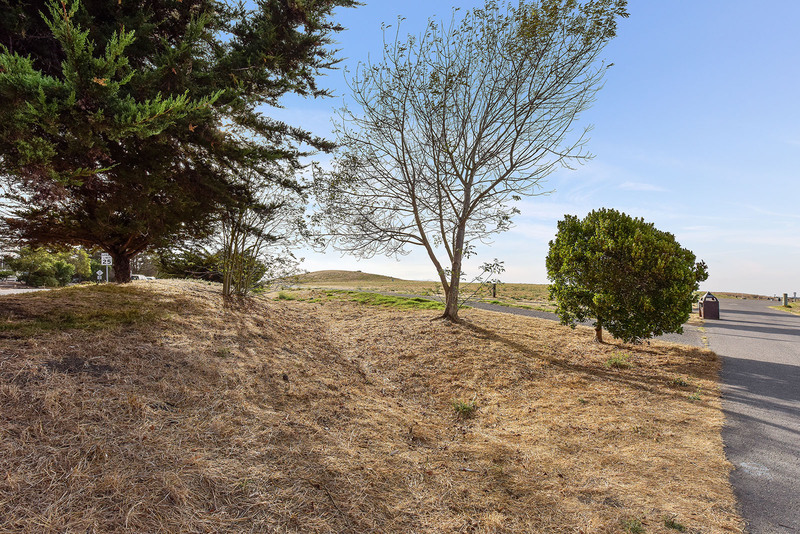 Near Virginia Gardens and Ohlone Greenway biking trail, West St biking trail. 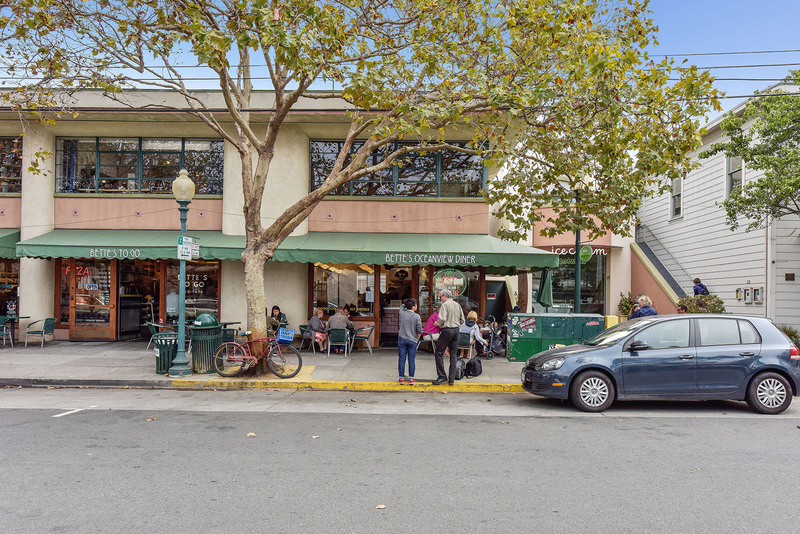 Enjoy food from Acme Bakery, Bartevil Café, Whole Foods, and Monterey Market. 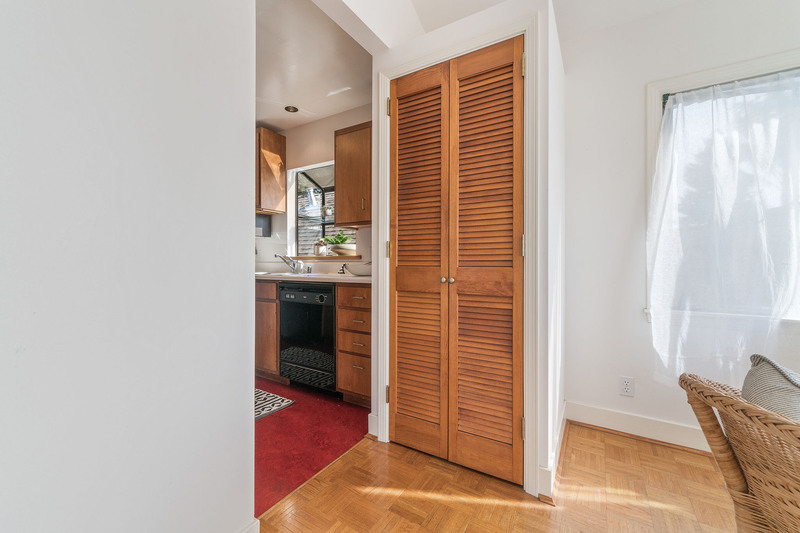 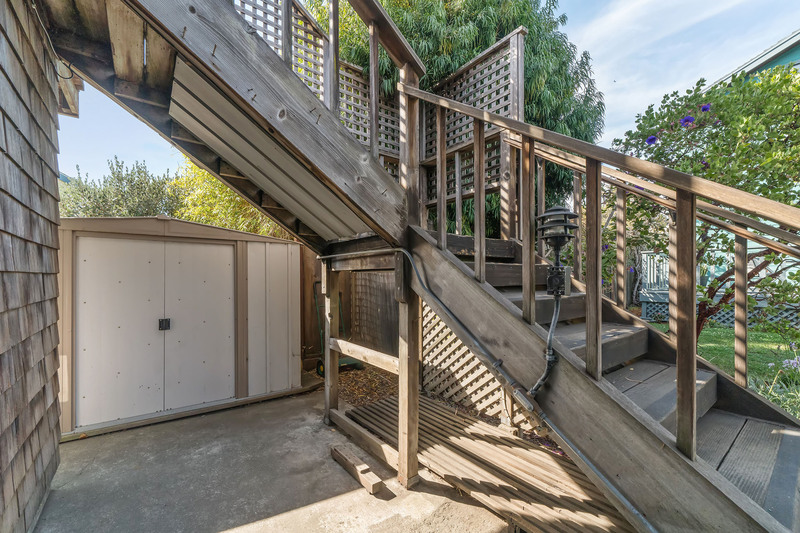 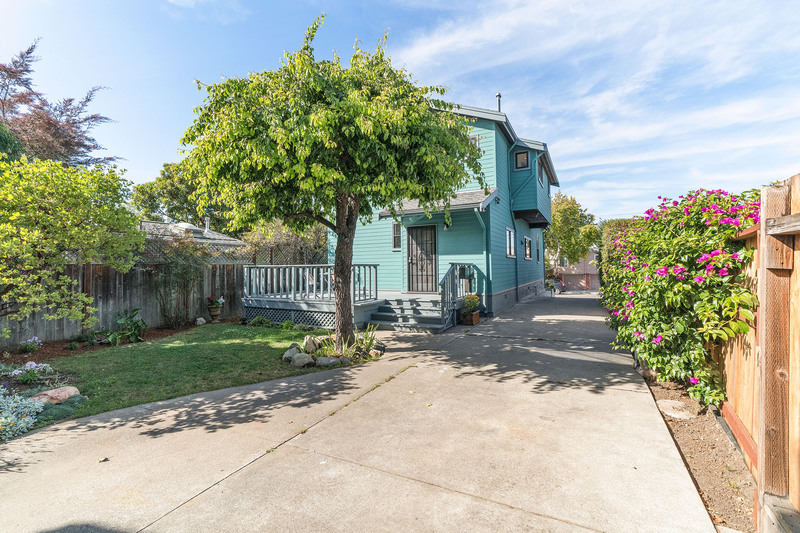 Easy Access to UC Berkeley and San Francisco.3 blocks to North Berkeley BART station,2 blocks to Cedar Park. 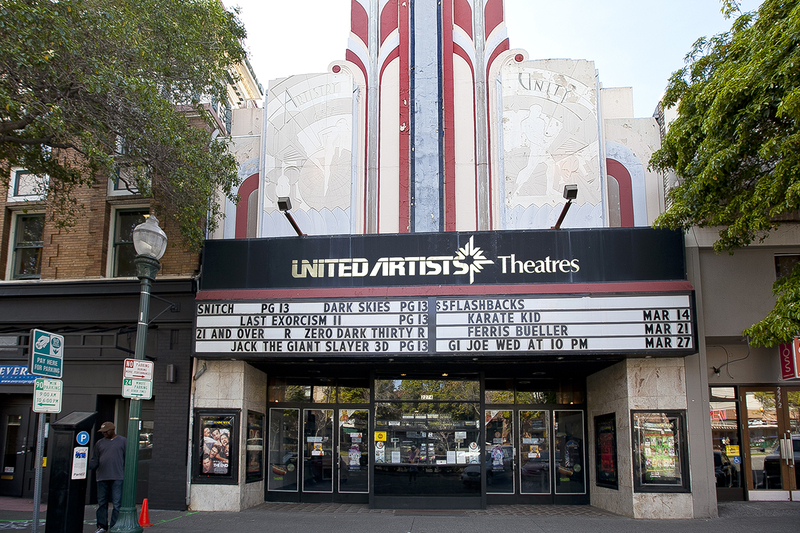 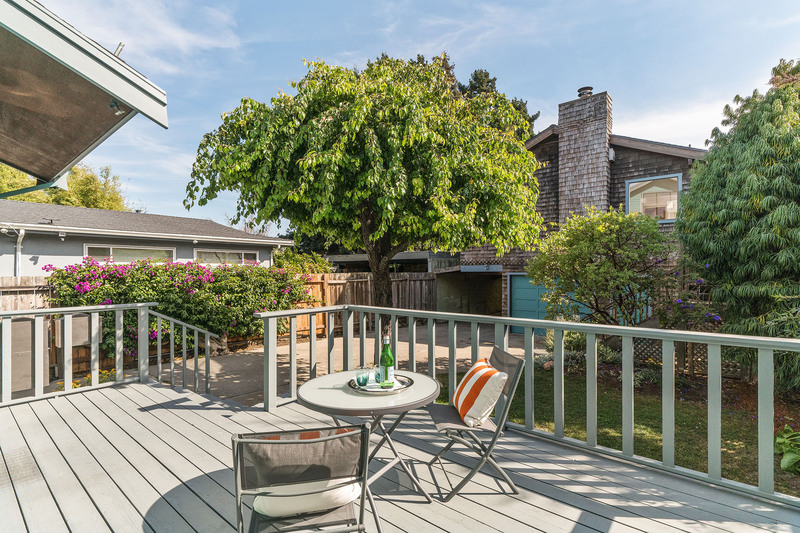 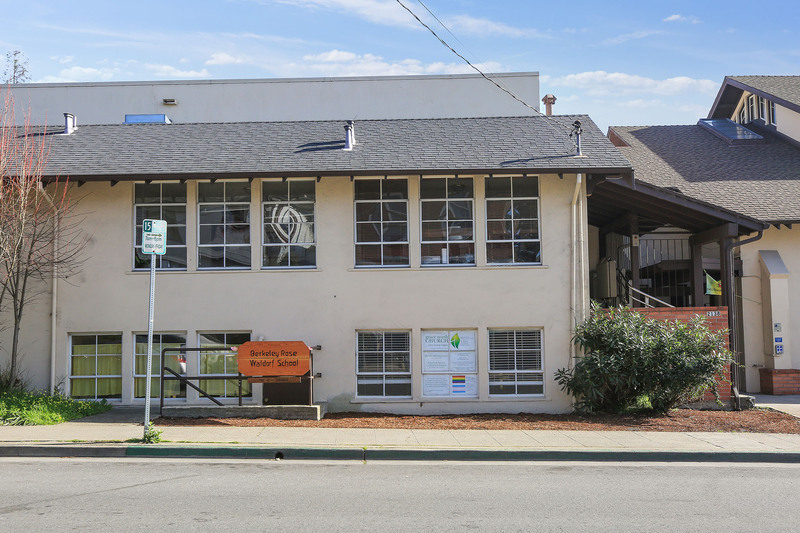 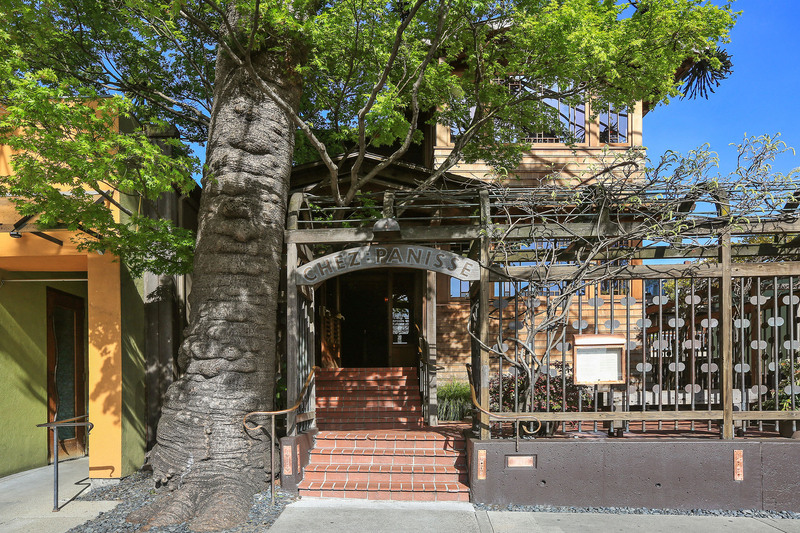 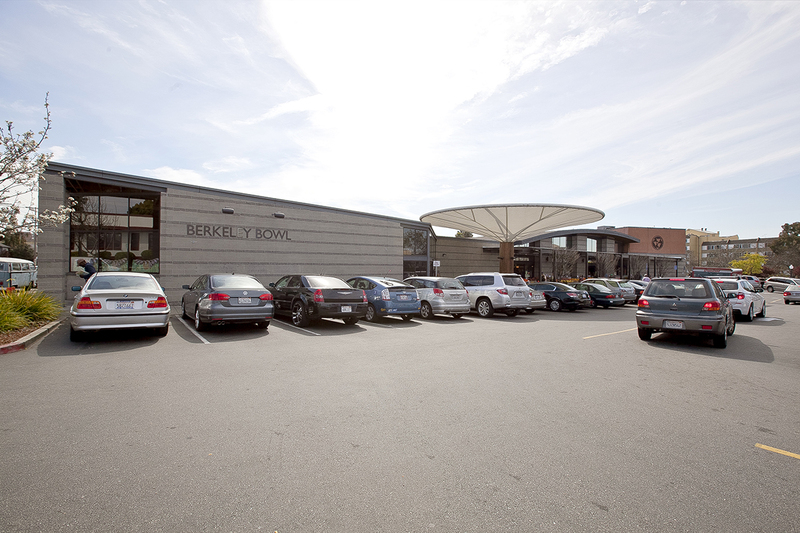 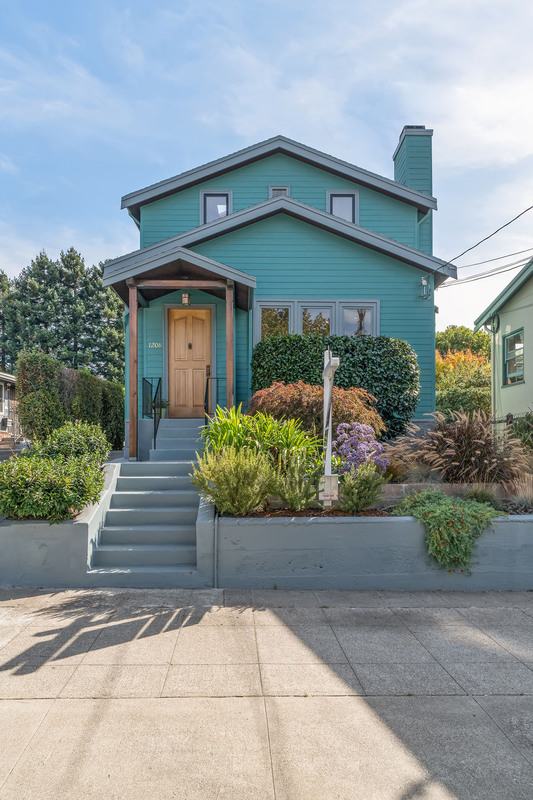 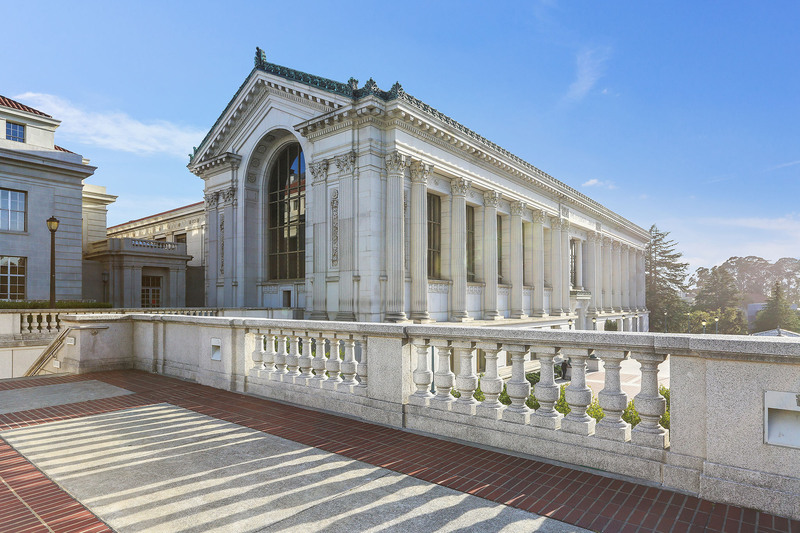 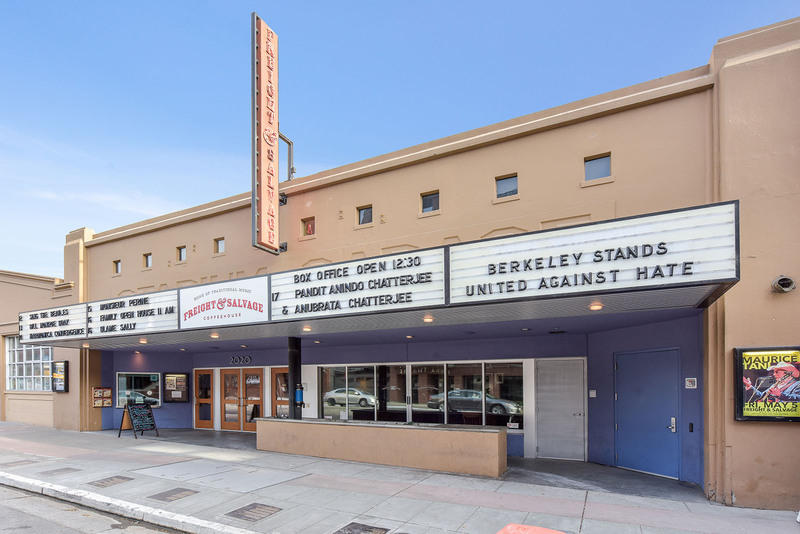 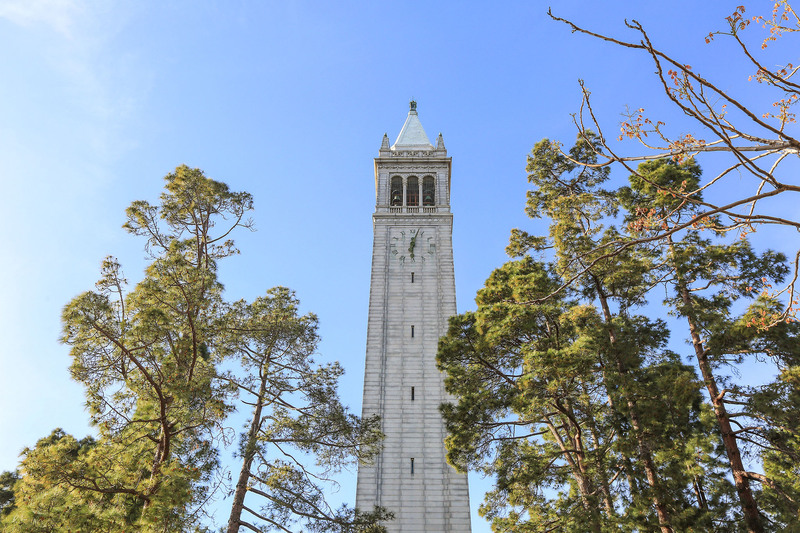 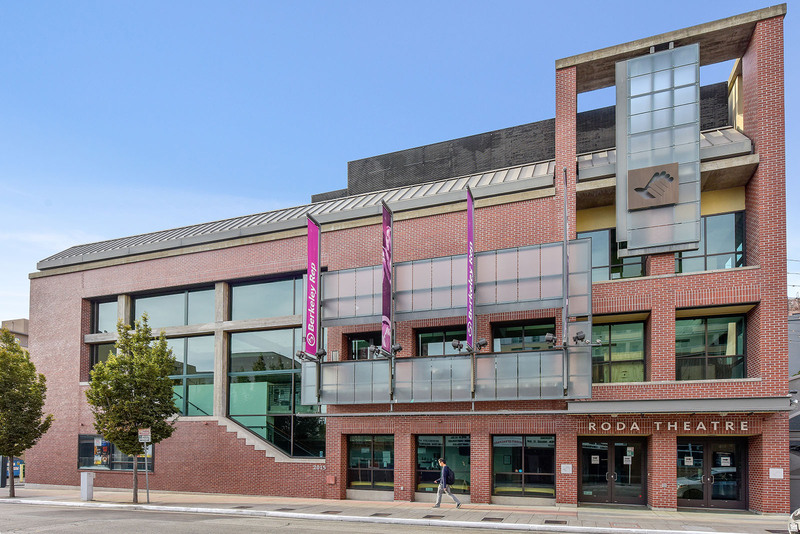 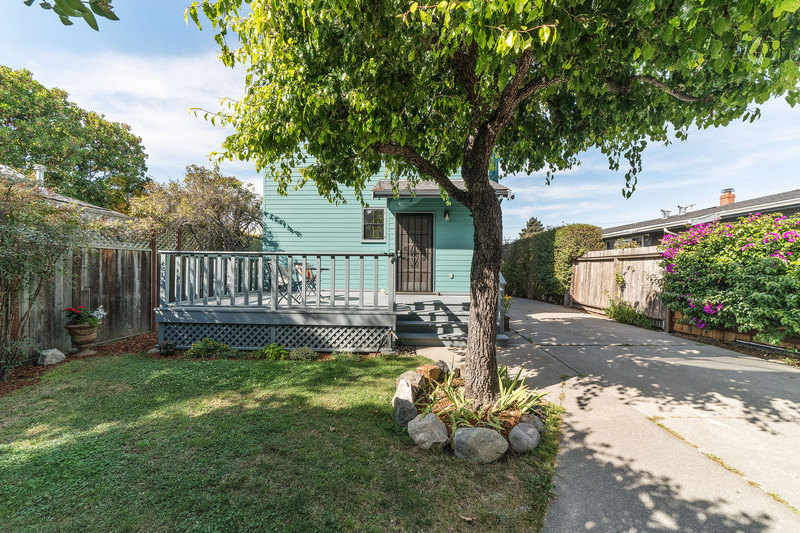 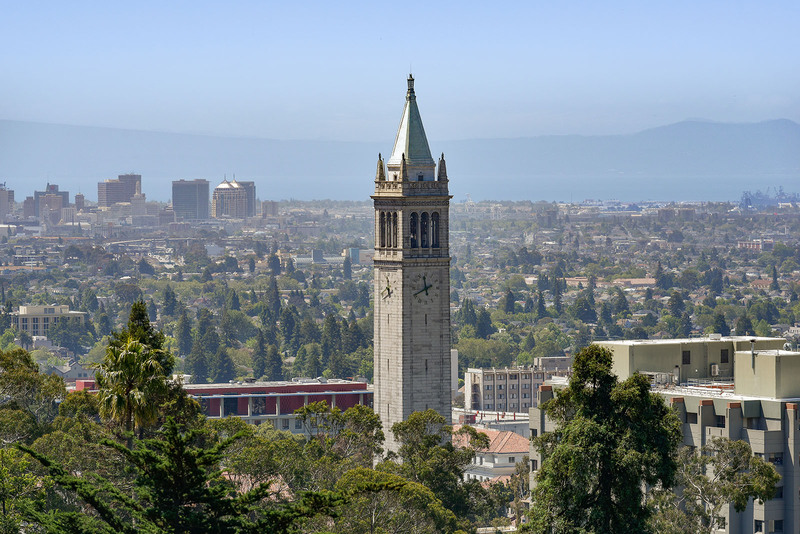 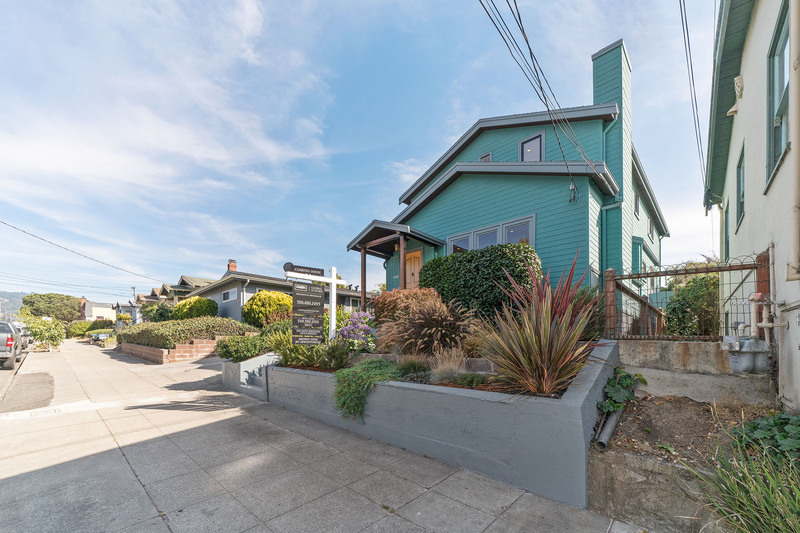 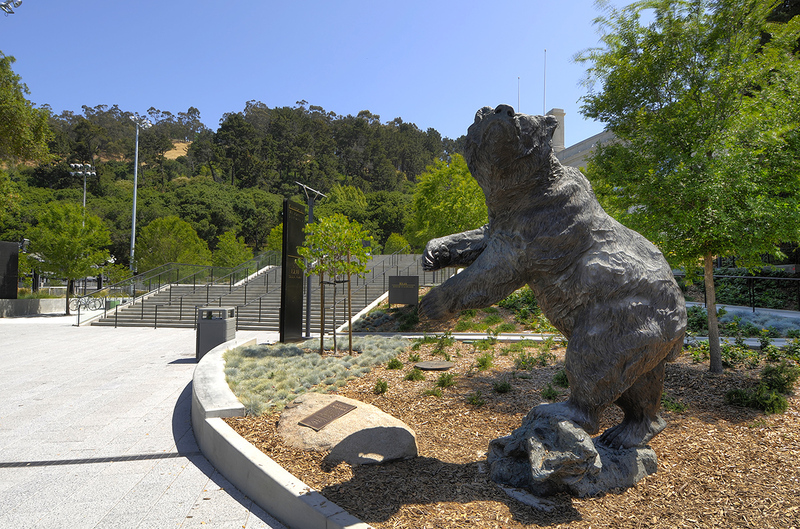 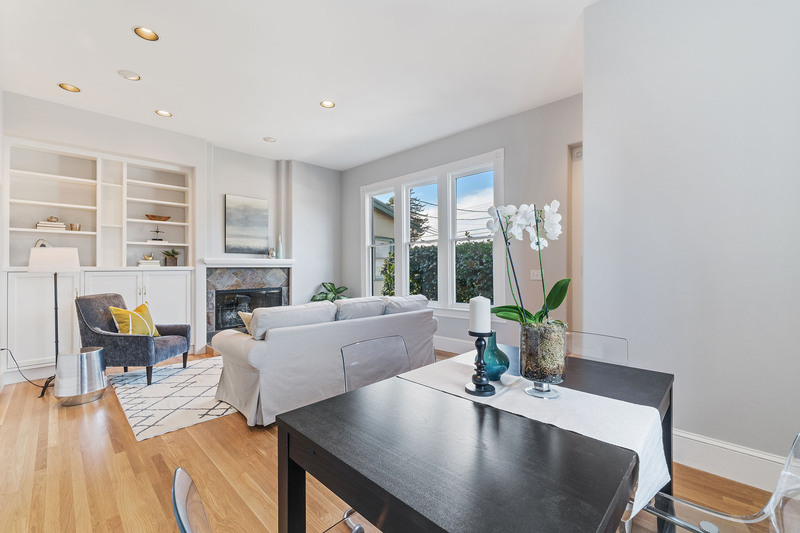 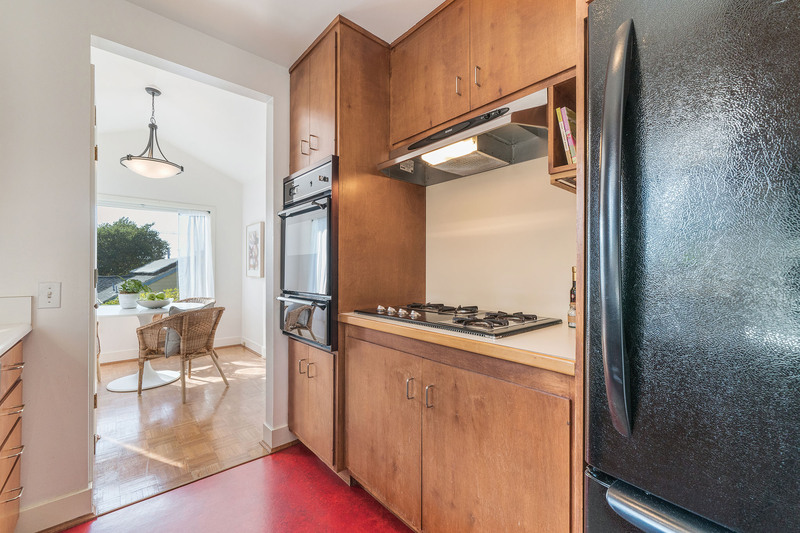 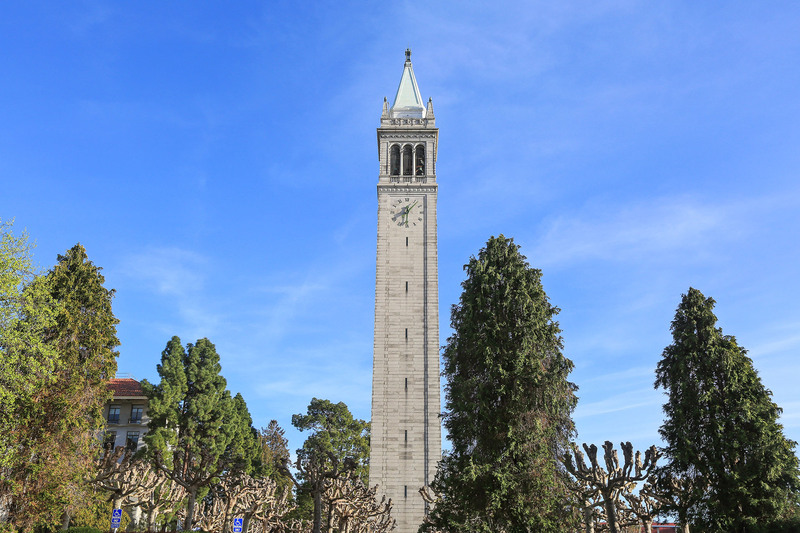 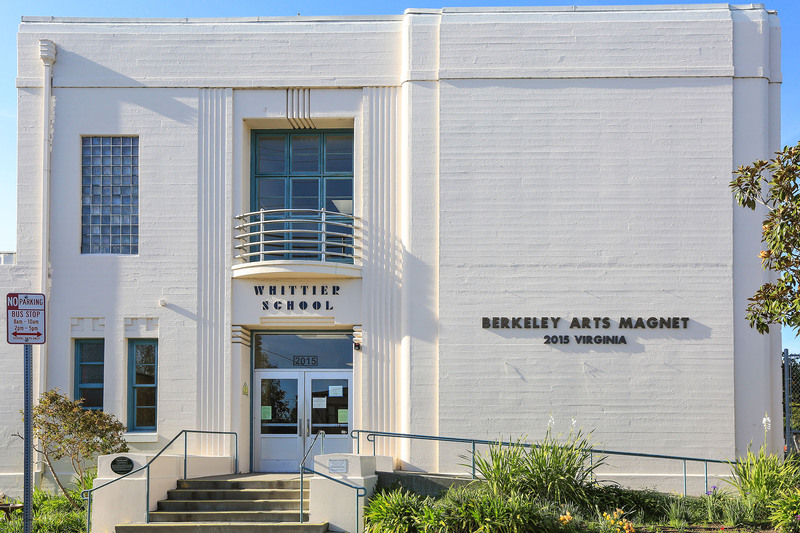 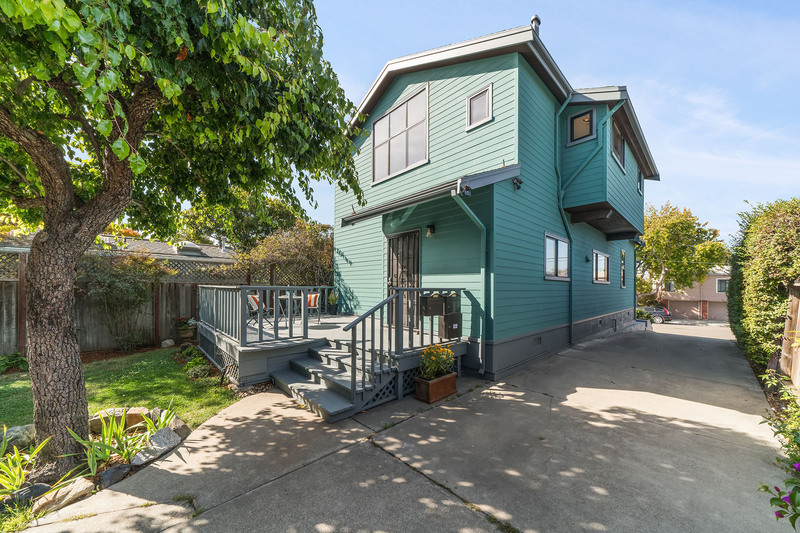 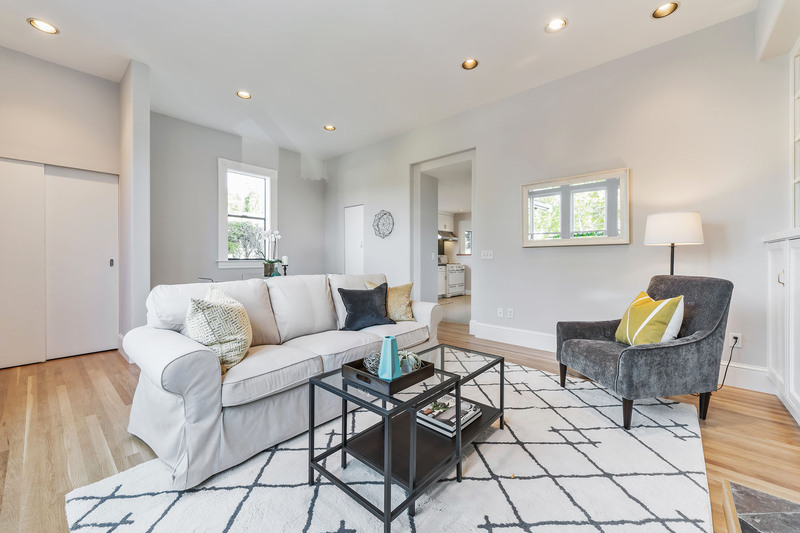 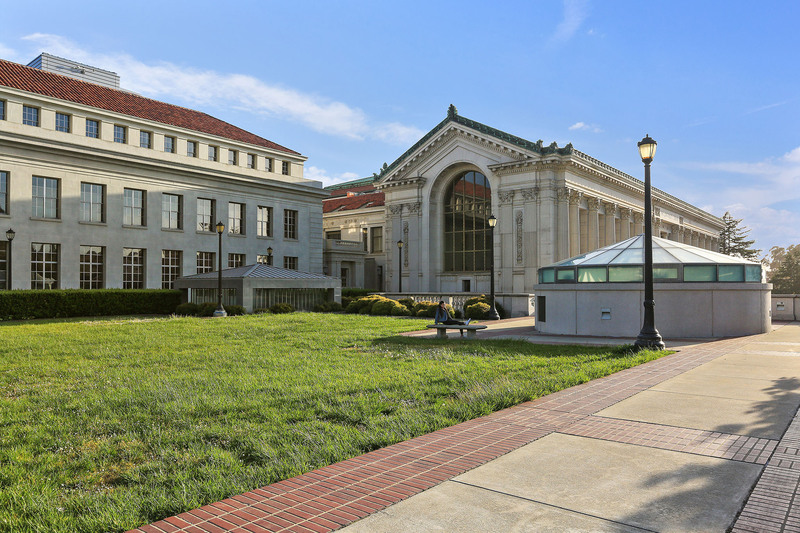 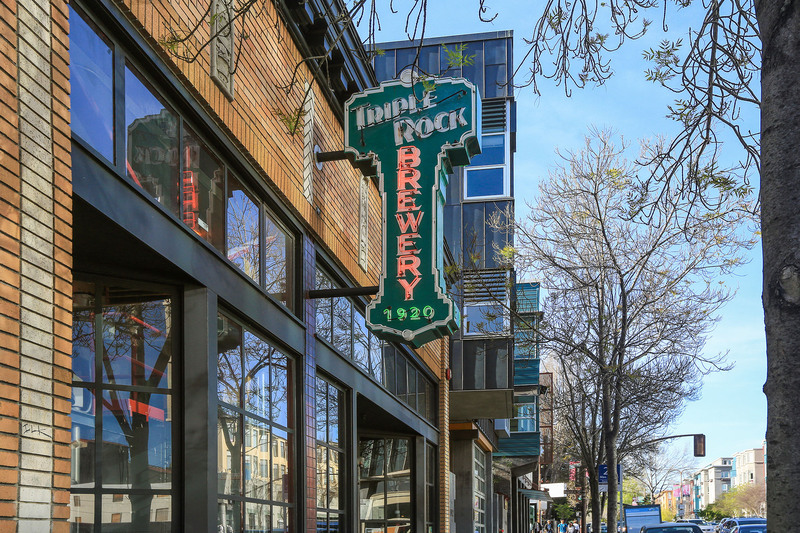 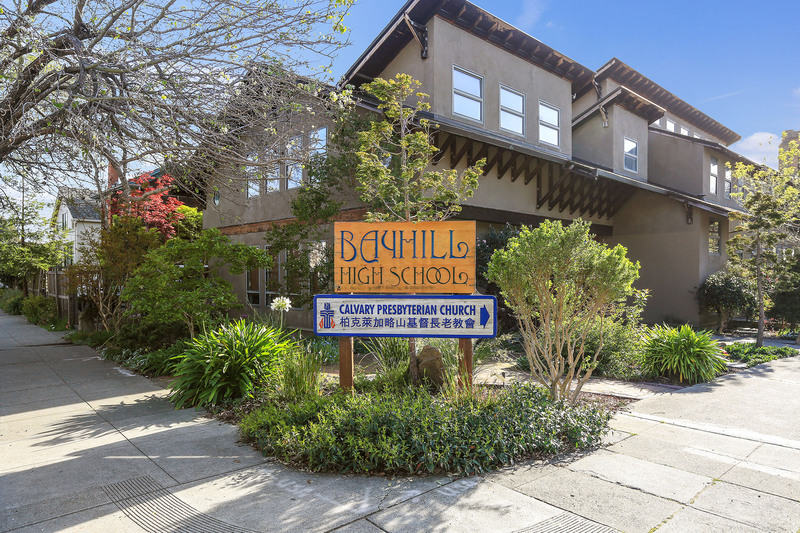 Open 11/3 & 11/4th from 2-4 p.m.
Home to one of the most prestigious universities in the country, Berkeley offers the intellectual and cultural stimulation from its campus -- which is within walking distance of North Berkeley, Gourmet Ghetto & downtown. 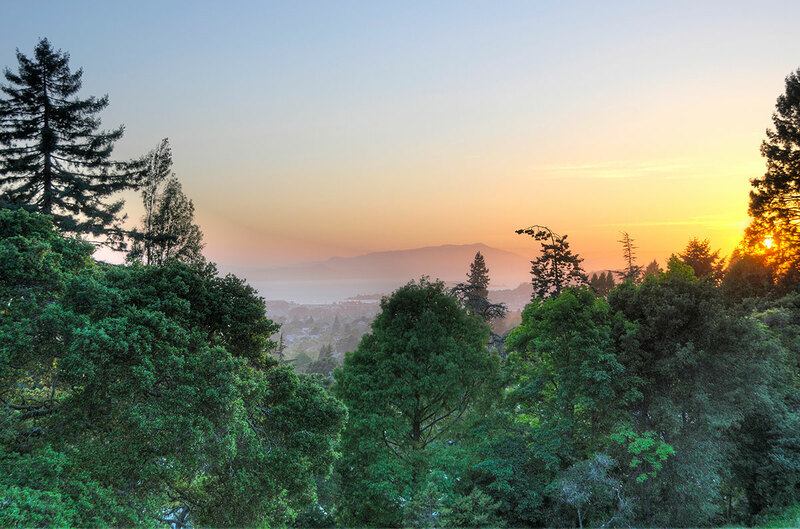 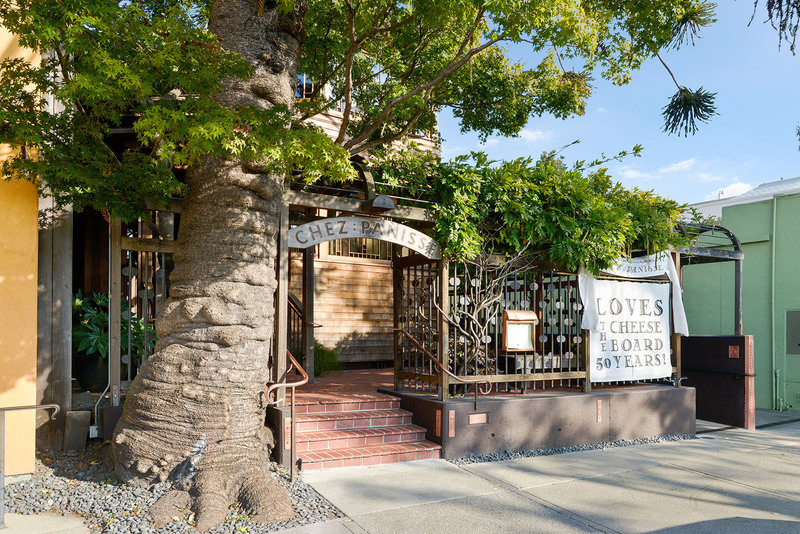 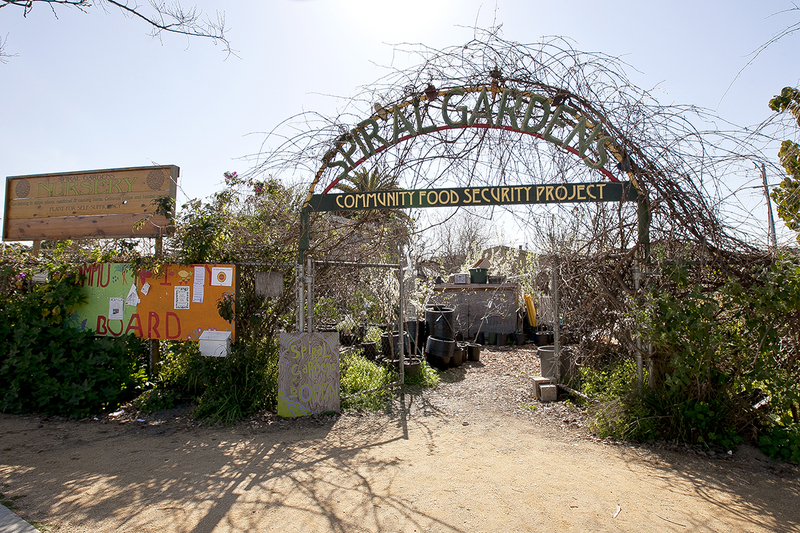 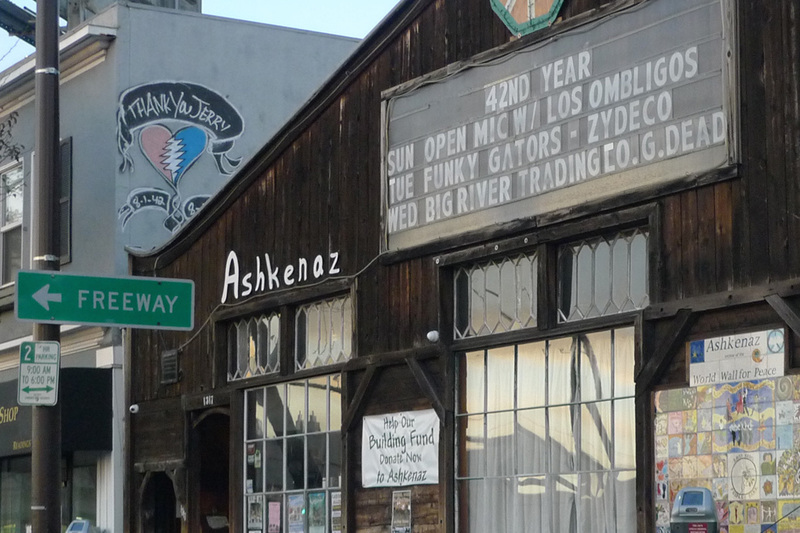 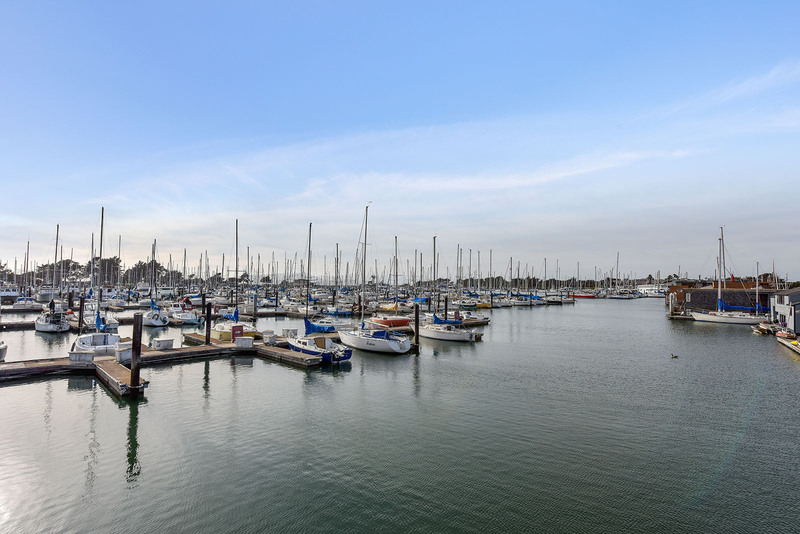 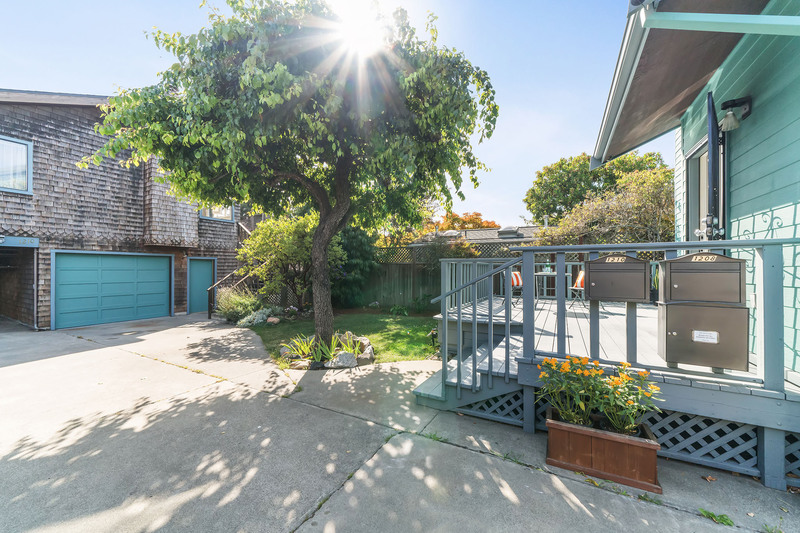 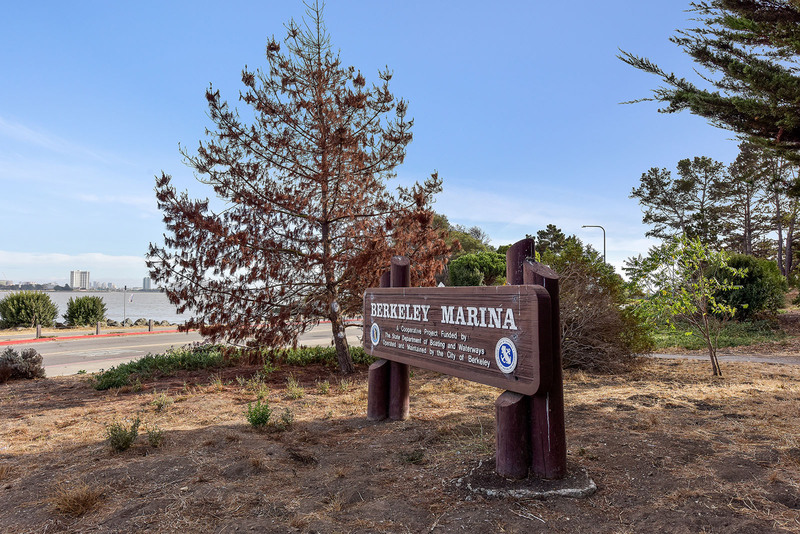 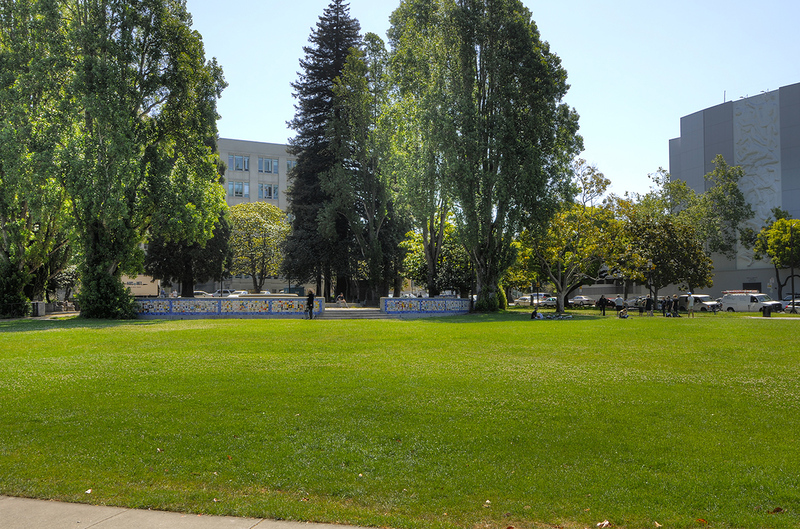 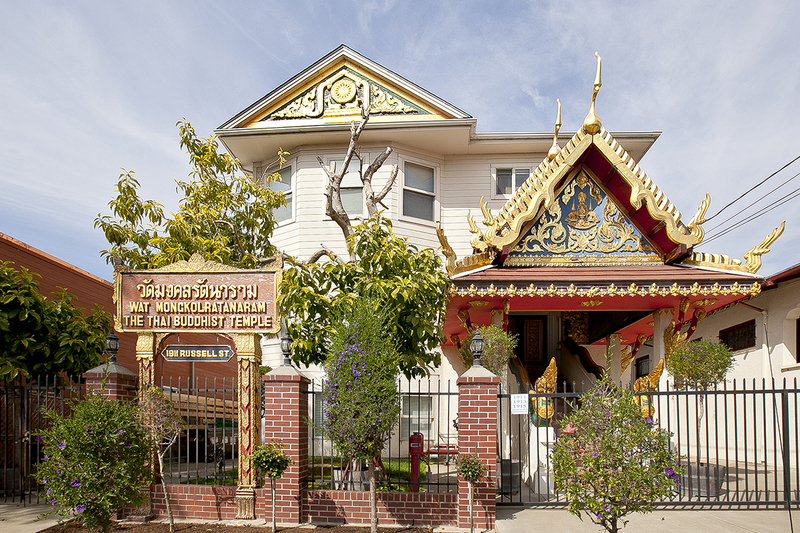 Many Berkeley neighborhoods were established in the 1920s, with quiet, tree-lined streets, brown-shingled homes, and lushly landscaped yards. 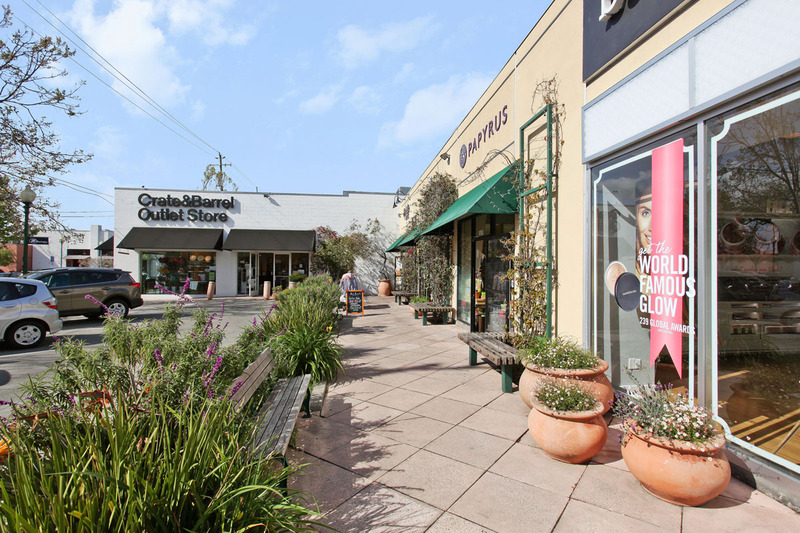 In Thousand Oaks, the original developers preserved ancient oak trees and left rock outcroppings intact. 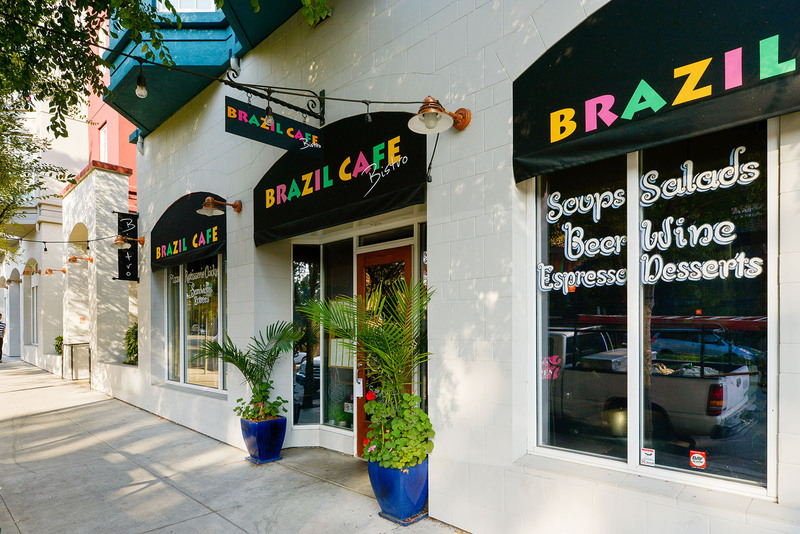 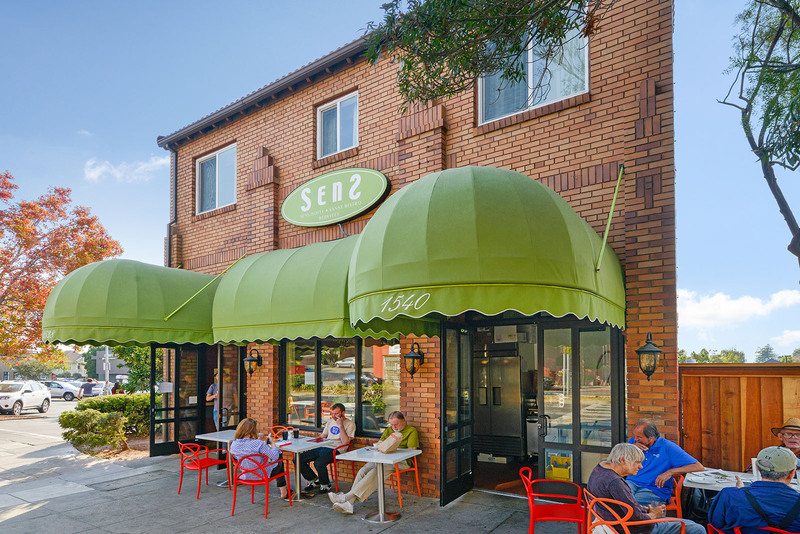 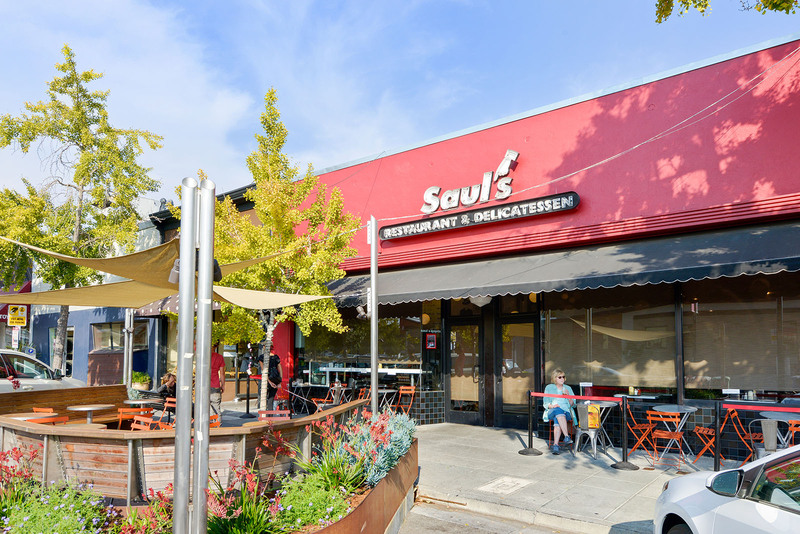 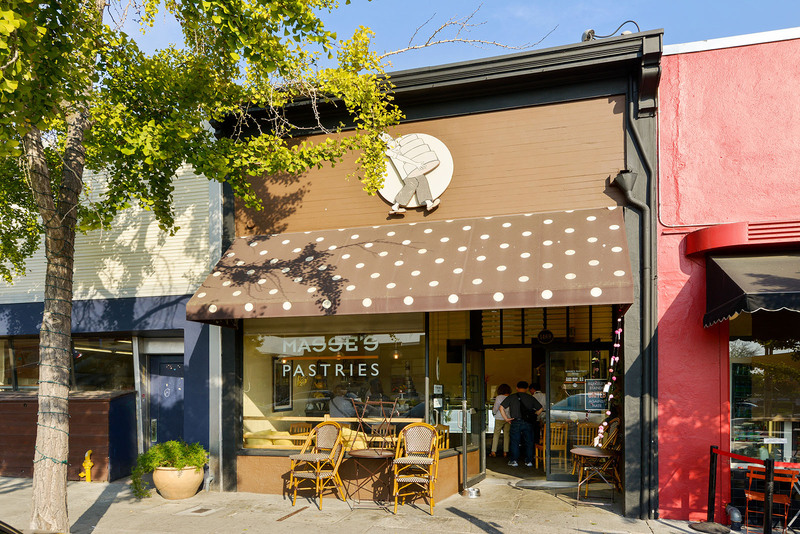 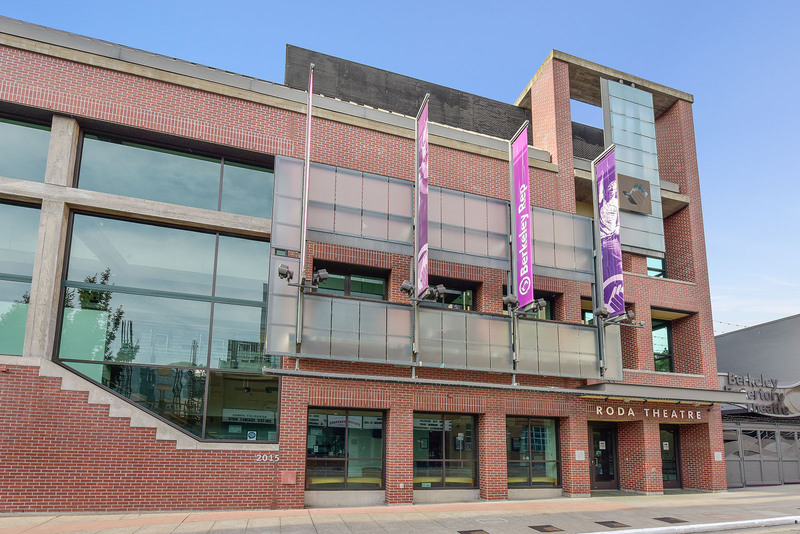 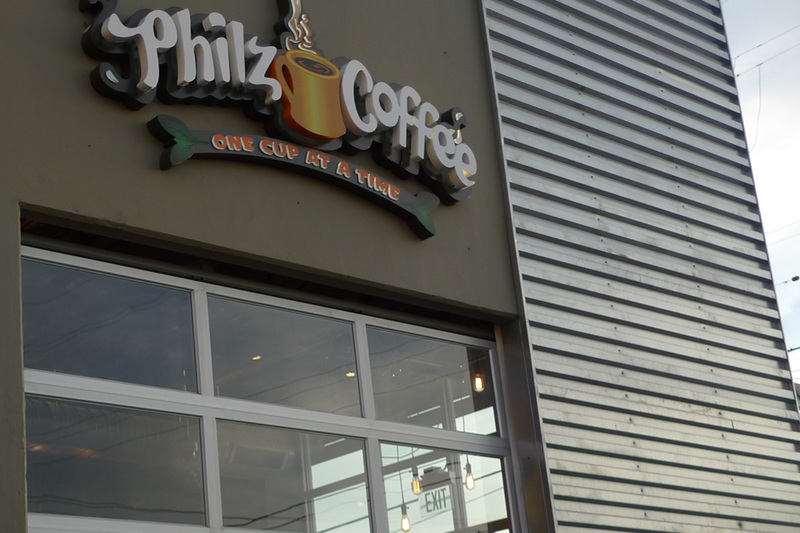 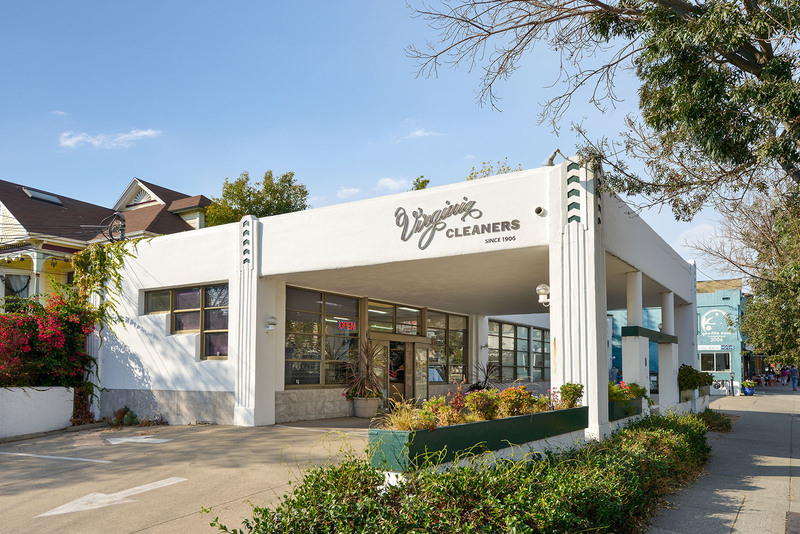 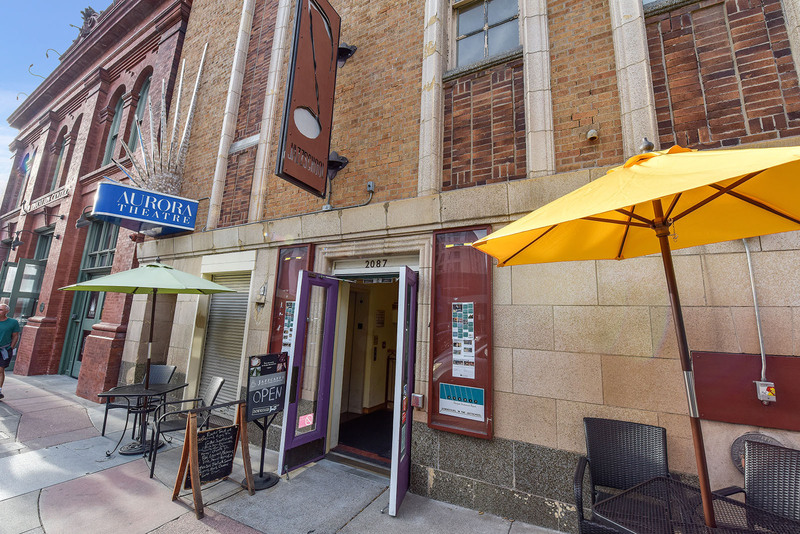 Elmwood, with its thriving business district, remains one of the city’s most sought-after neighborhoods. 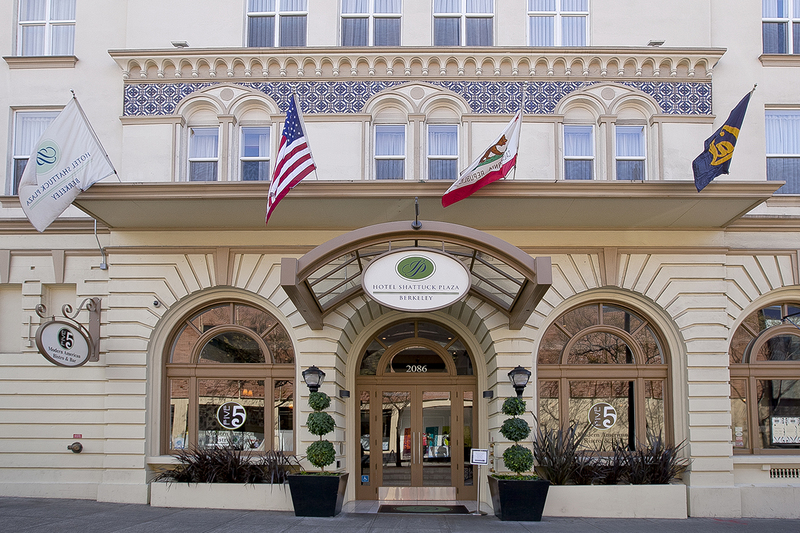 In Claremont, the Claremont Hotel, a gleaming white Victorian-era landmark, has provided generations of Bay Area residents with a luxurious getaway. 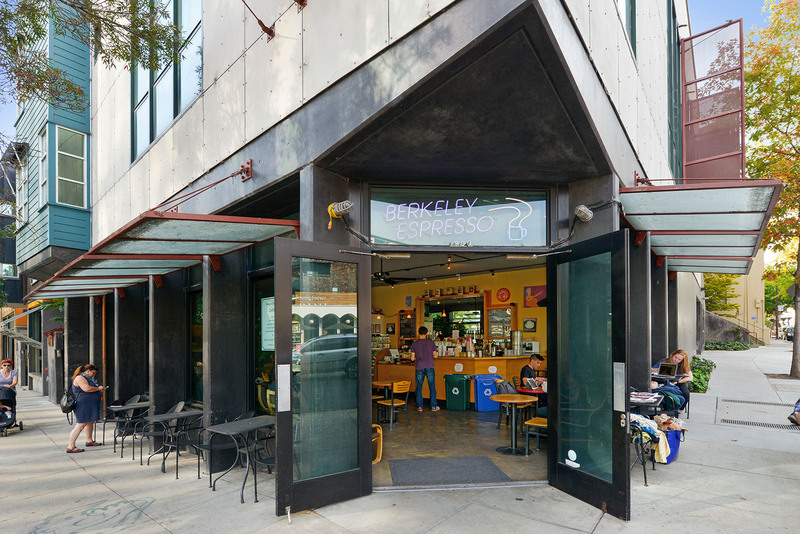 Berkeley has long been at the forefront of culinary innovation. 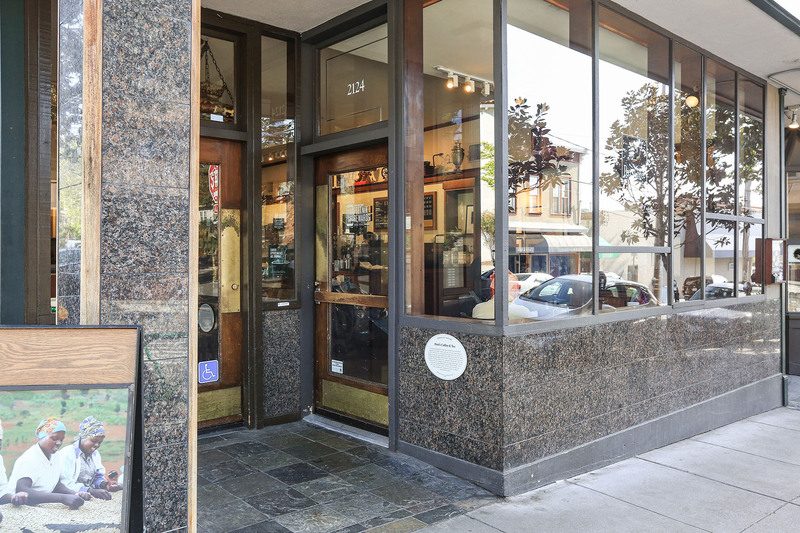 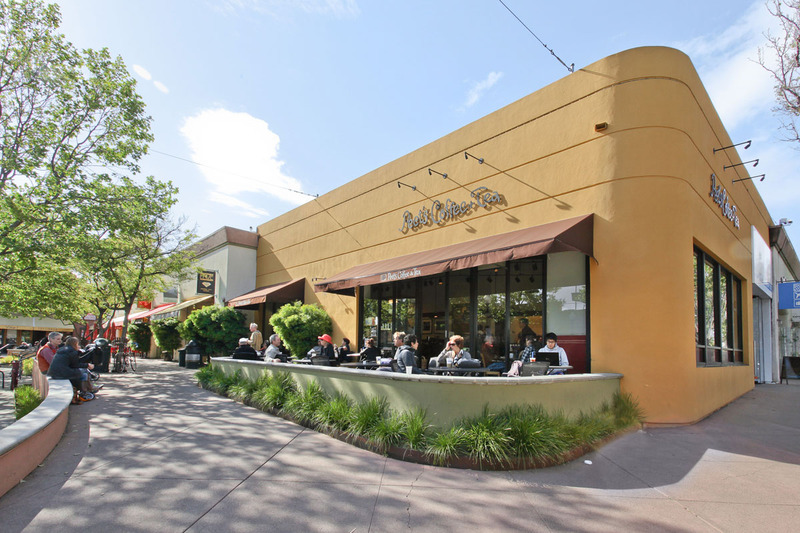 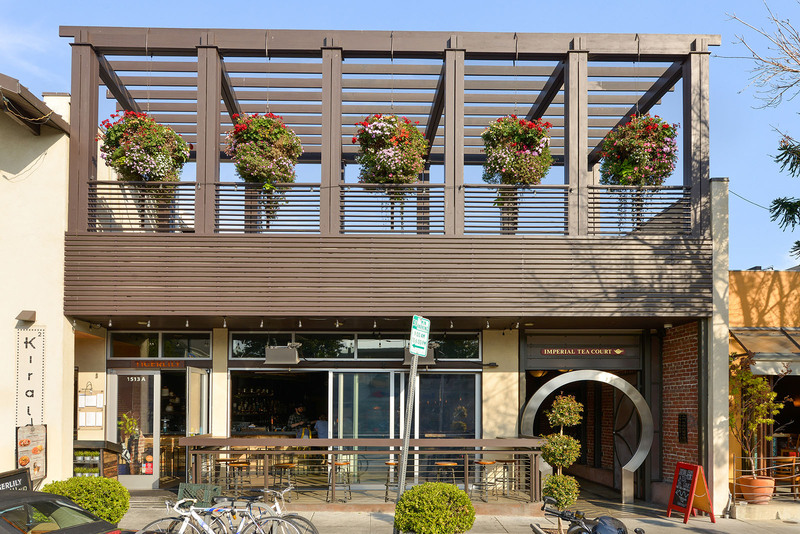 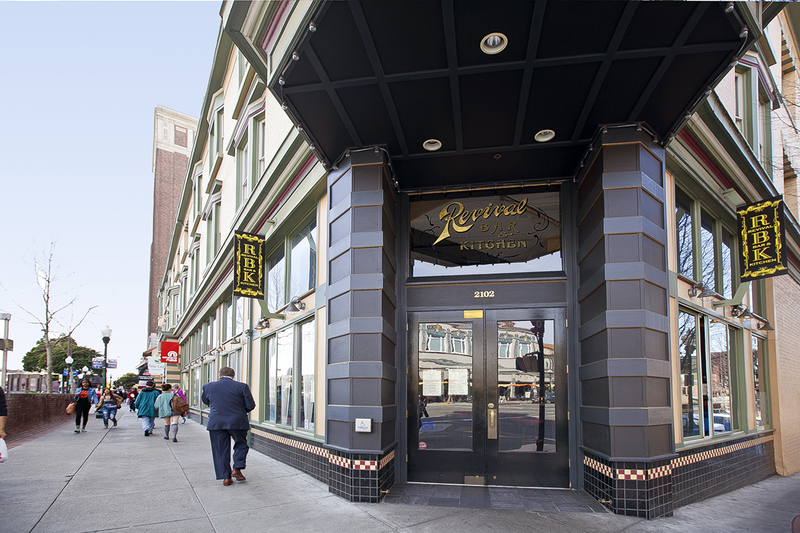 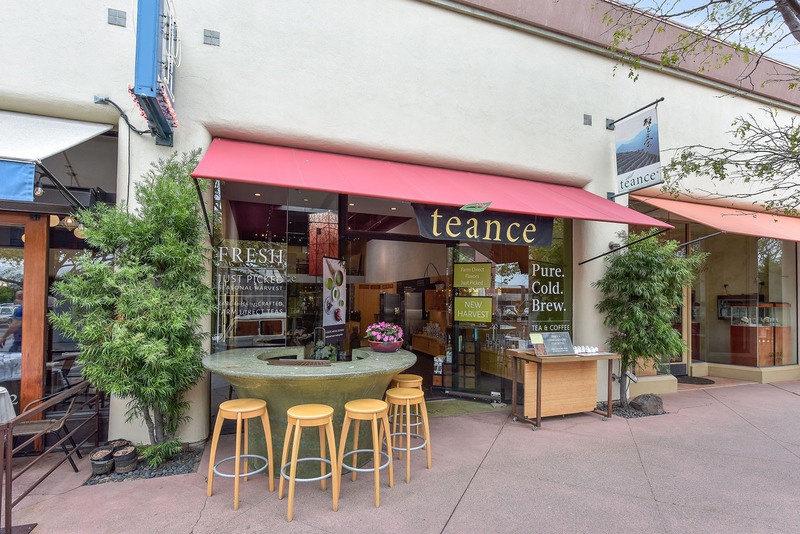 Locals flock to the original Peet’s Coffee & Tea location. 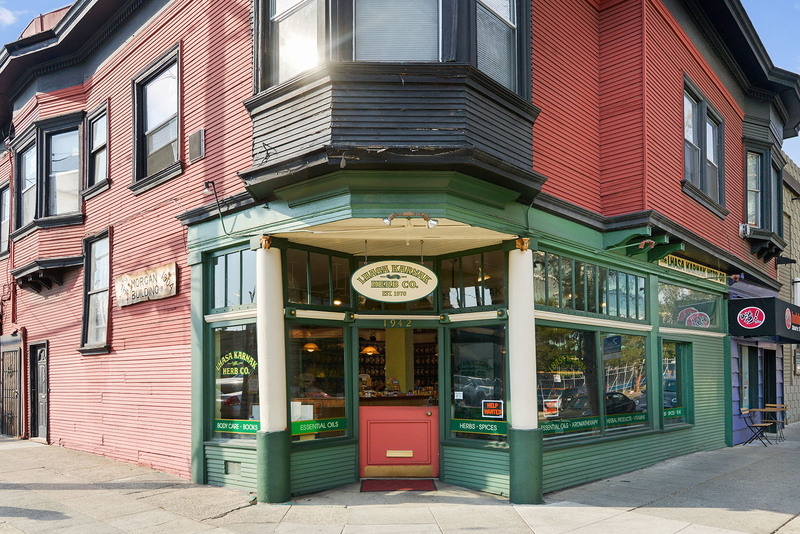 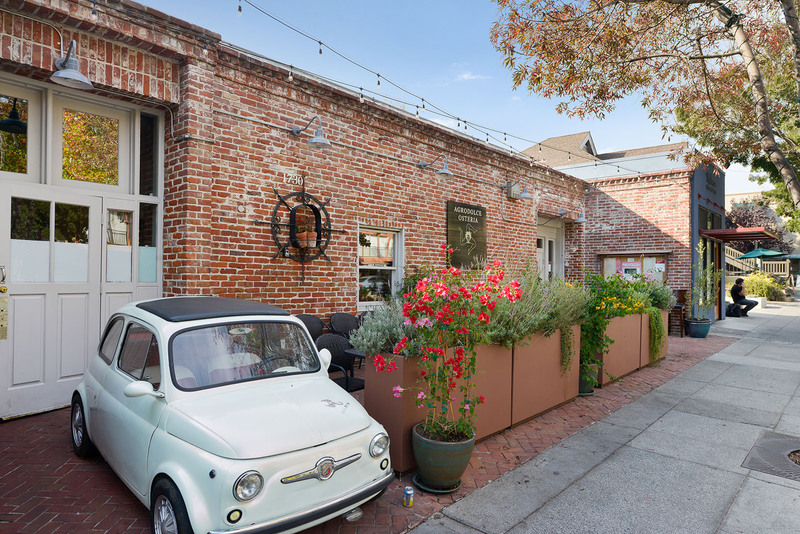 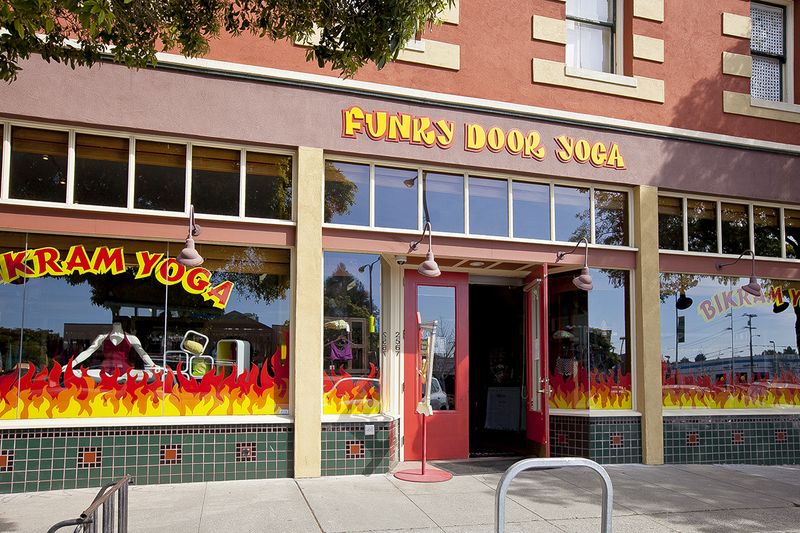 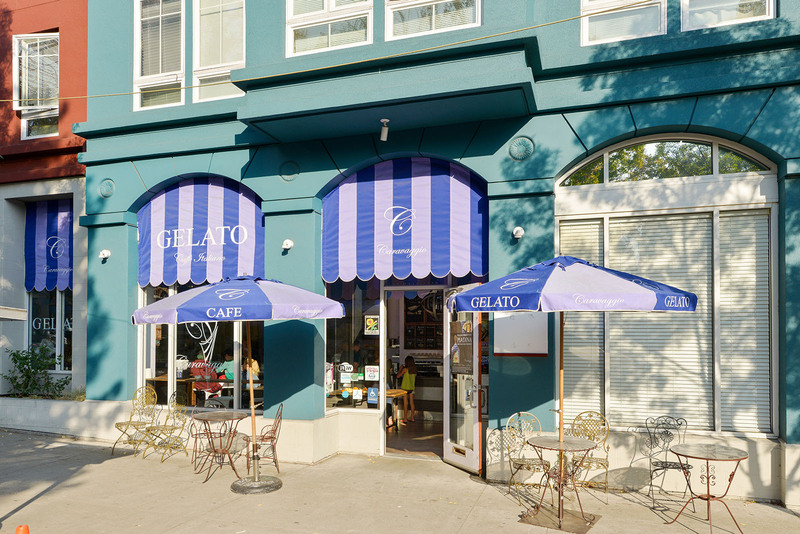 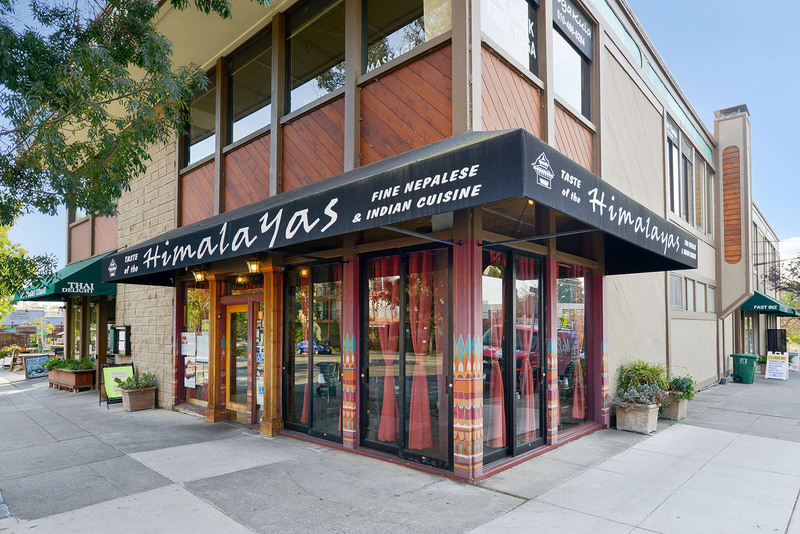 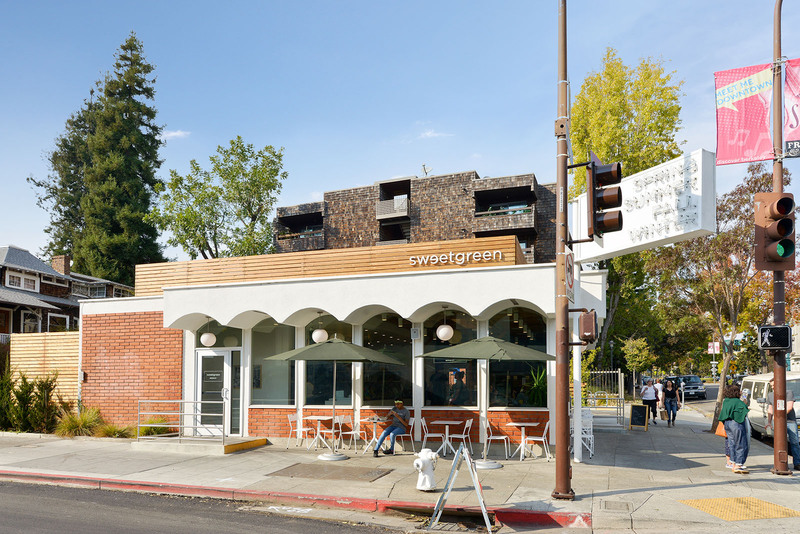 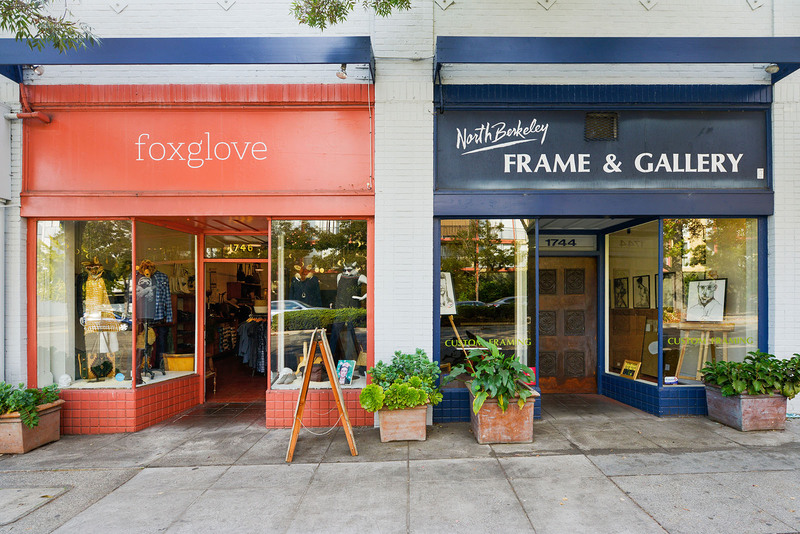 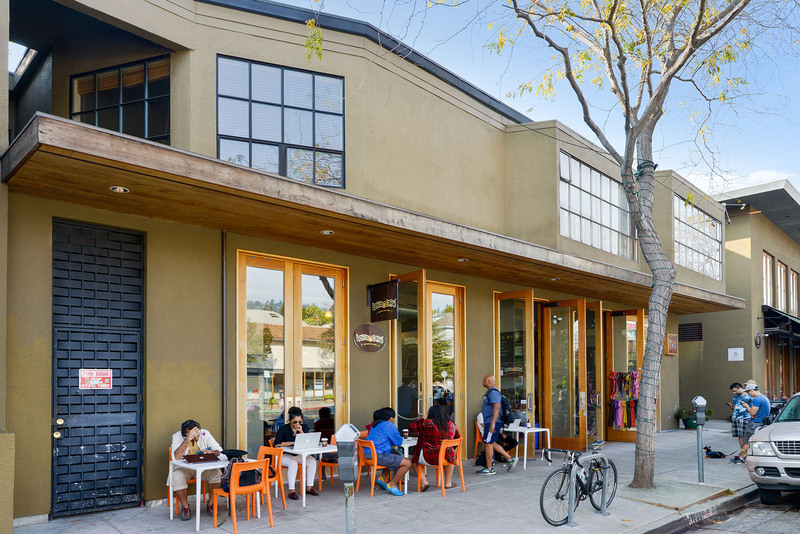 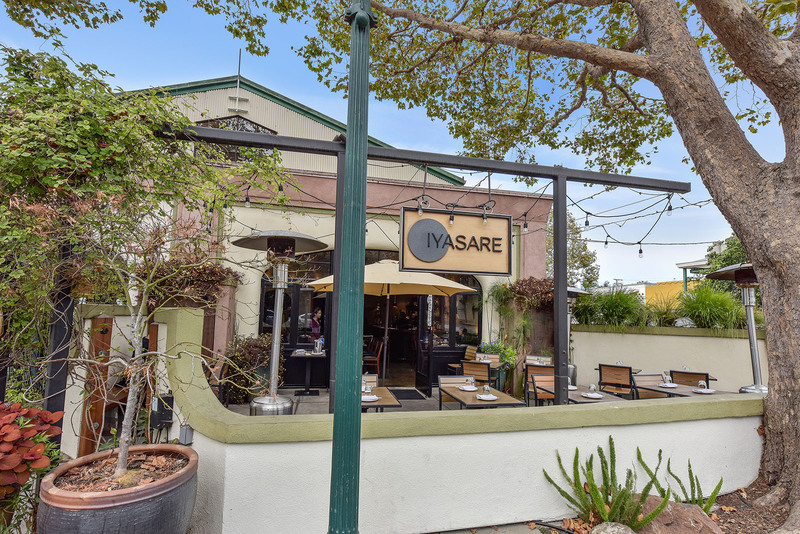 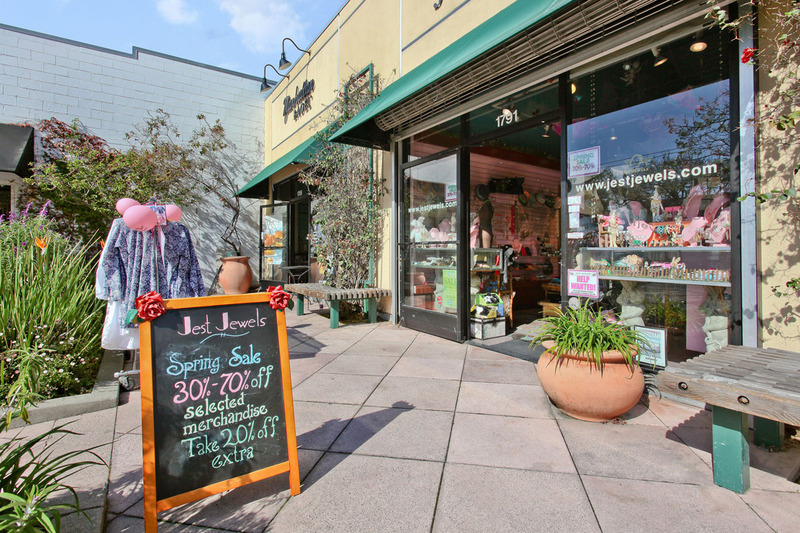 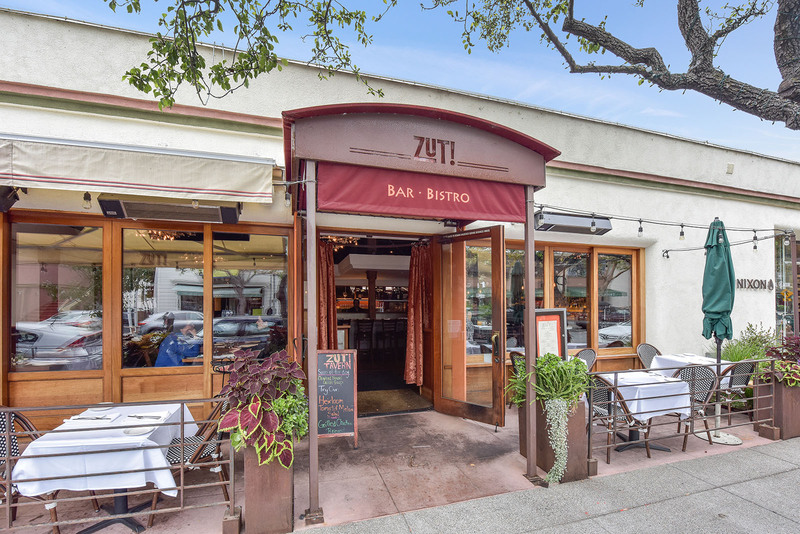 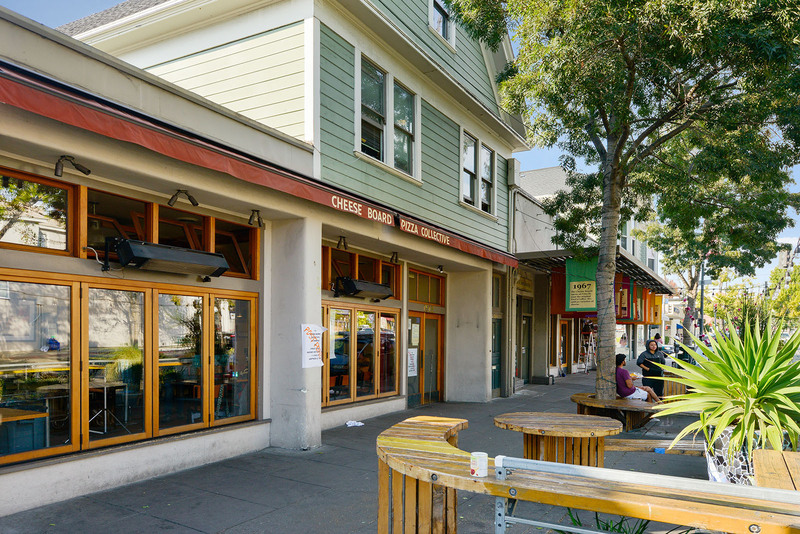 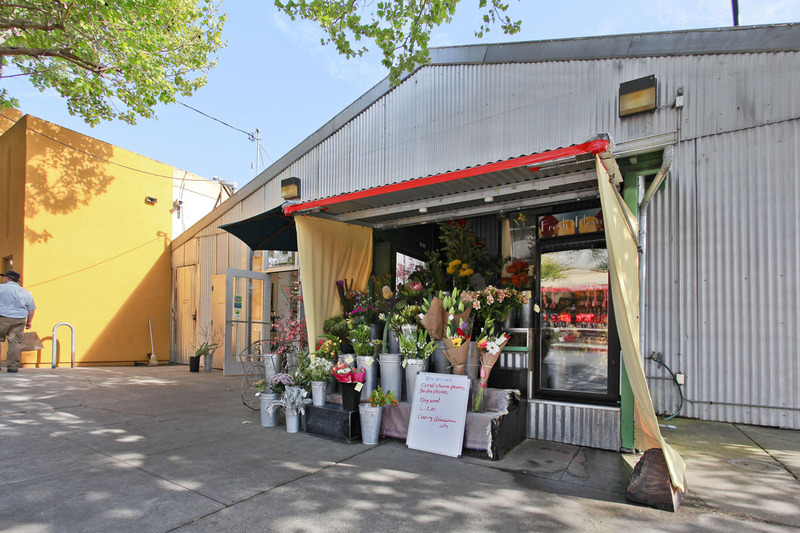 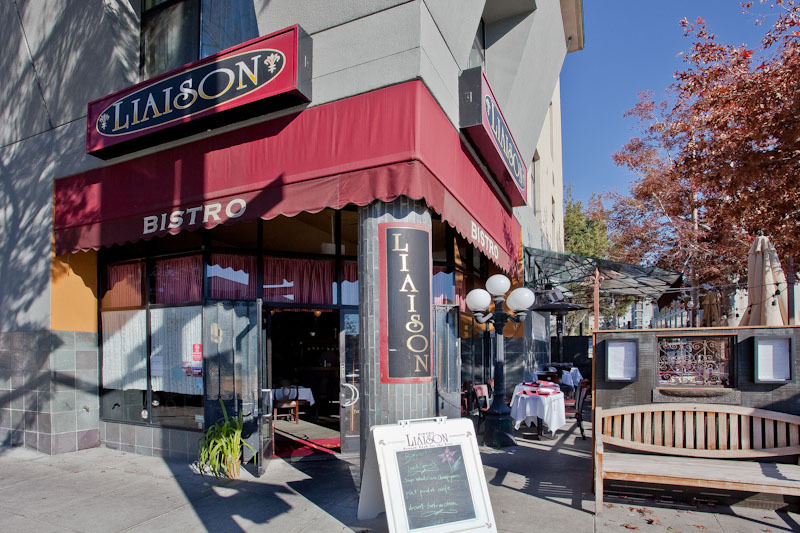 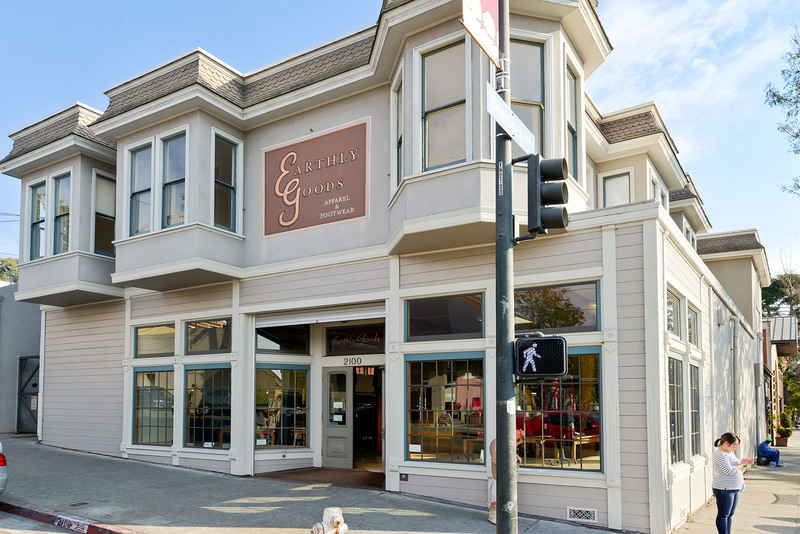 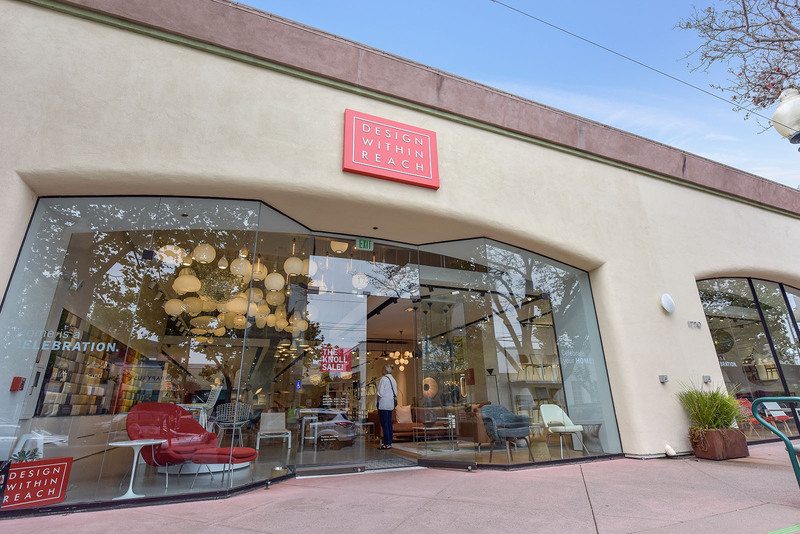 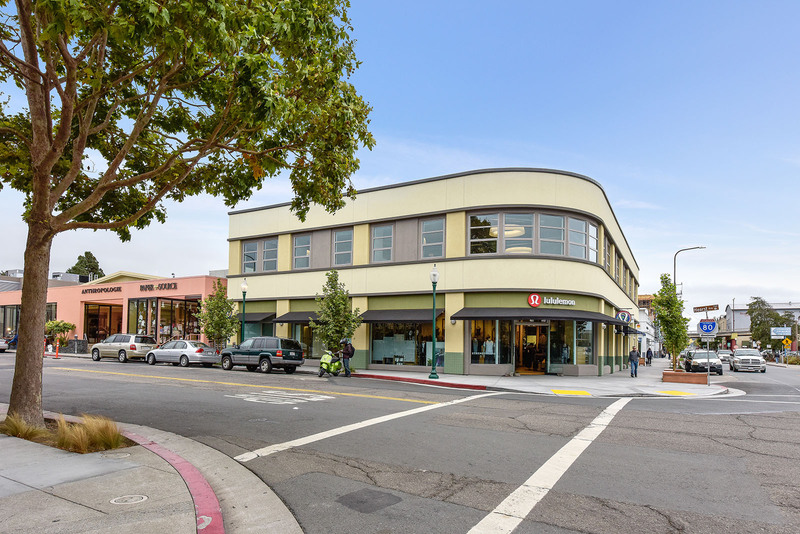 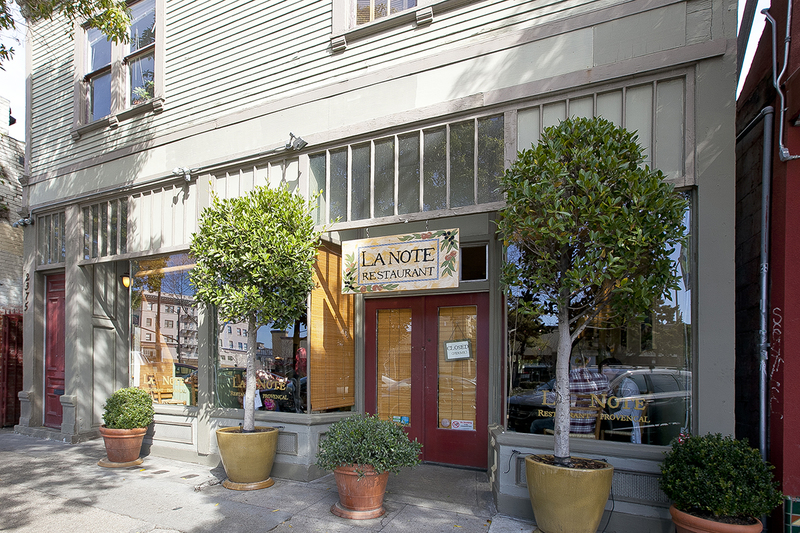 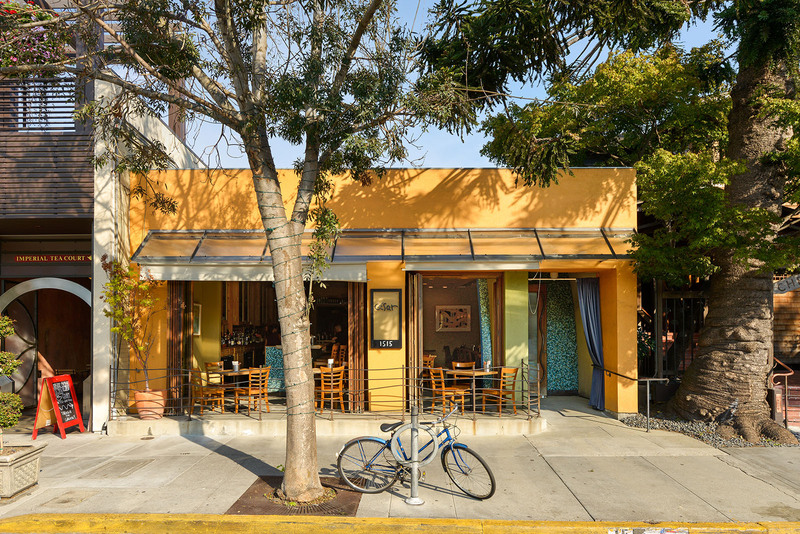 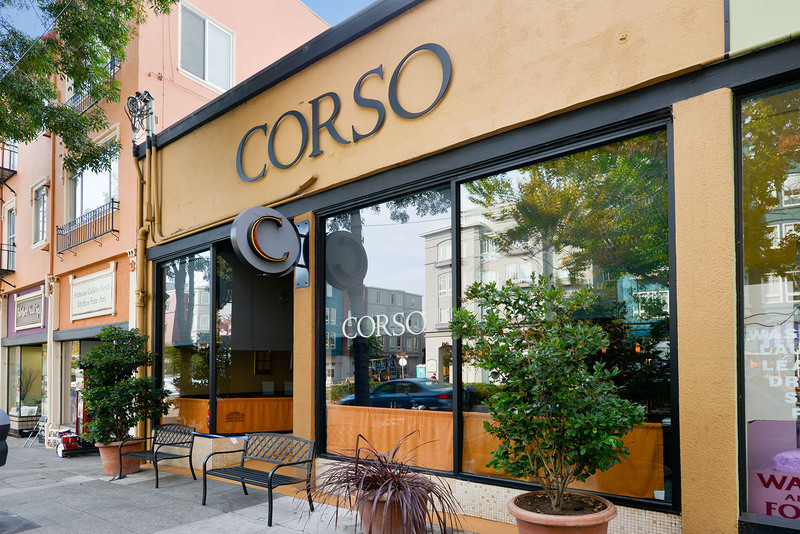 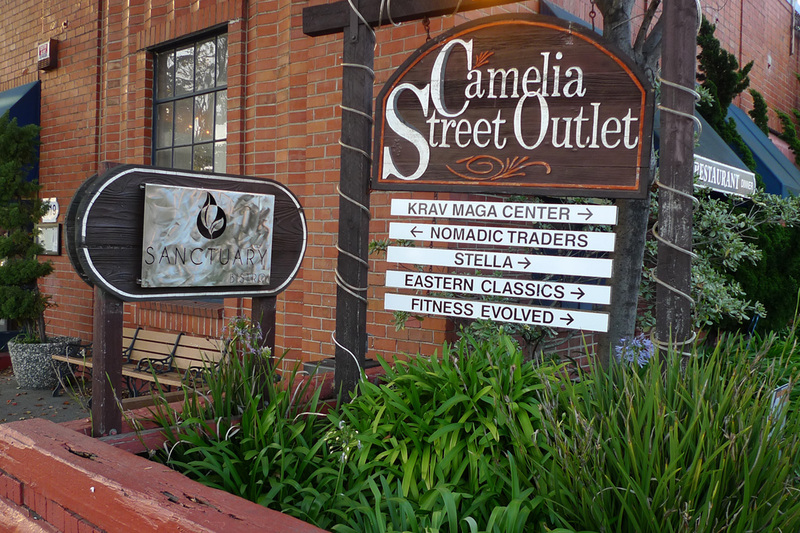 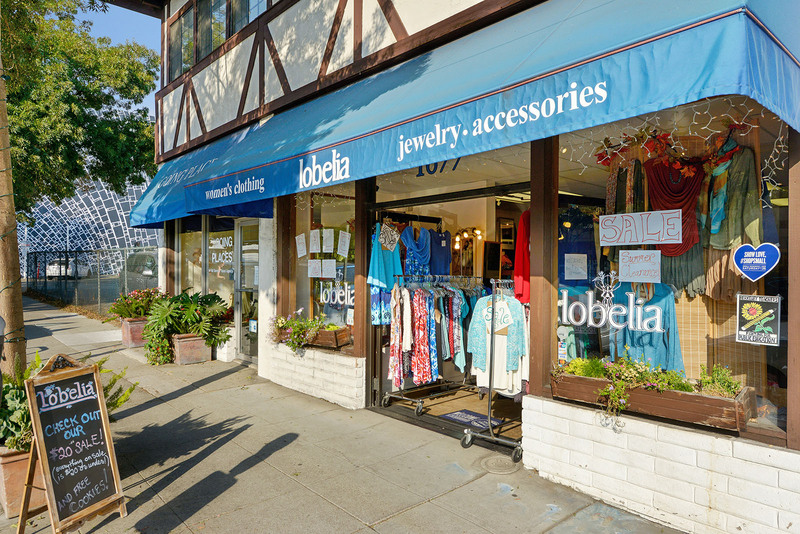 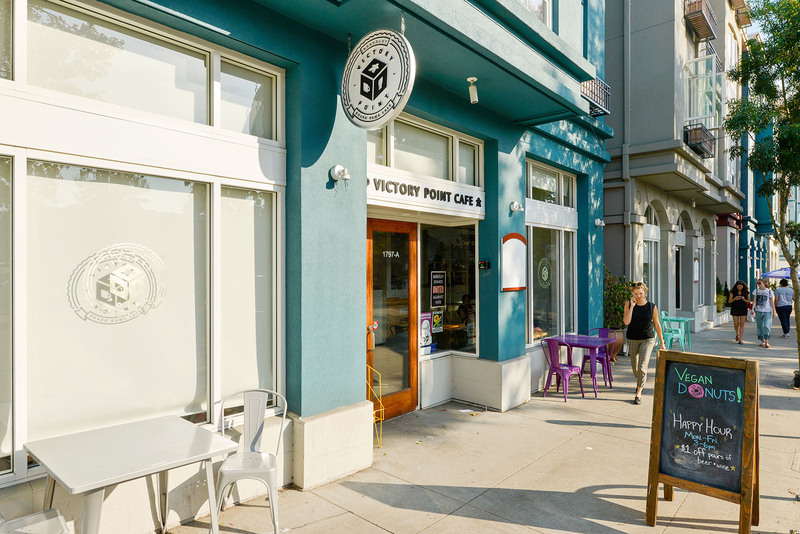 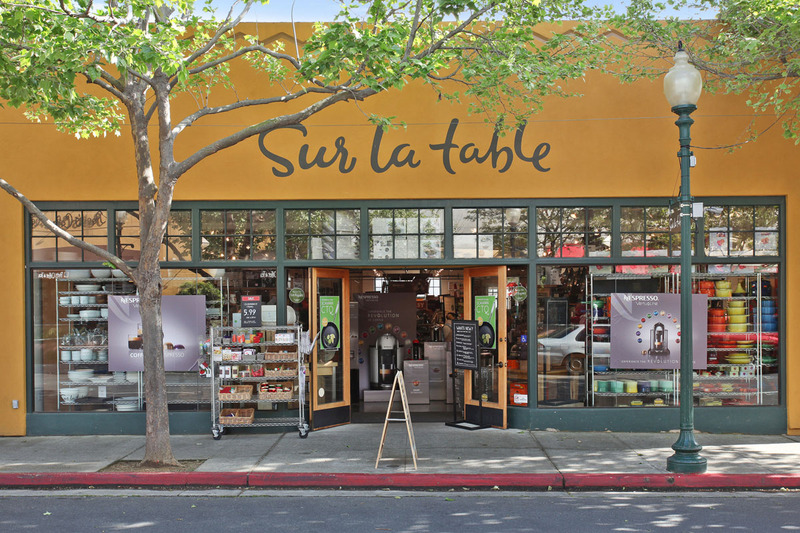 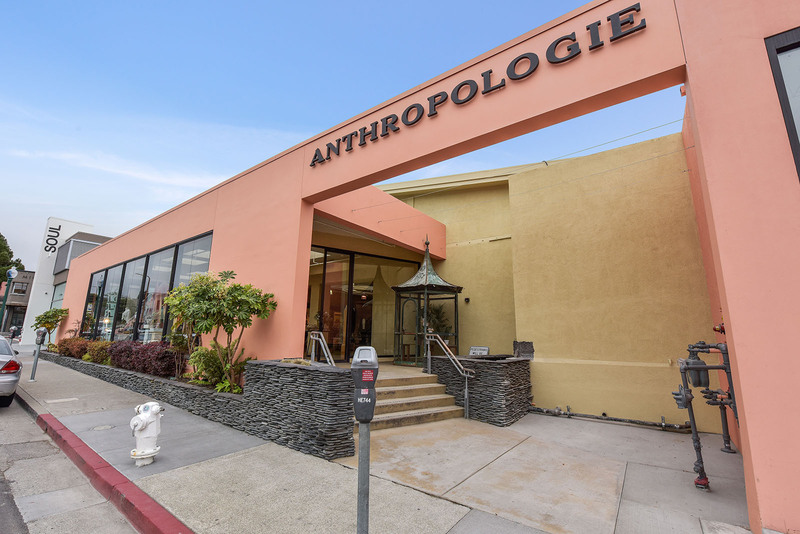 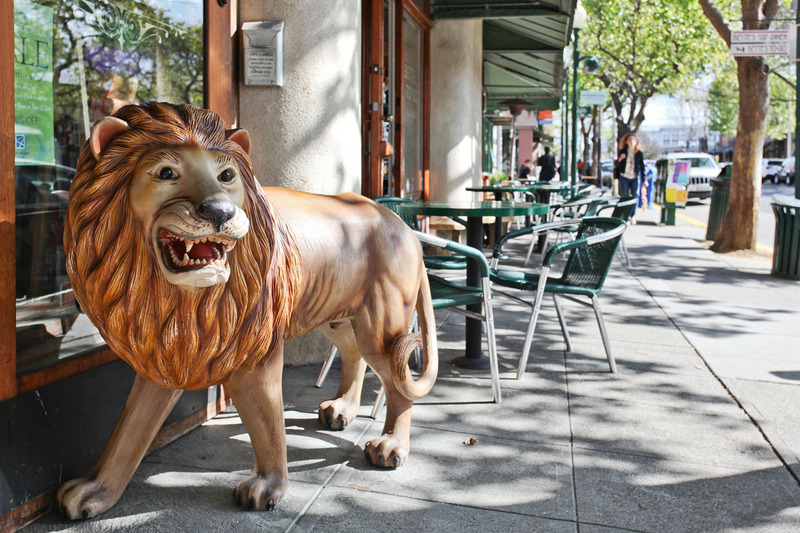 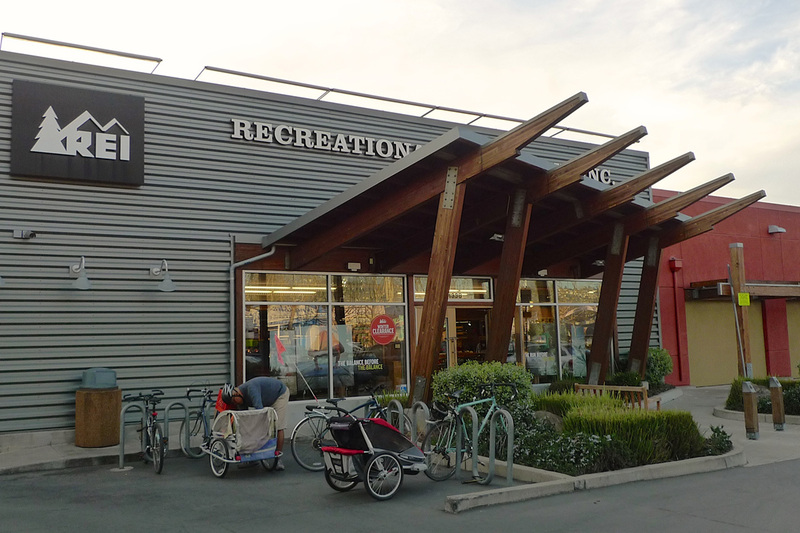 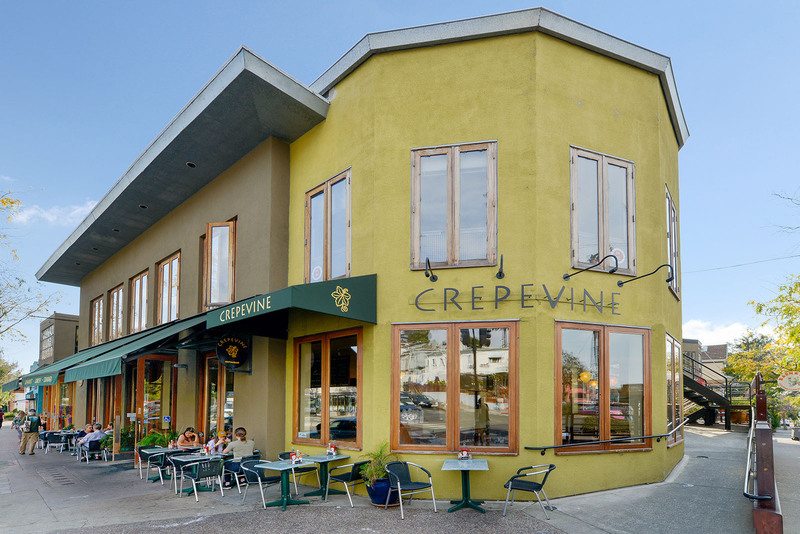 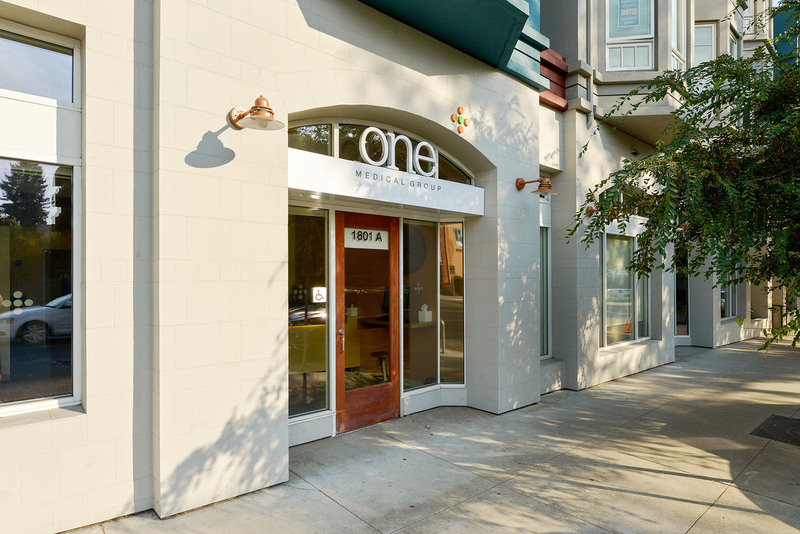 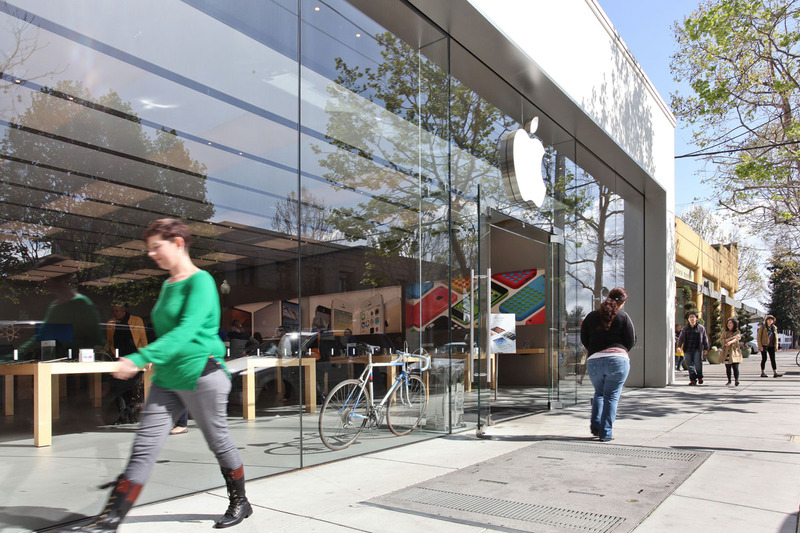 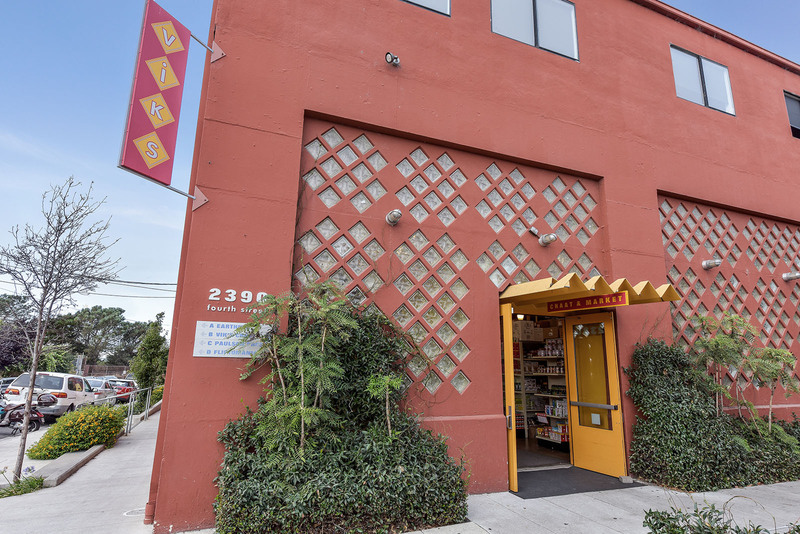 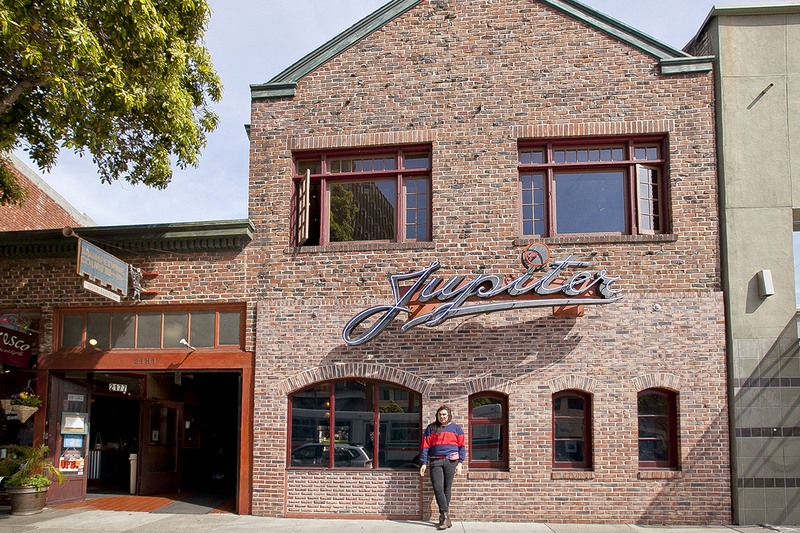 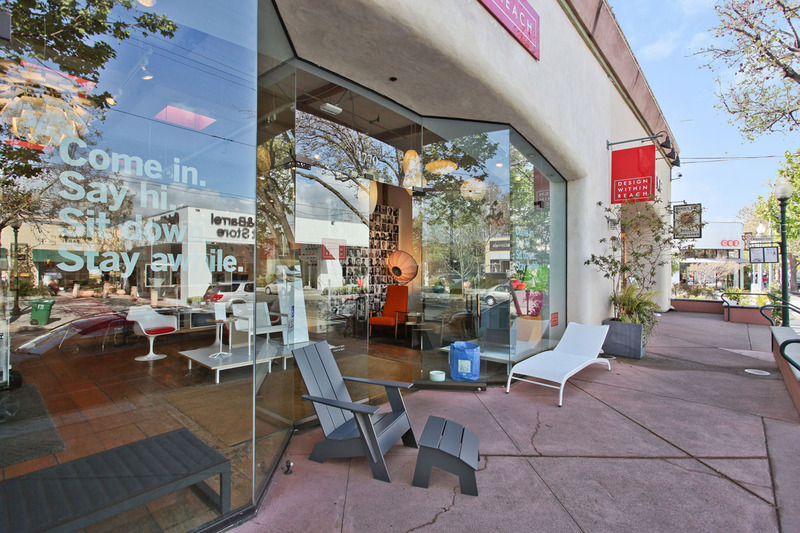 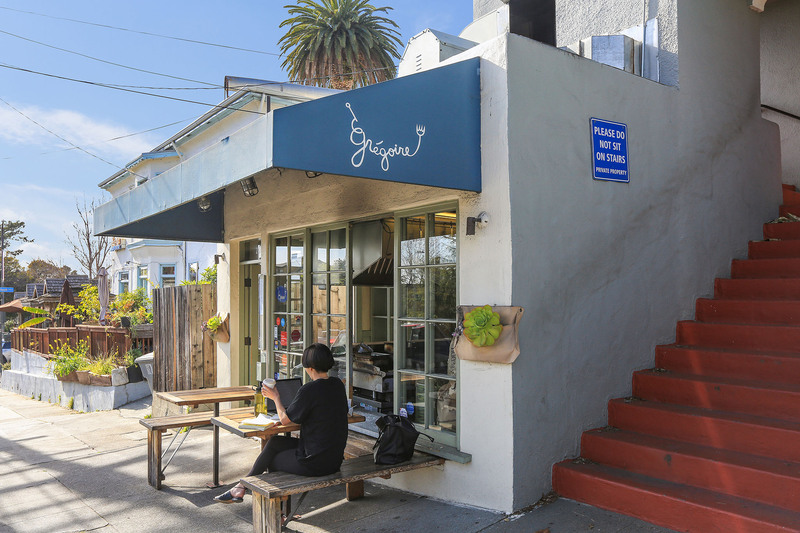 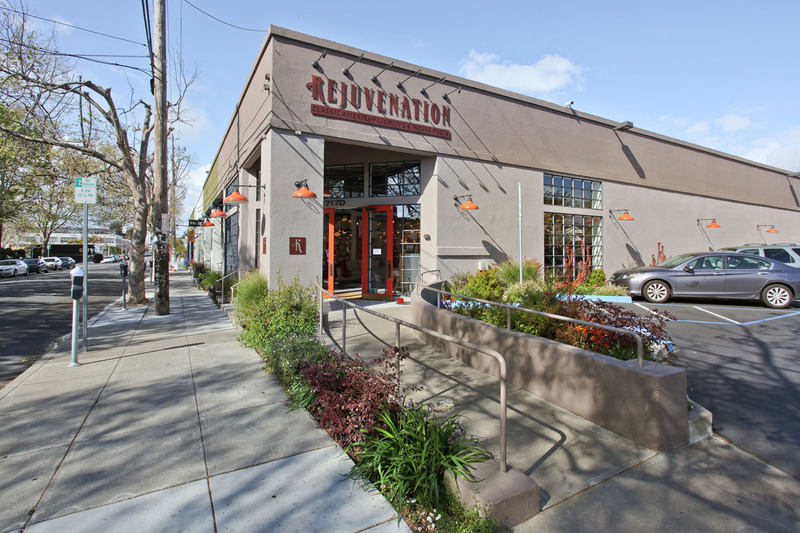 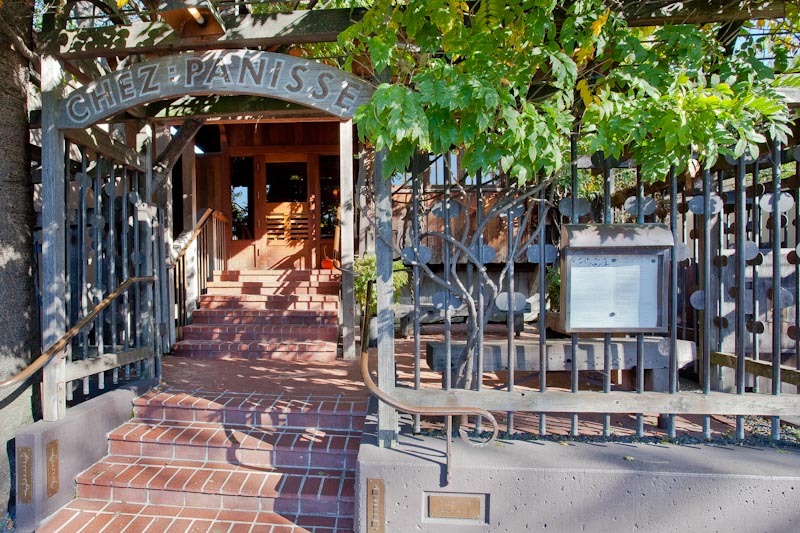 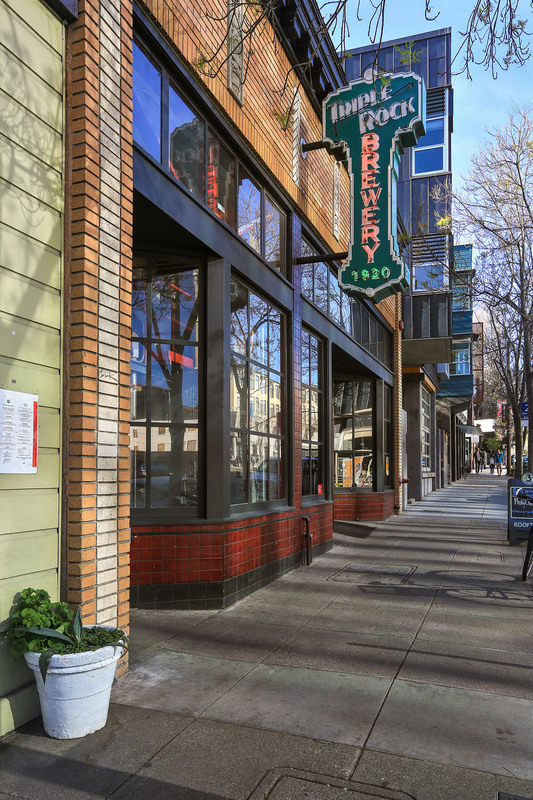 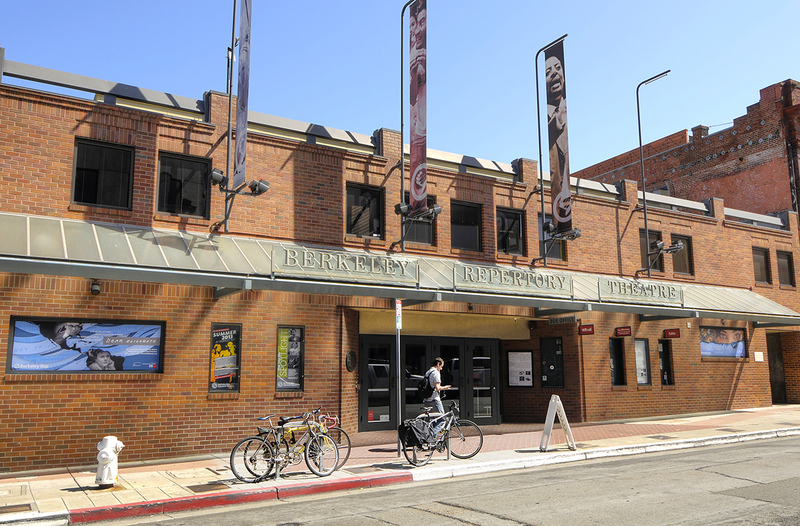 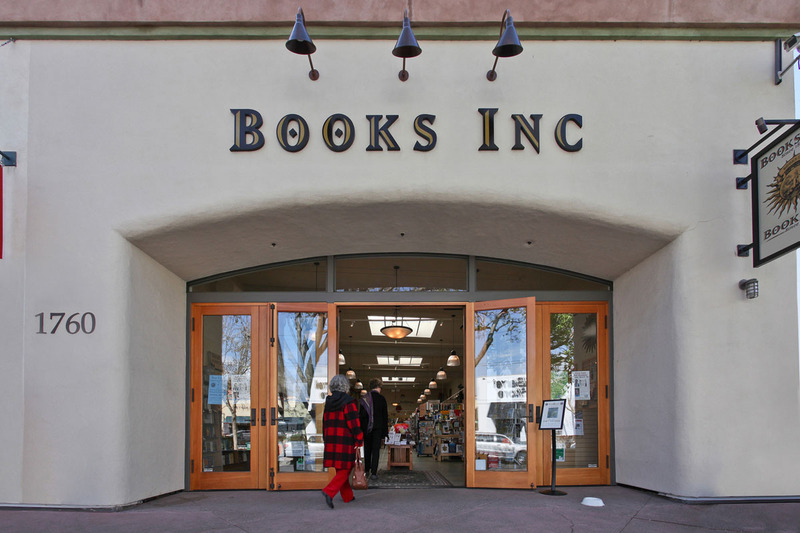 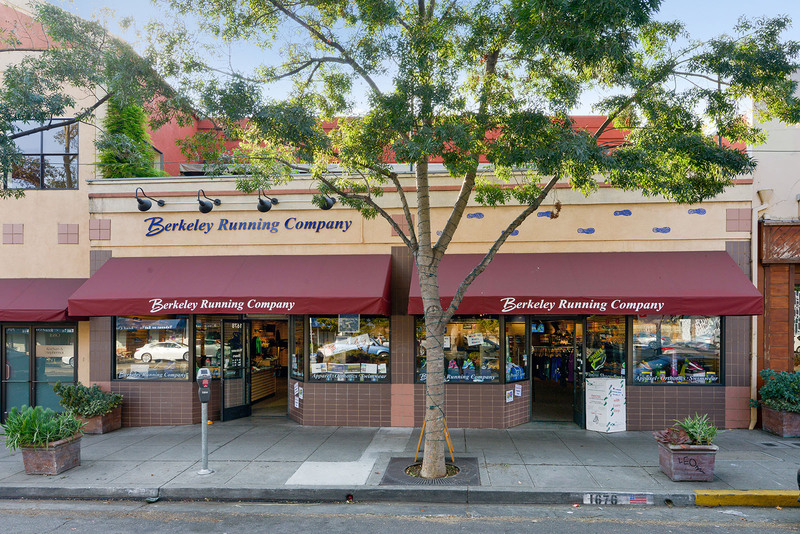 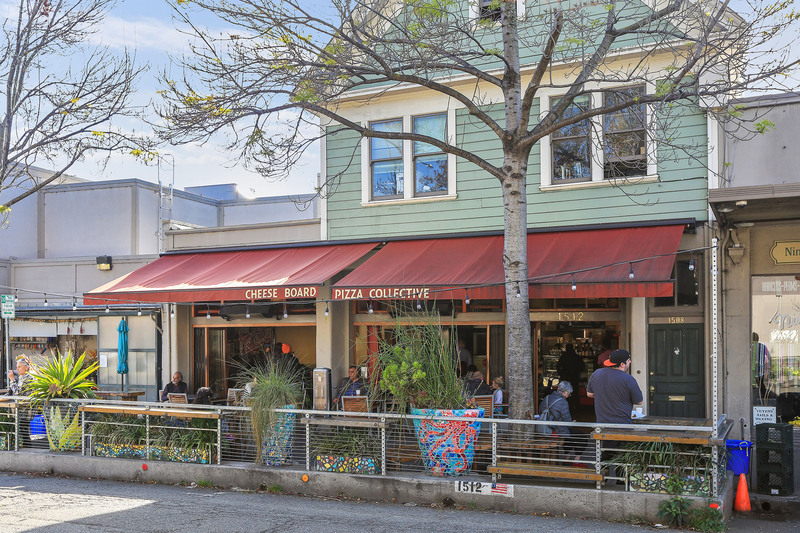 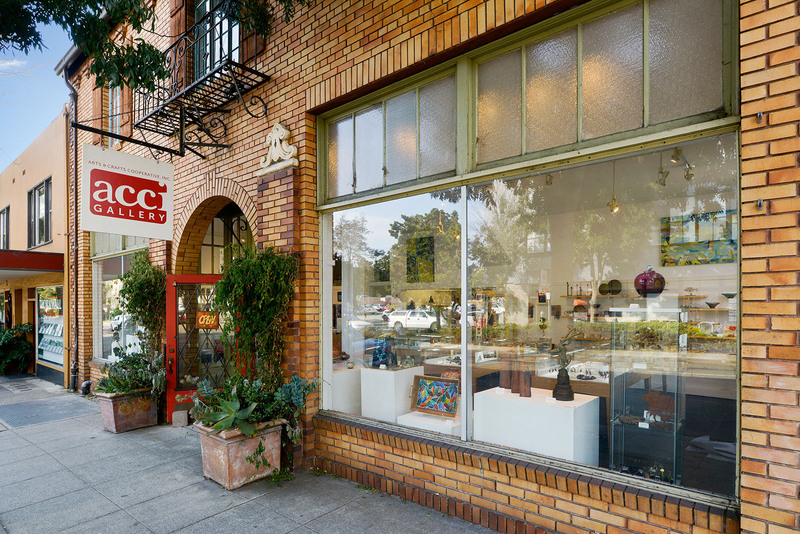 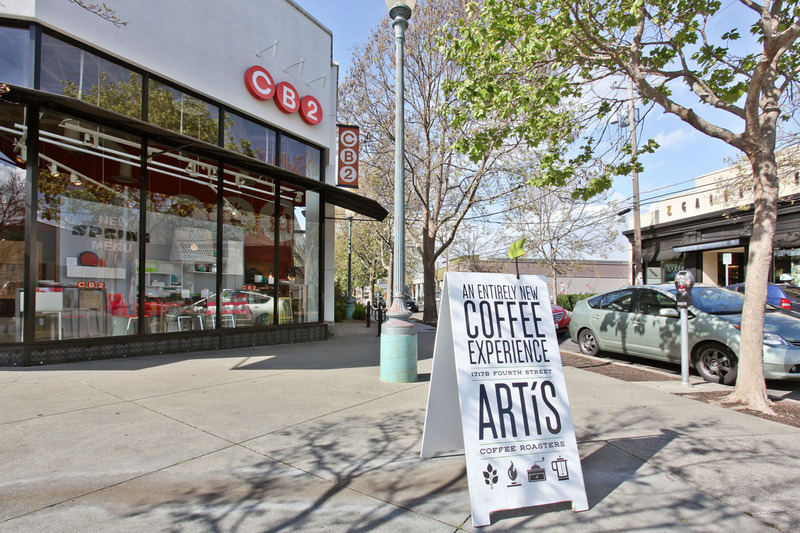 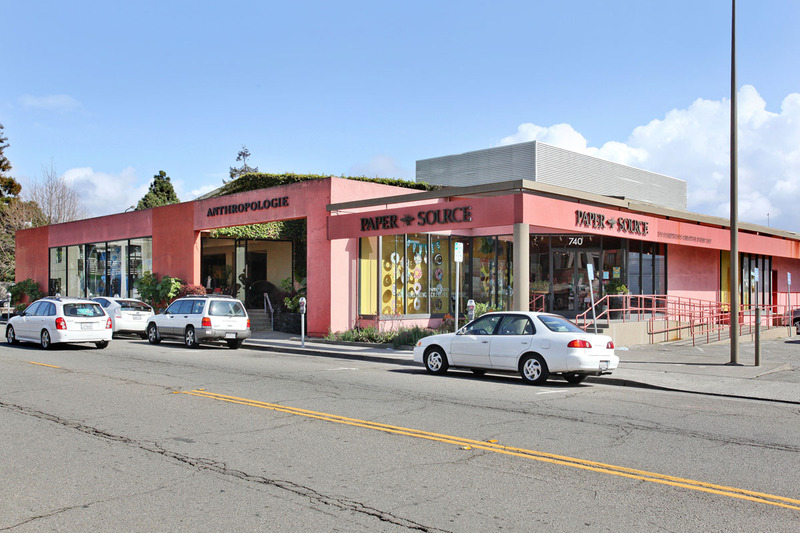 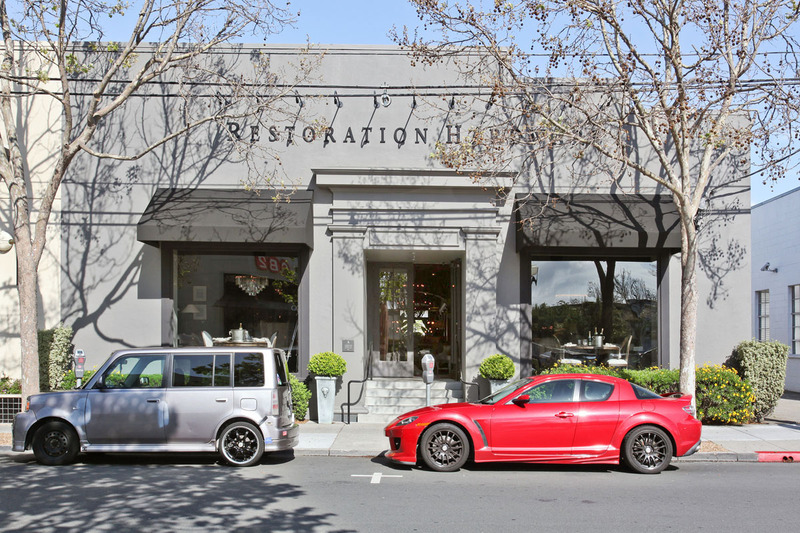 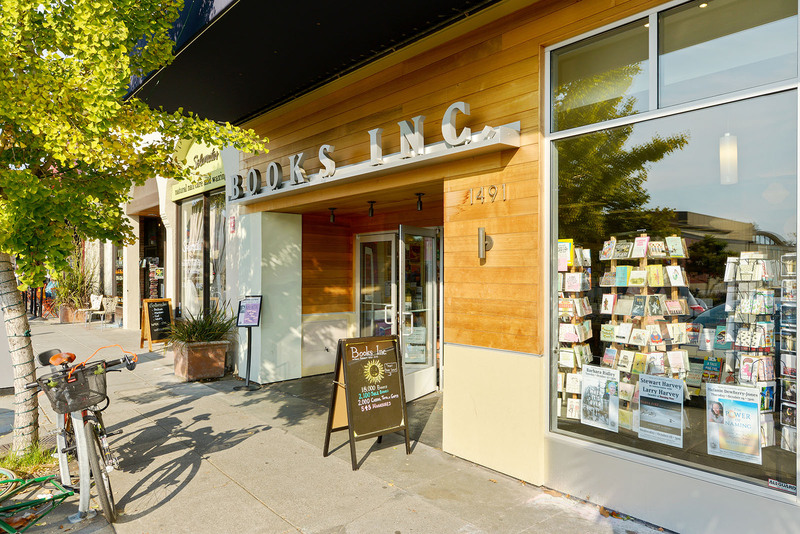 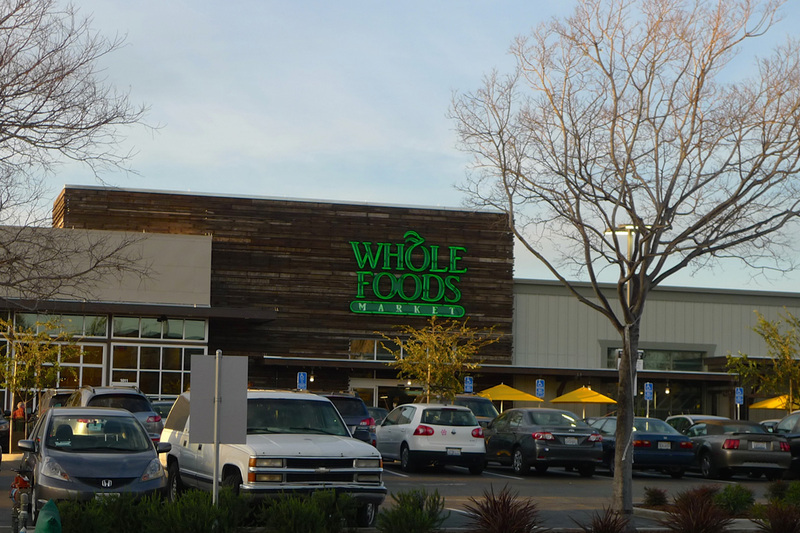 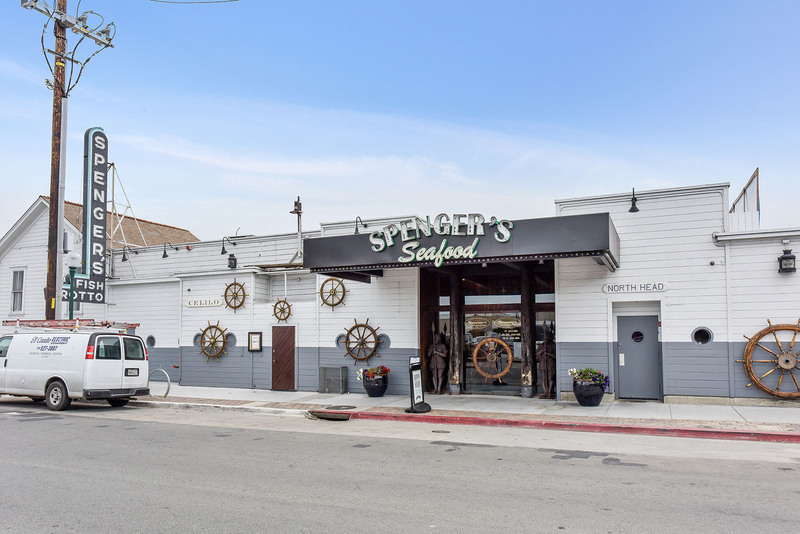 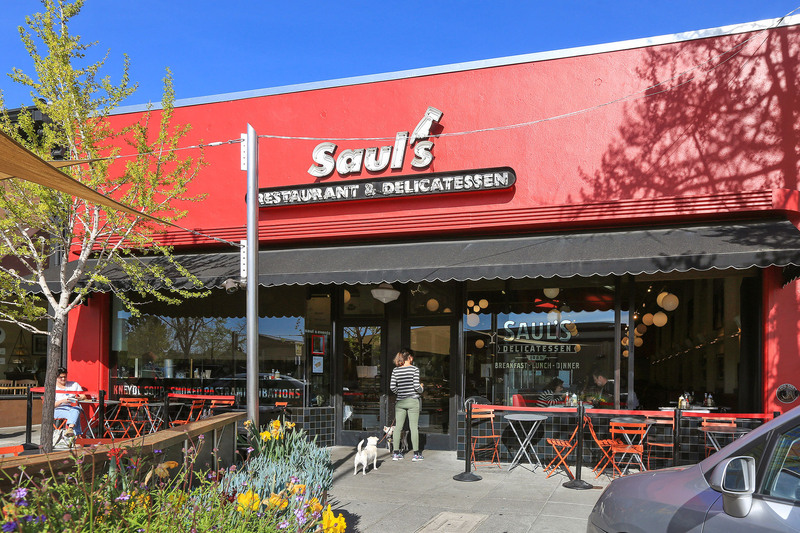 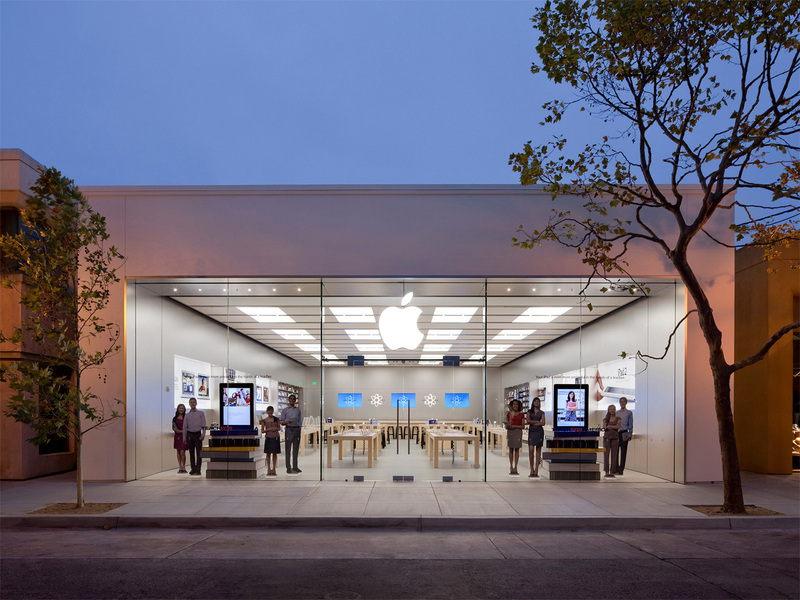 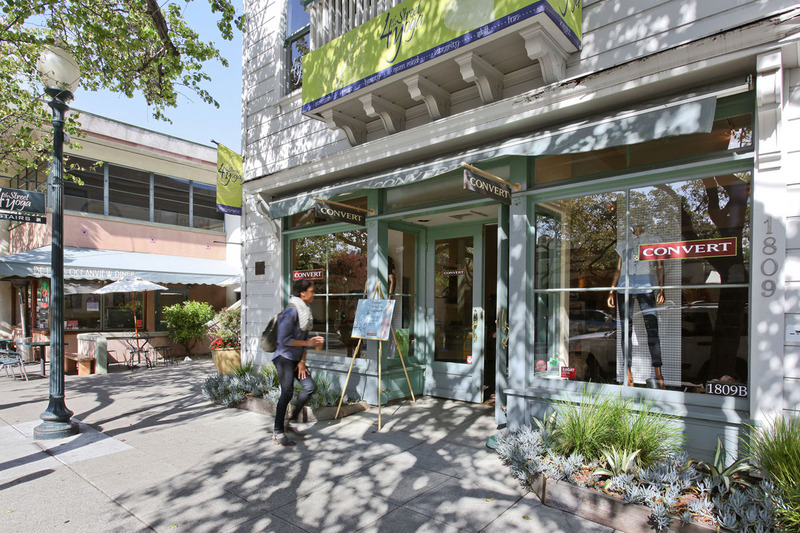 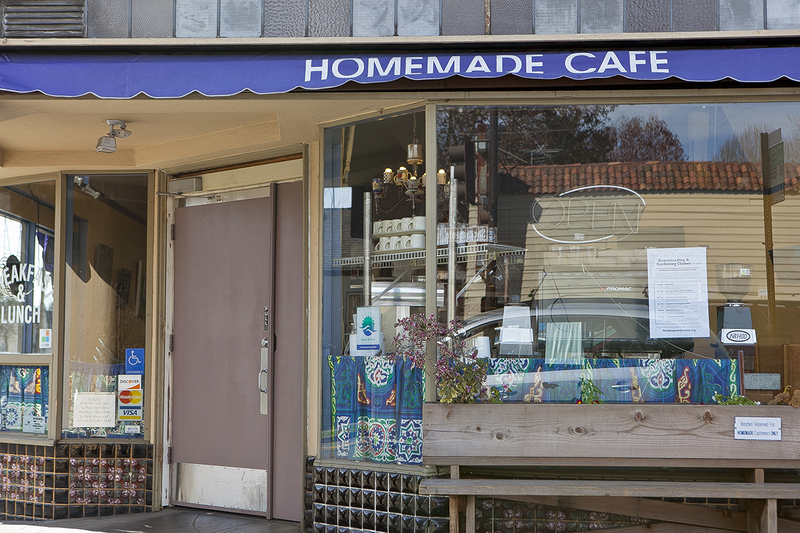 For residents who like to savor their meals at home, small retail districts sprinkled throughout Berkeley allow them to shop like Europeans, going from store to store to purchase everything they need. 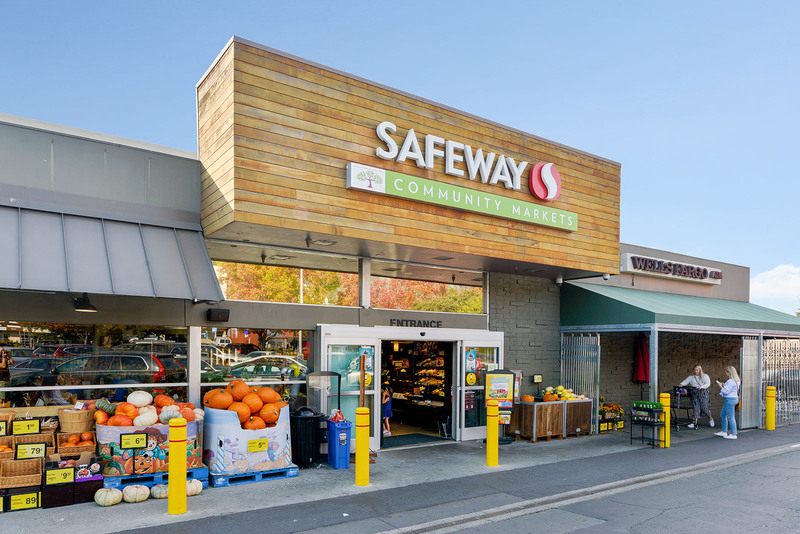 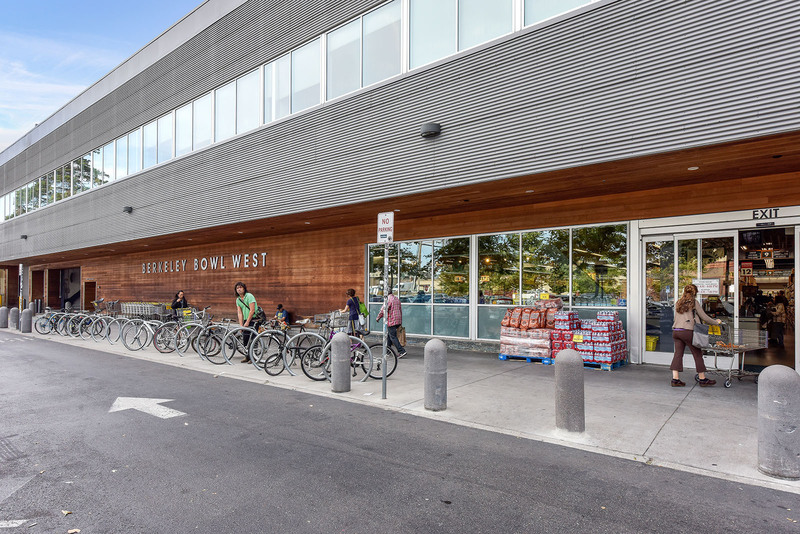 Those in a hurry can always visit major grocery stores nearby. 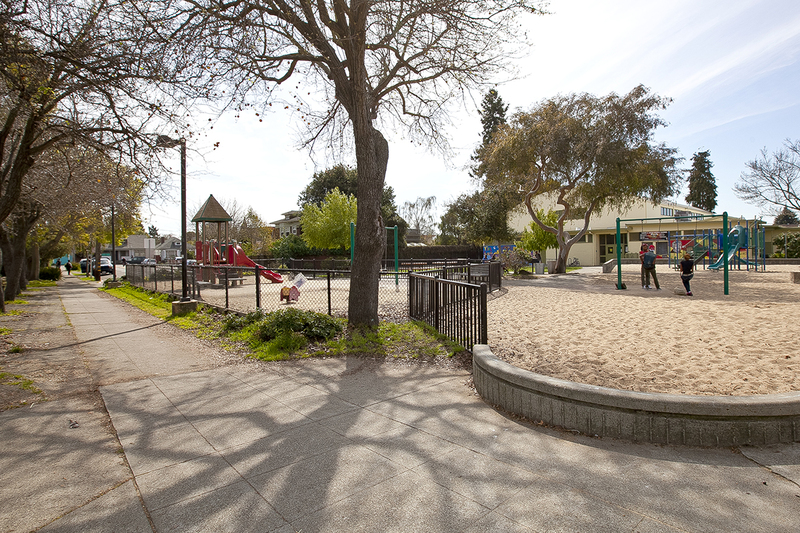 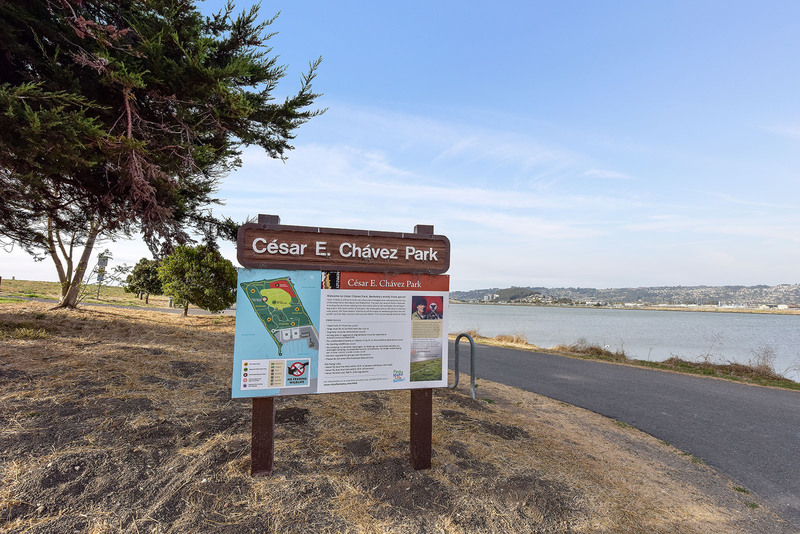 Here you be close to Virginia Gardens and Ohlone Greenway biking trail, and West St biking trail. 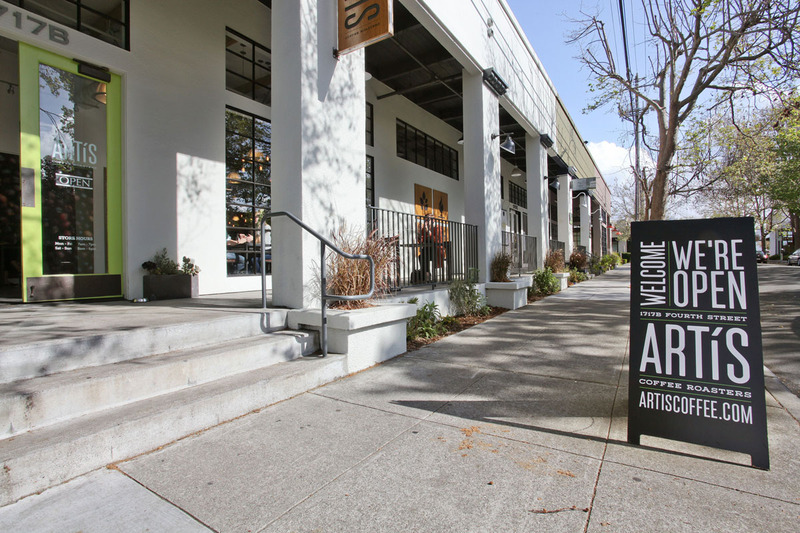 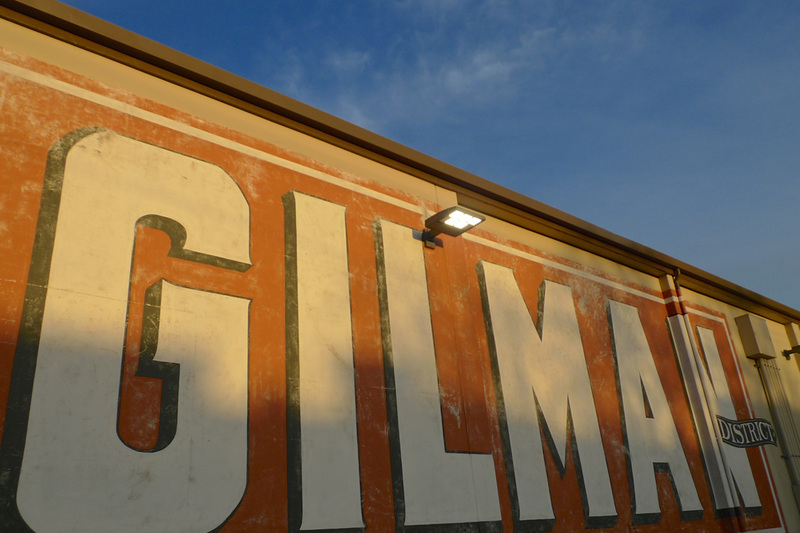 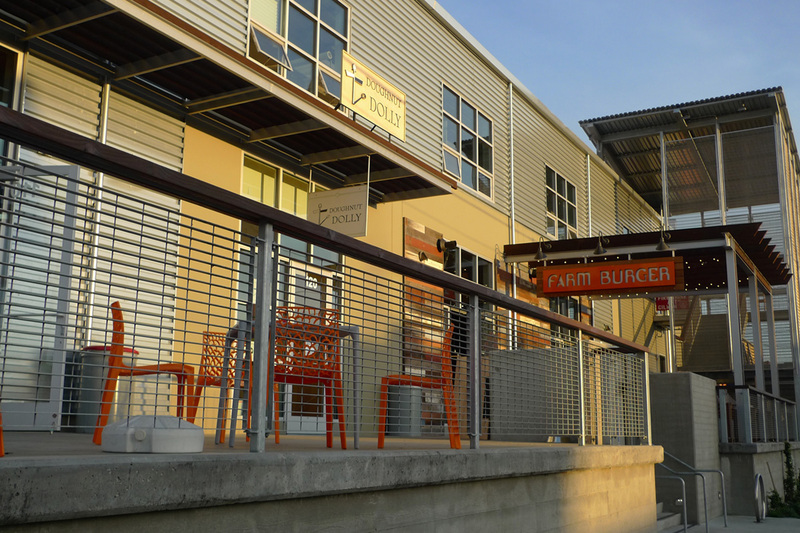 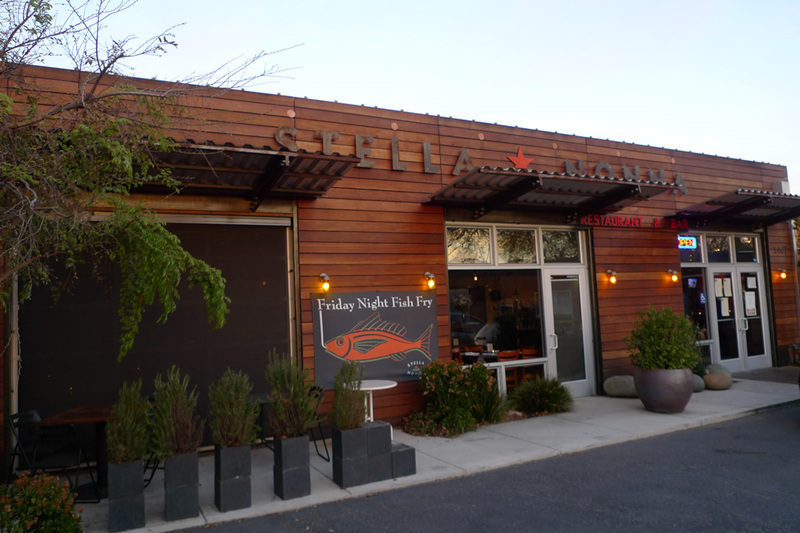 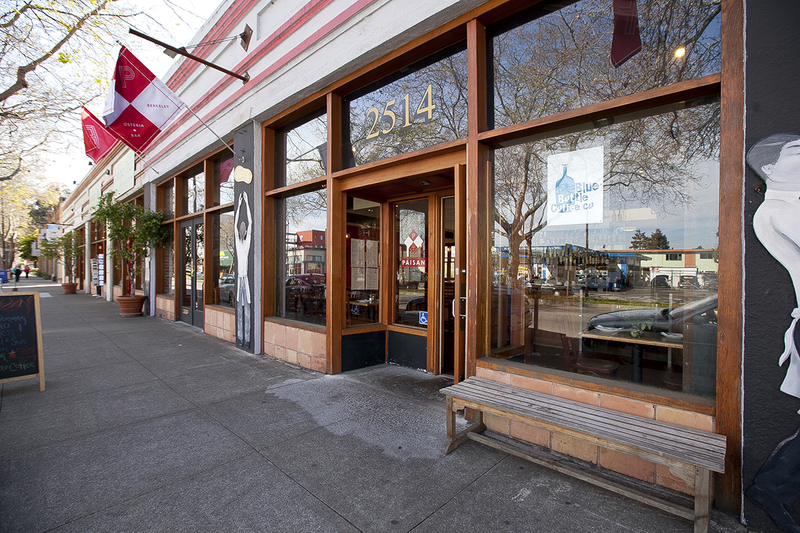 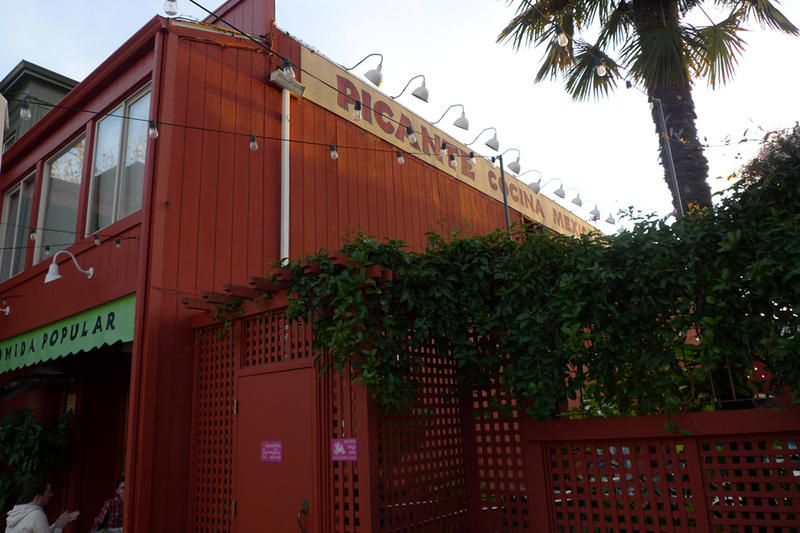 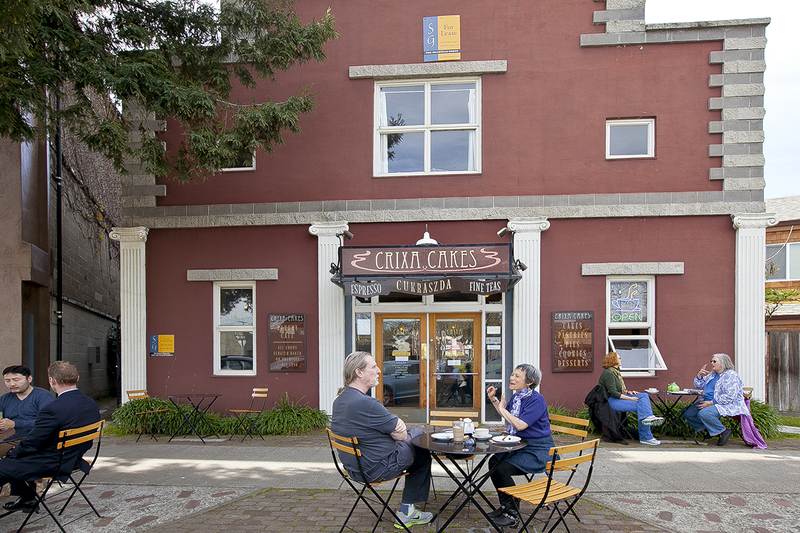 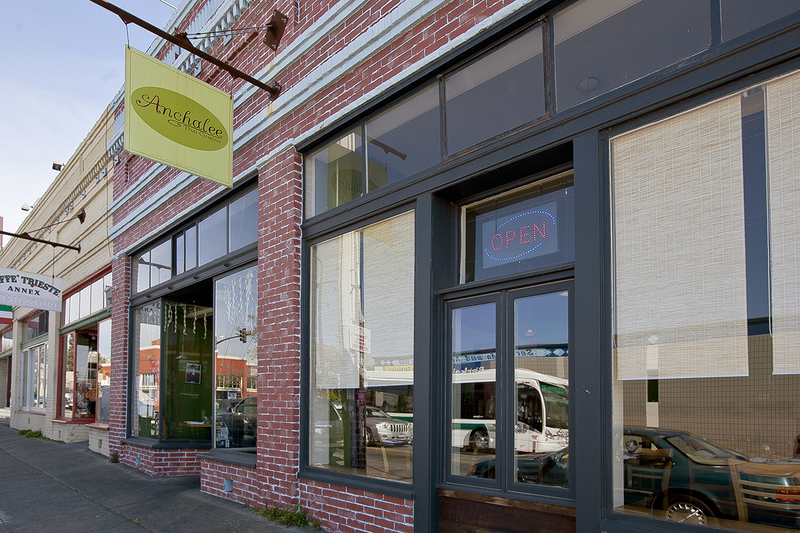 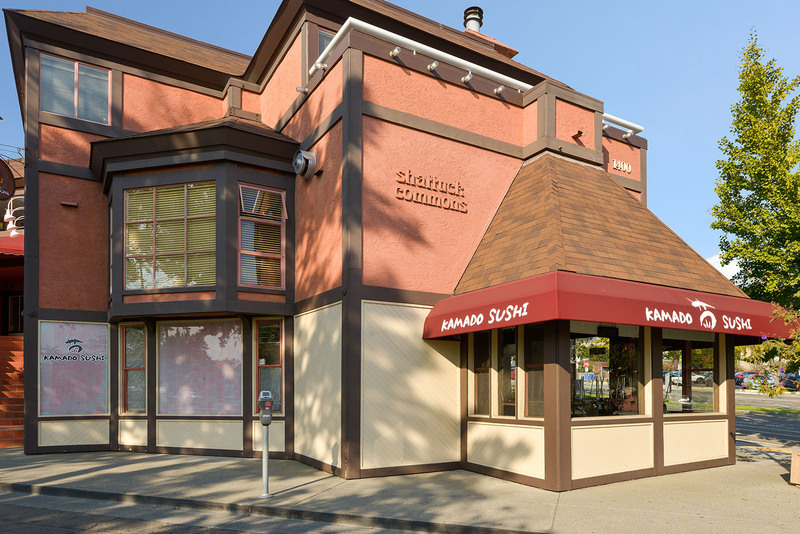 Enjoy food from Acme Bakery, Bartevil Café, Whole Foods in the Gilman District or Monterey Market. 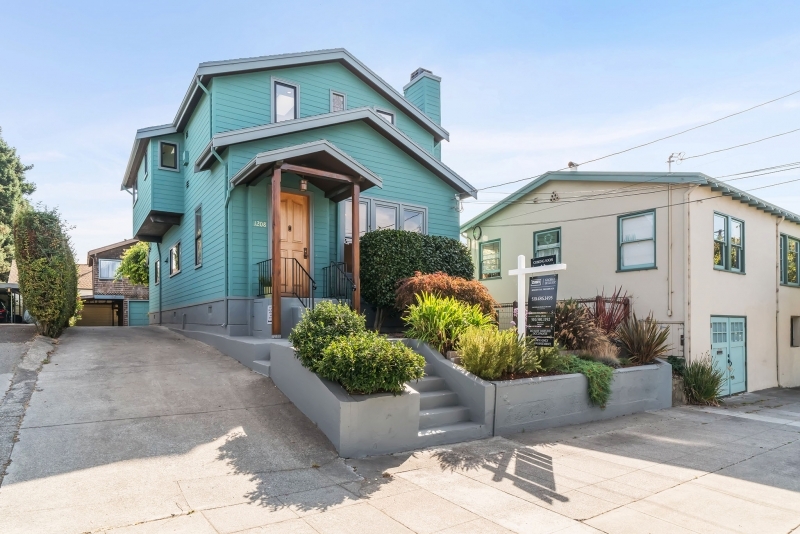 Easy Access to UC Berkeley and San Francisco. 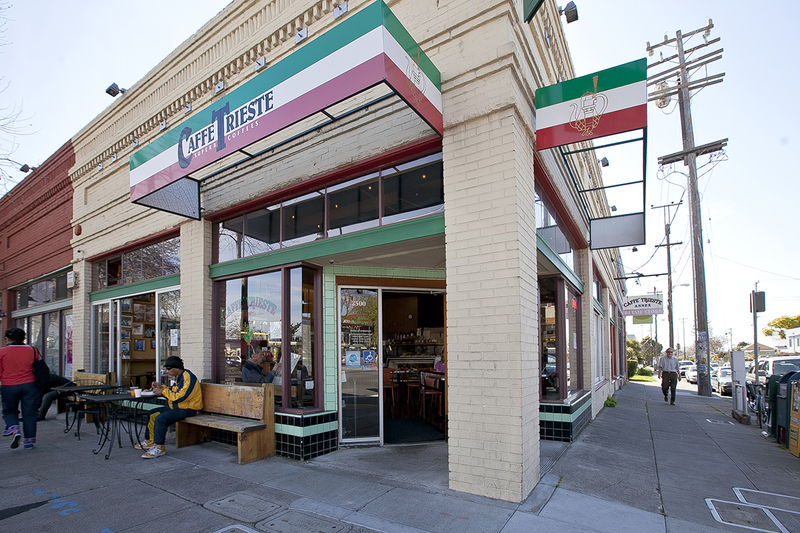 Three blocks to North Berkeley Bart, two blocks to Cedar Rose Park.